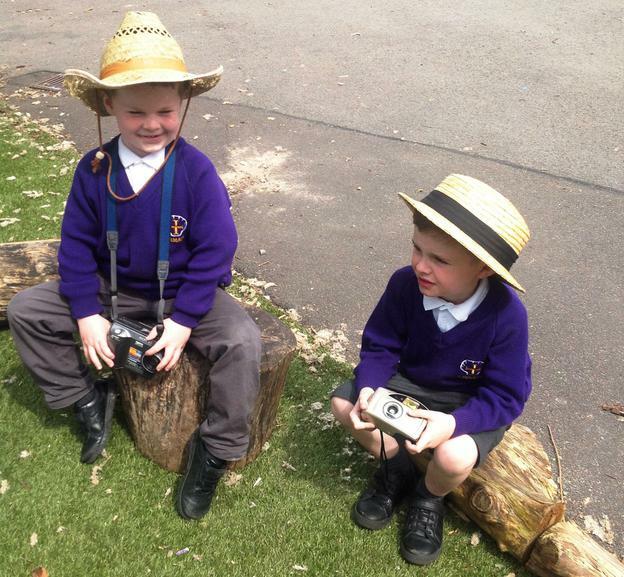 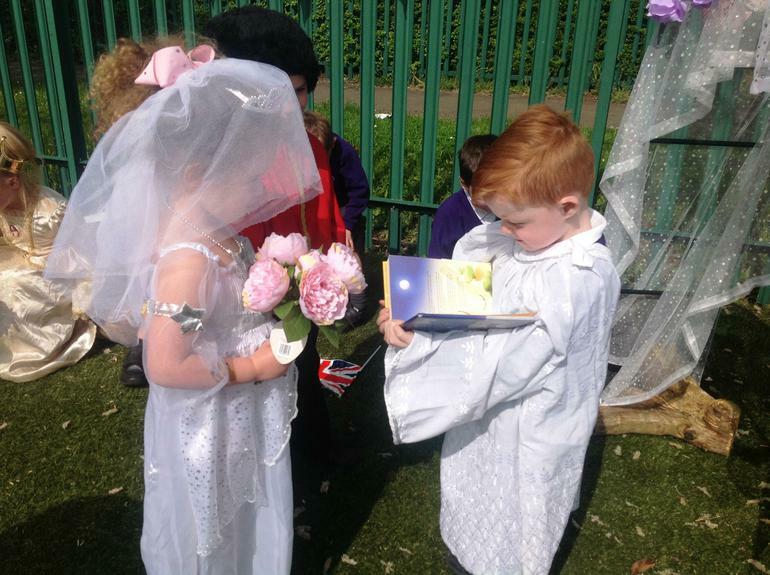 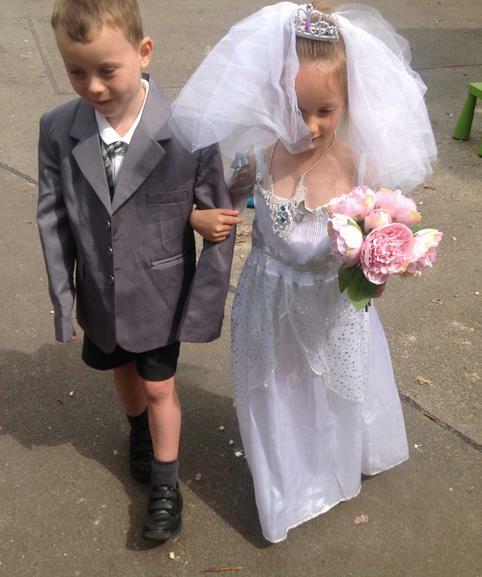 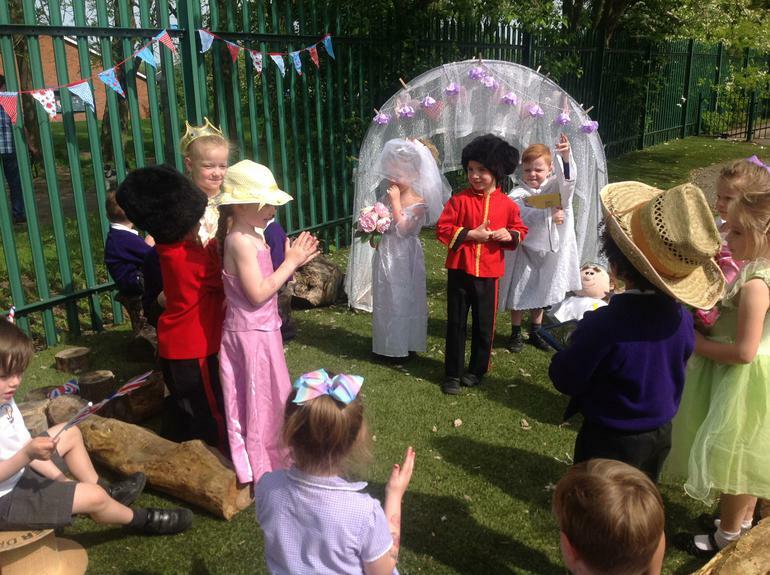 Just like Prince Harry and Meghan, we have been rehearsing for our own ‘big day’! 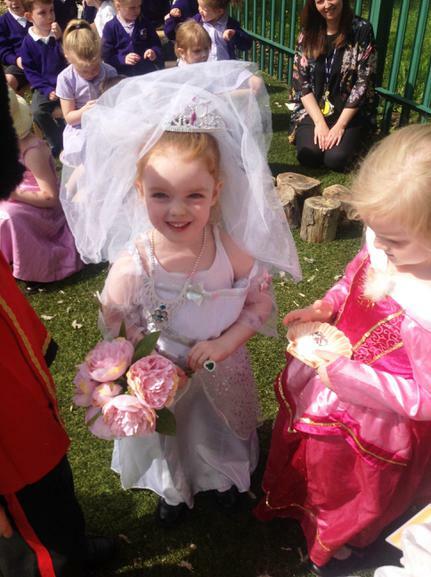 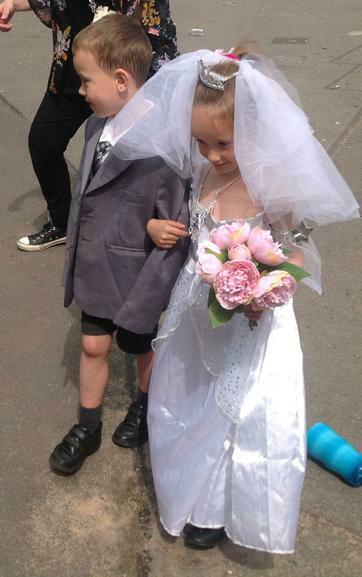 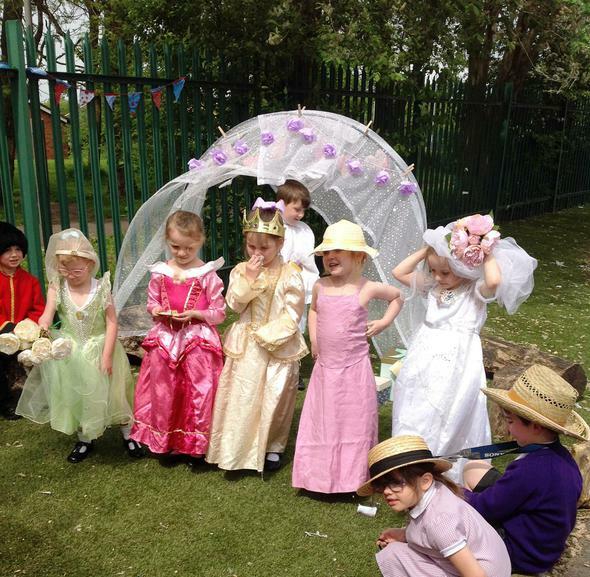 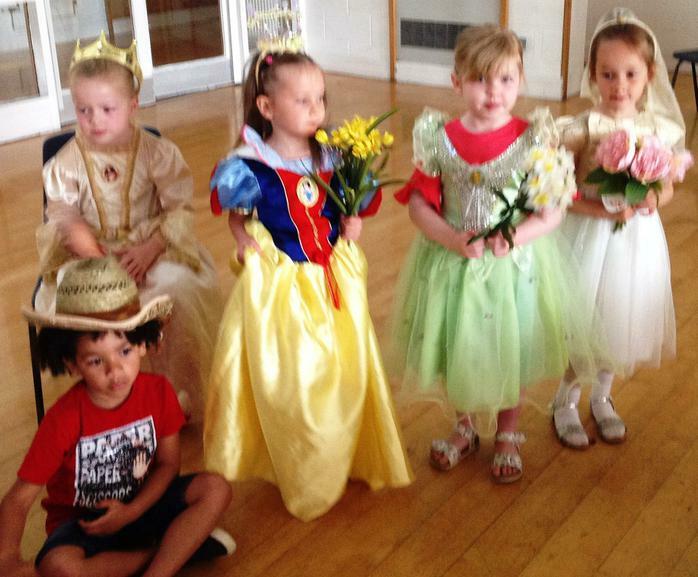 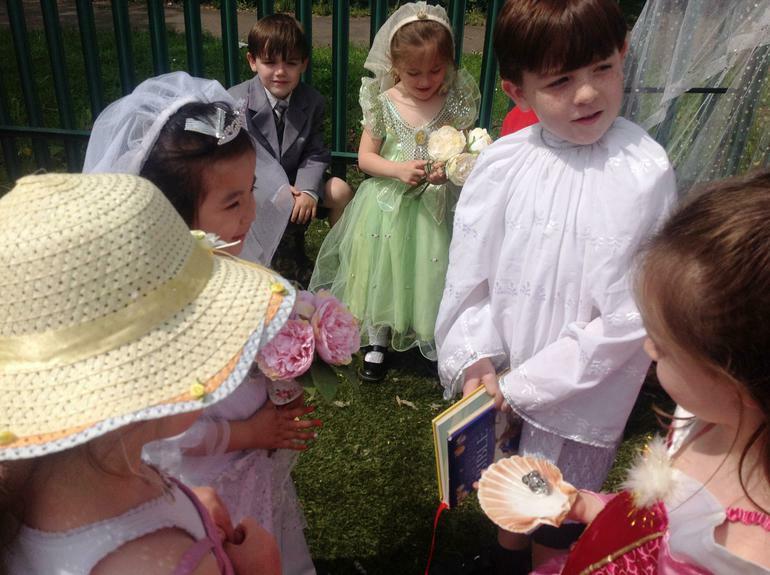 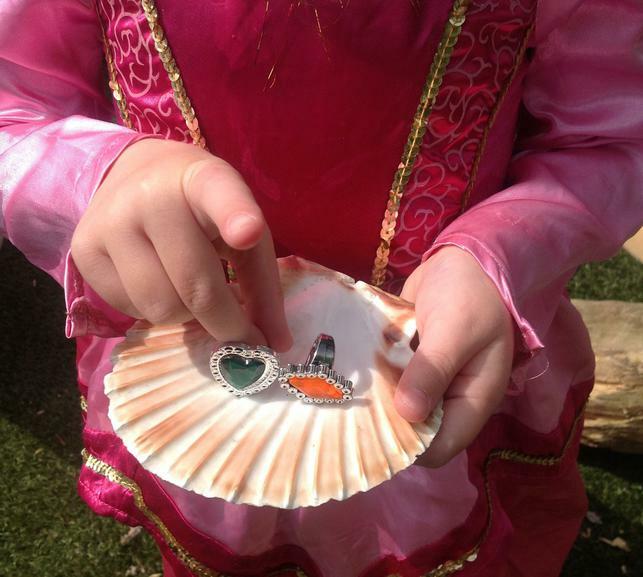 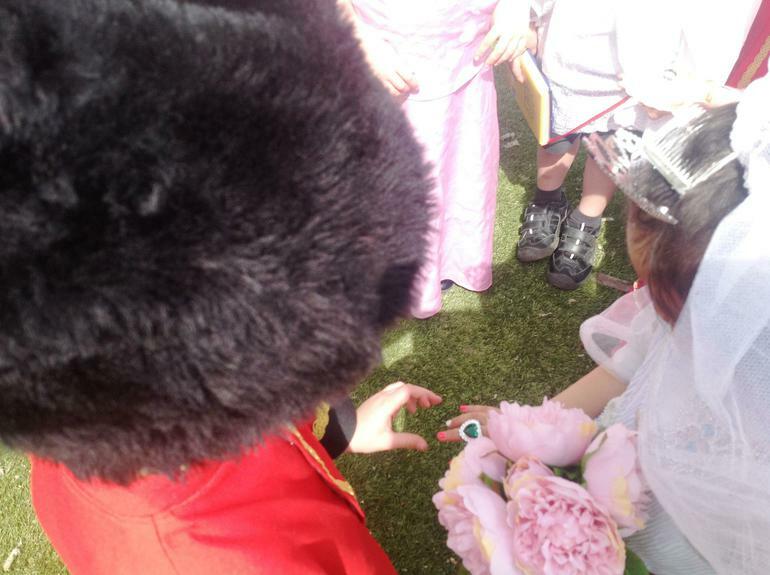 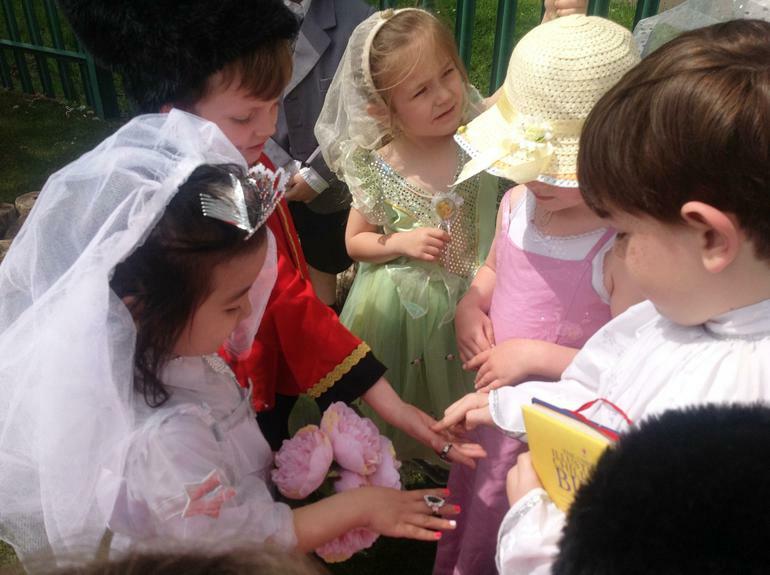 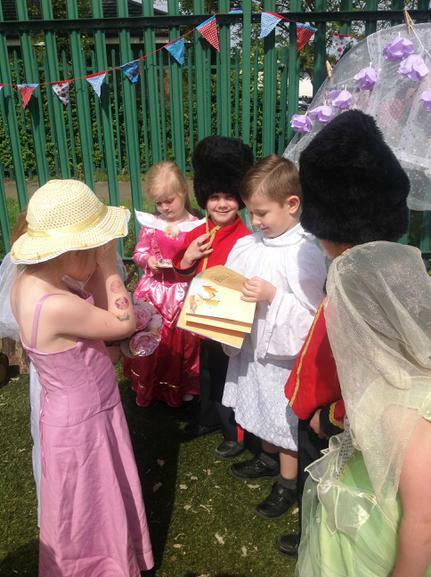 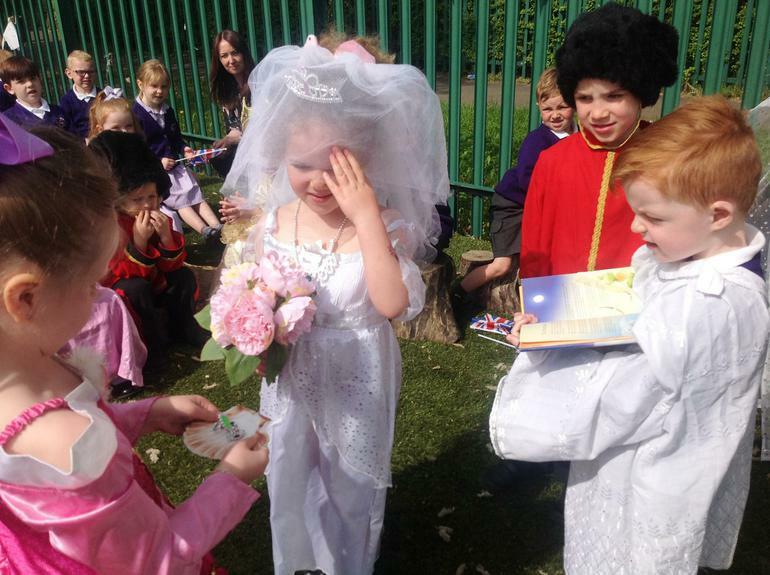 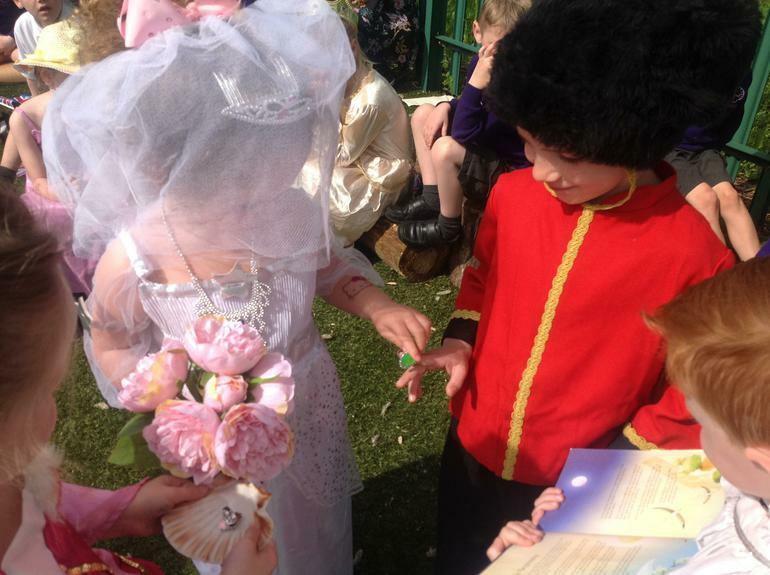 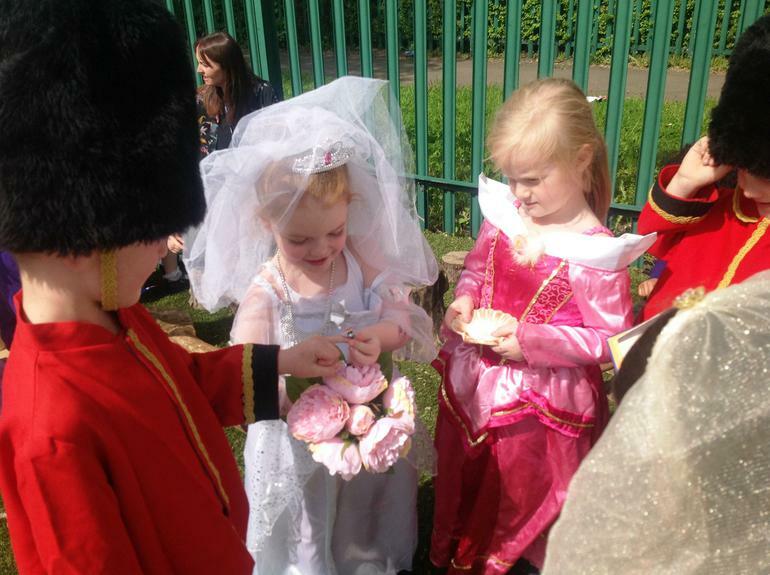 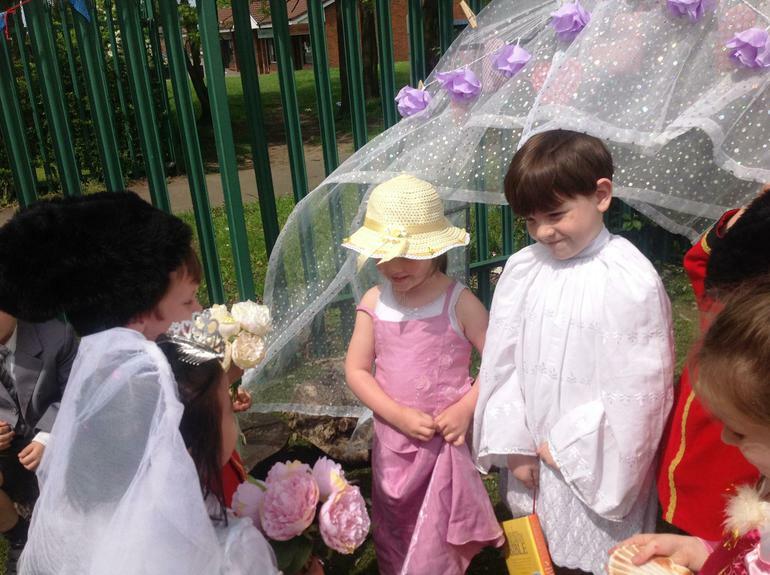 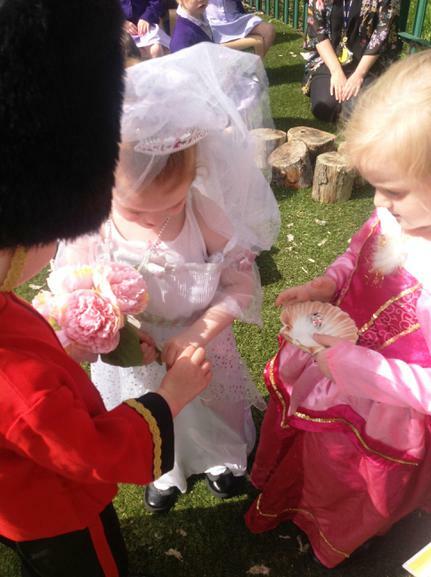 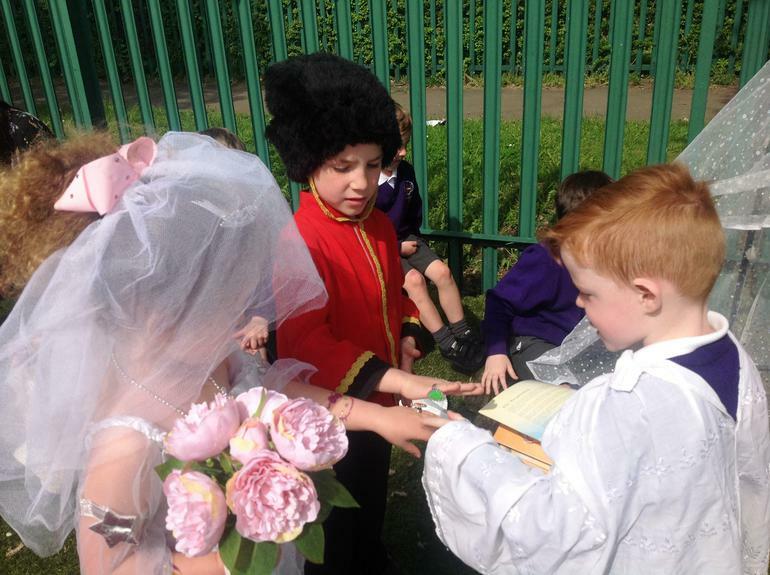 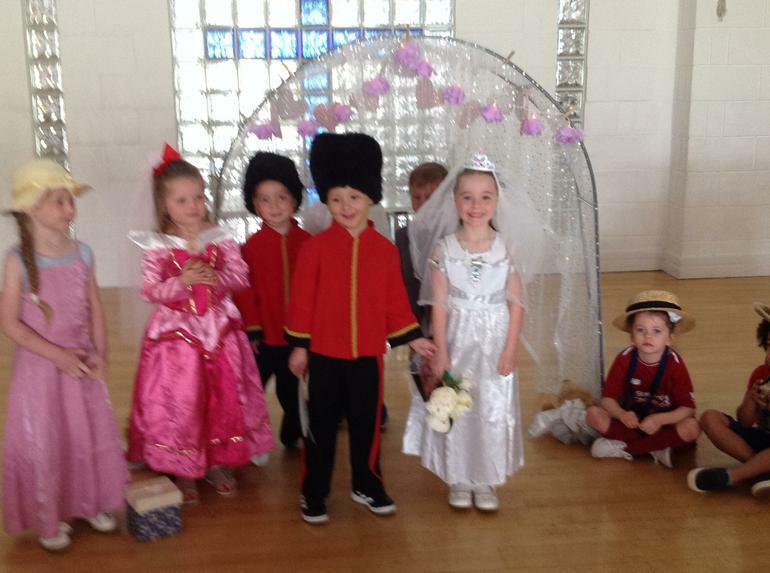 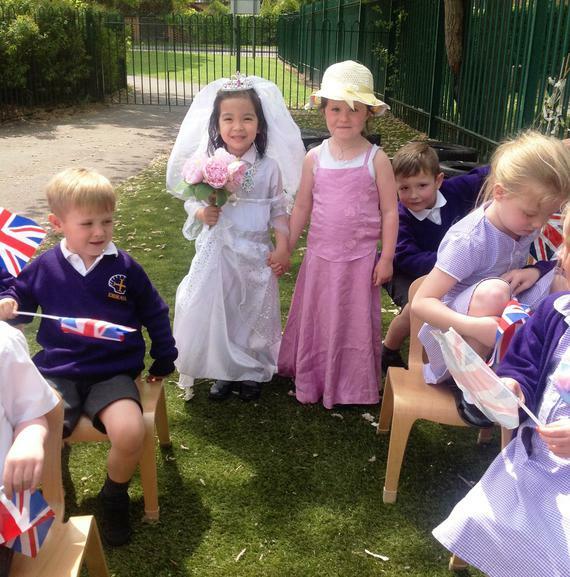 We dressed up as bride, groom, flower-girl, bridesmaid, clergy, best man, ring bearer and Her Majesty, the Queen. 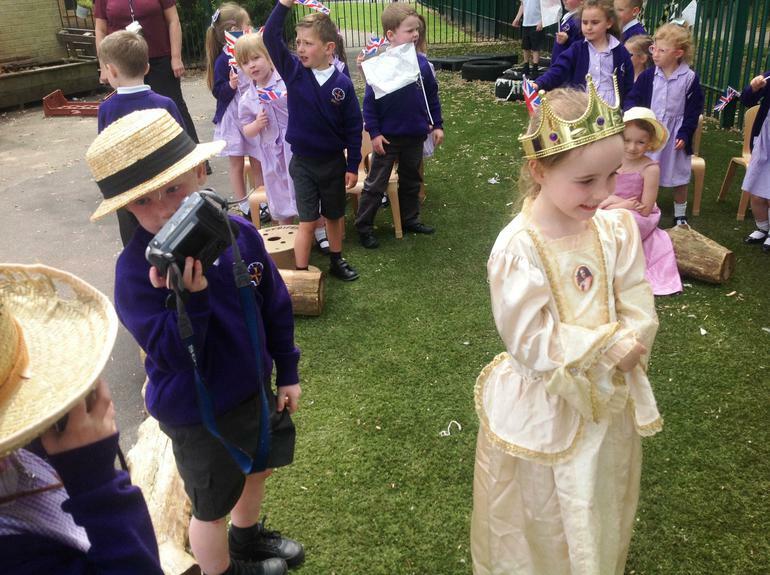 In keeping with recent news reports, we even saw the ‘mother of the bride’ walk her daughter down the aisle and the ever present ‘paparazzi’ taking pictures of the royal couple’s every move! 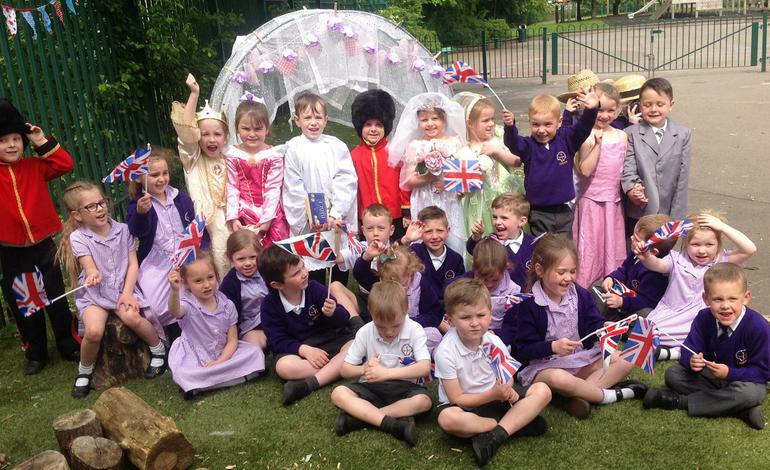 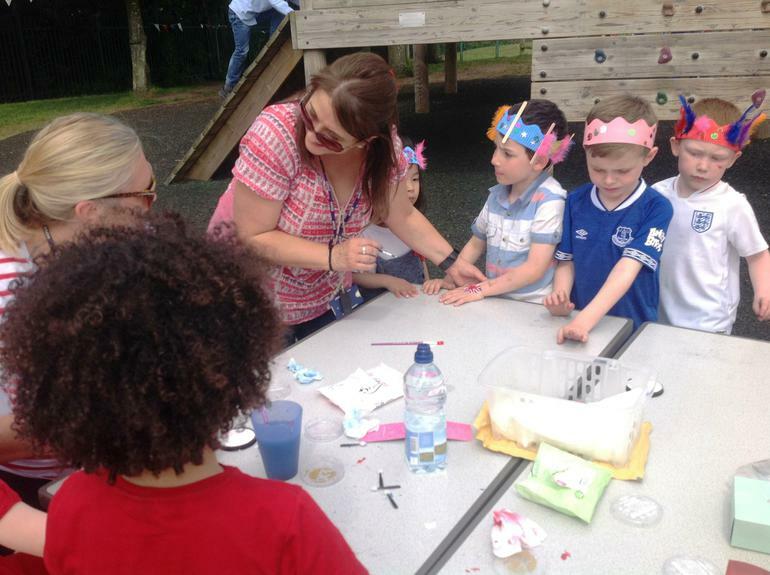 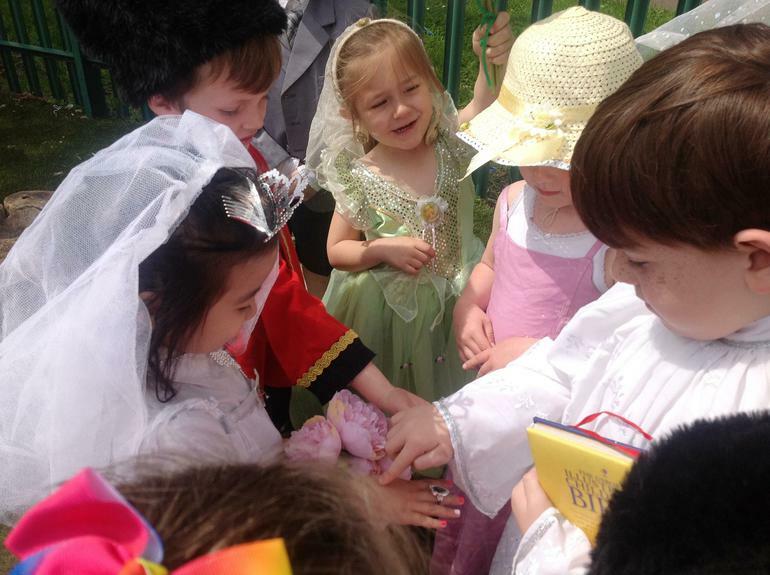 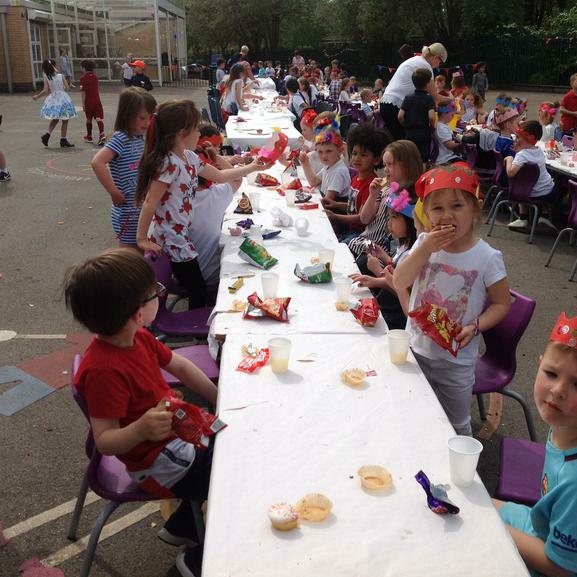 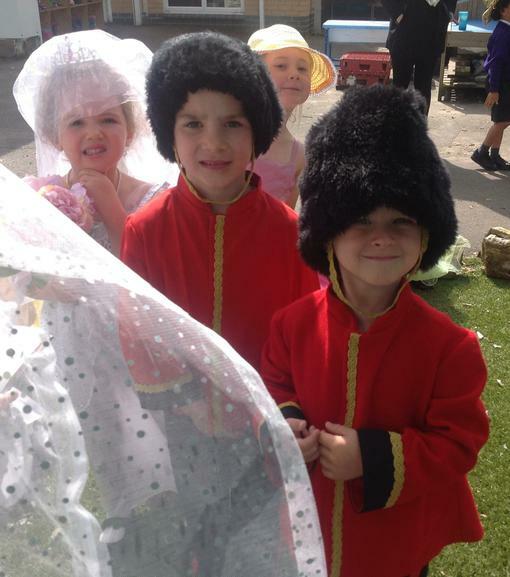 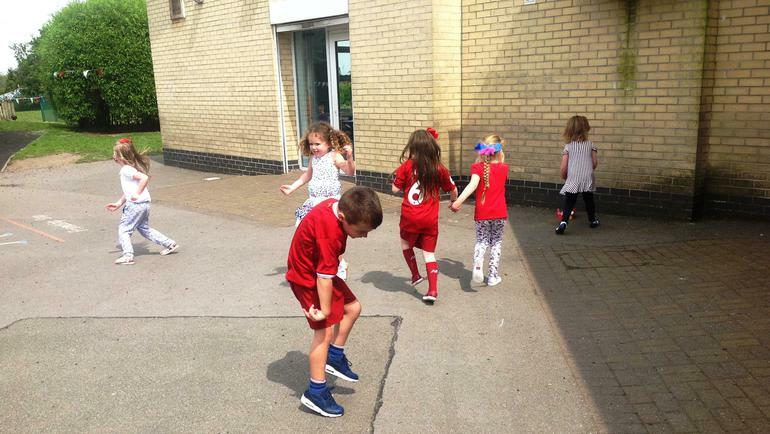 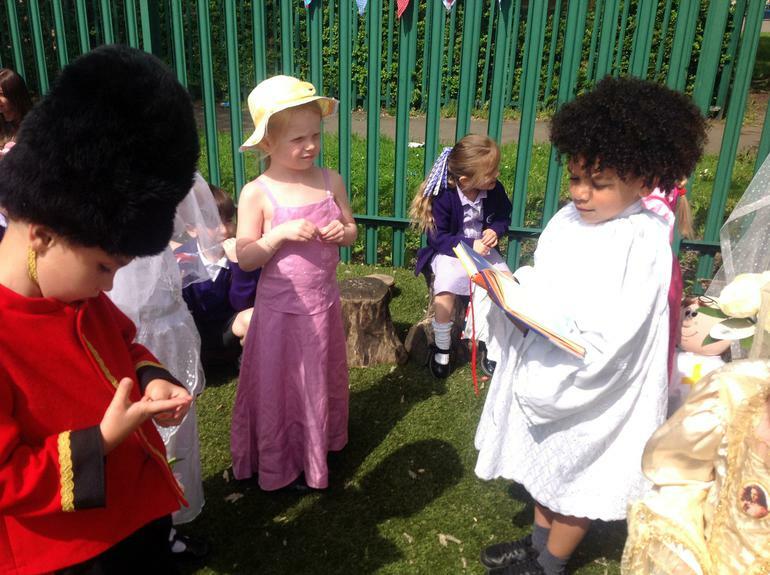 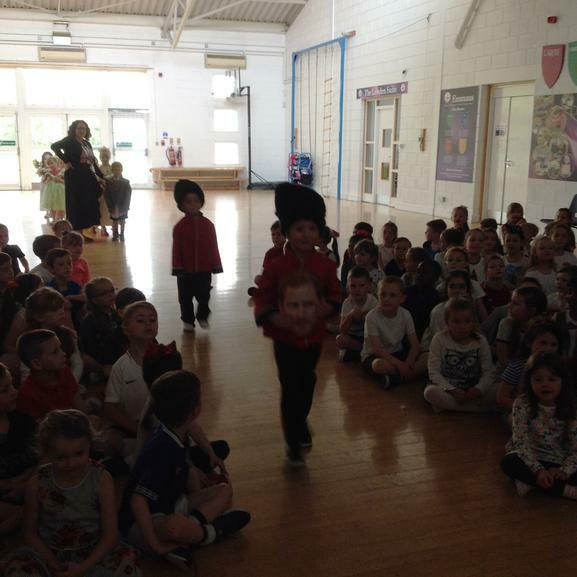 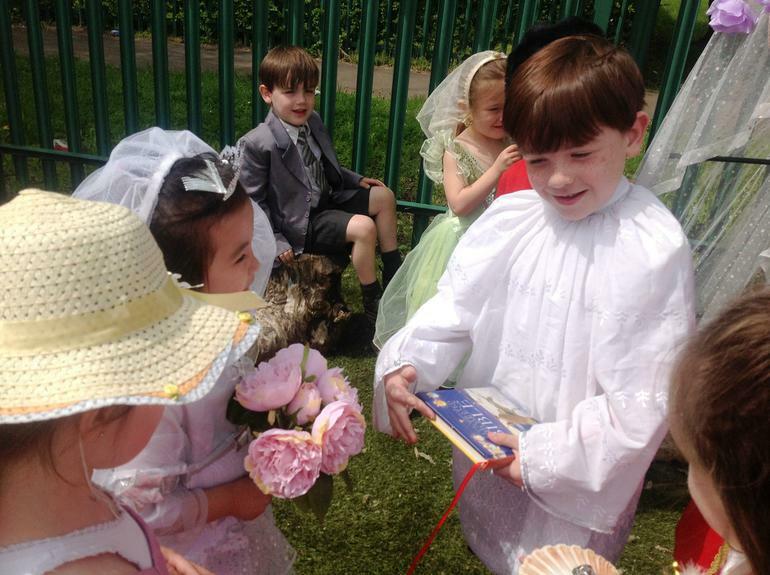 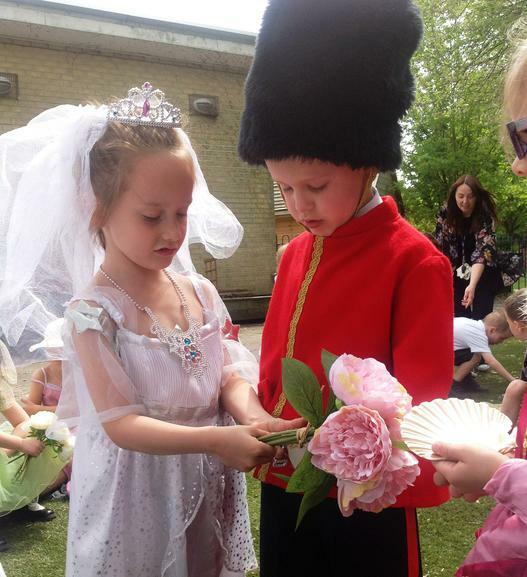 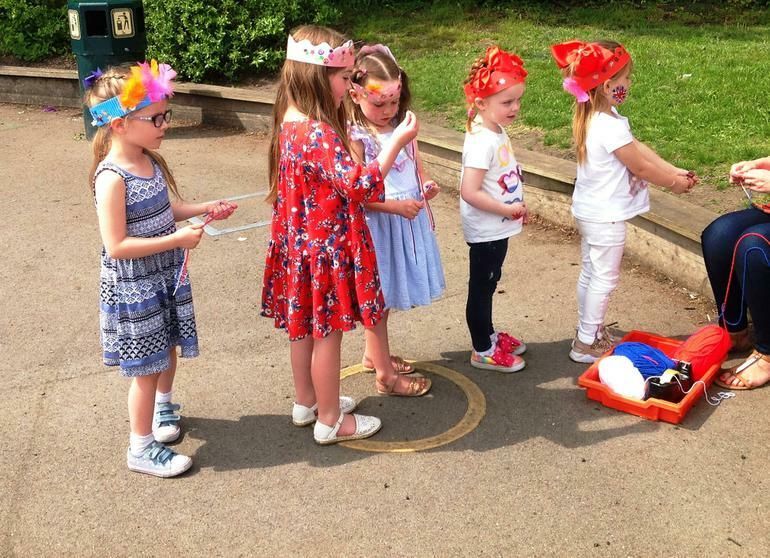 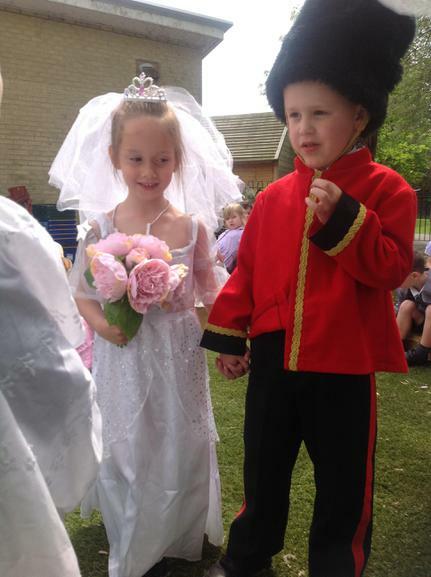 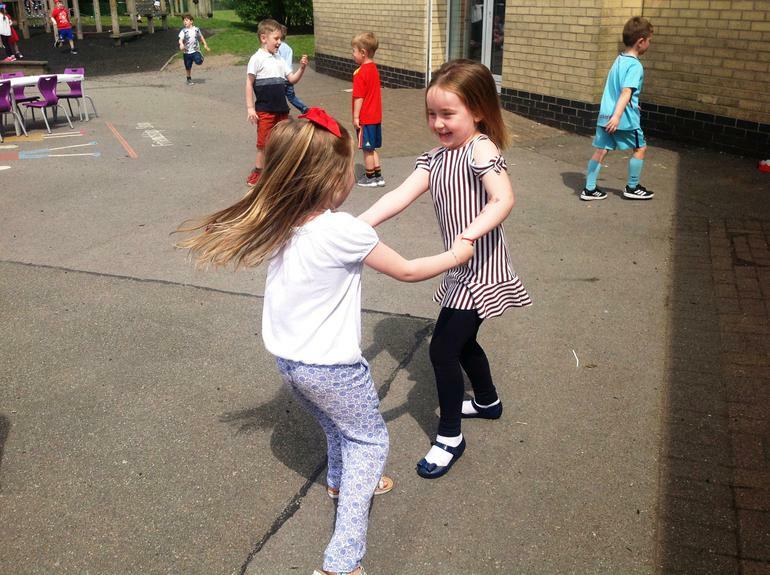 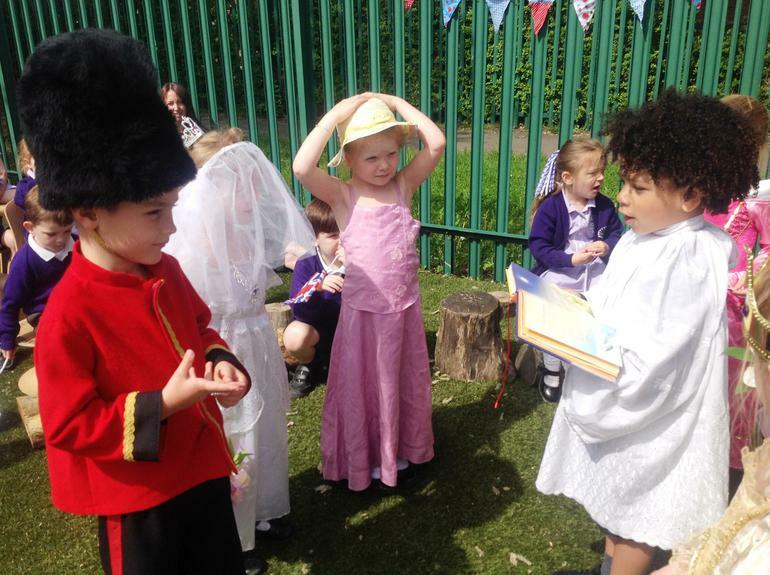 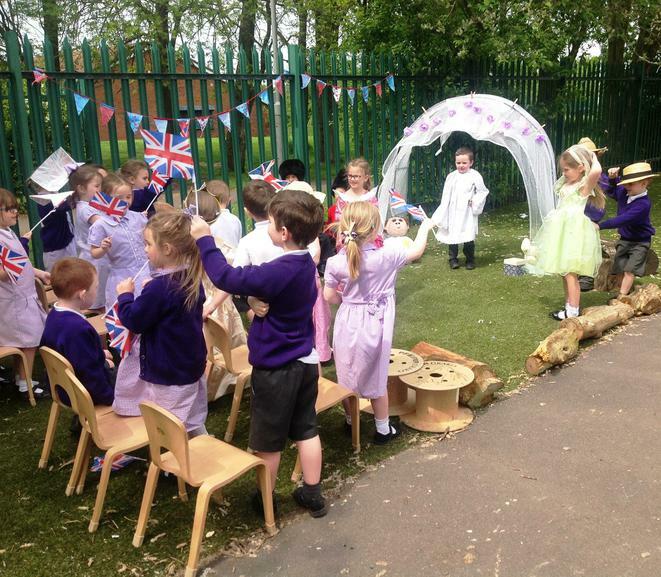 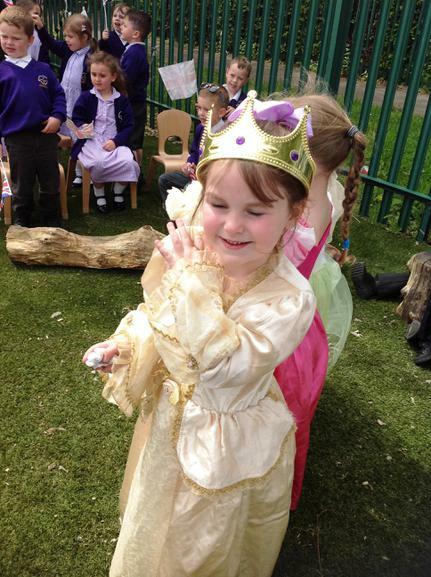 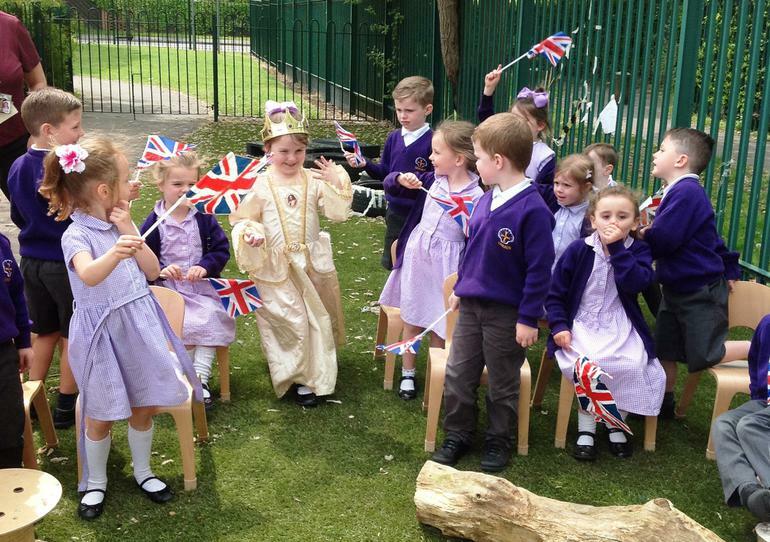 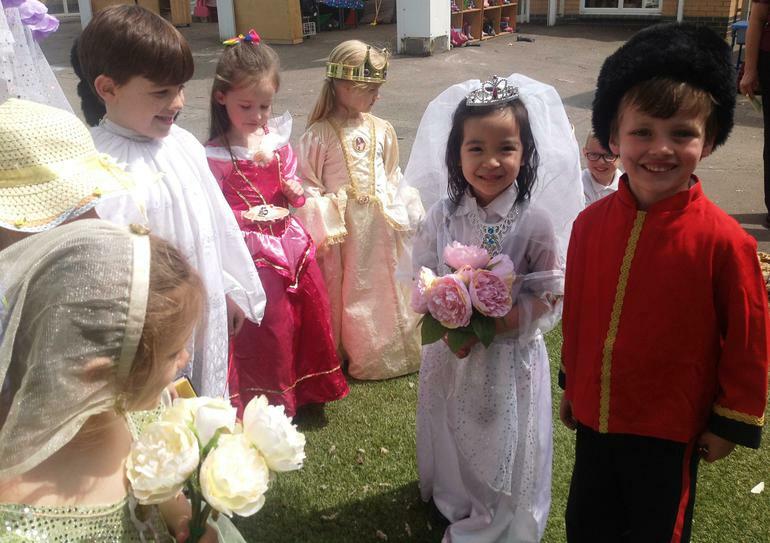 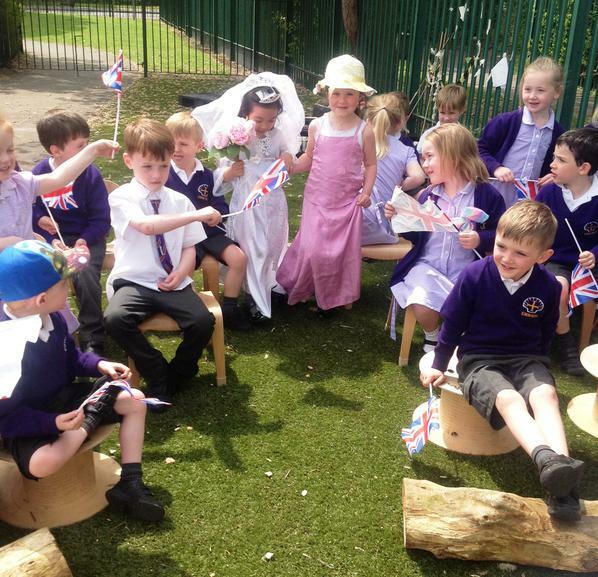 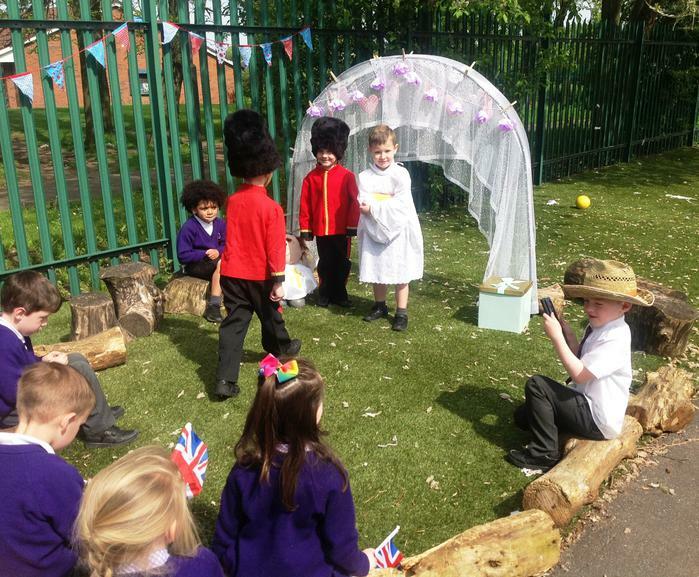 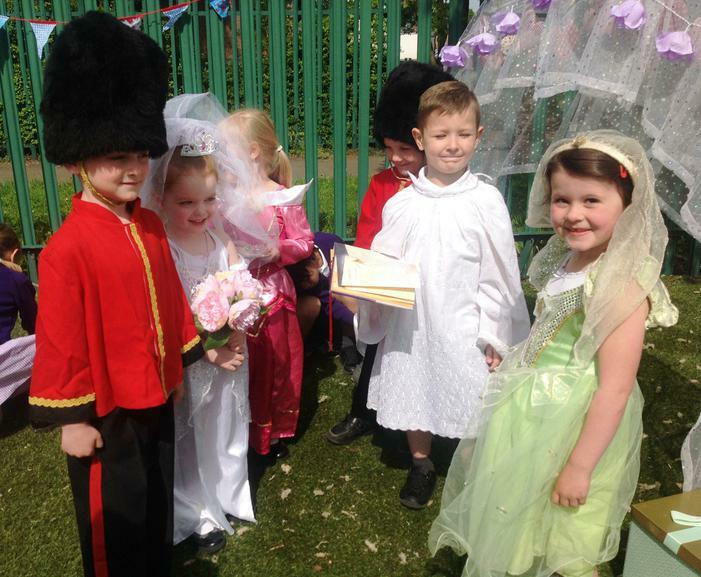 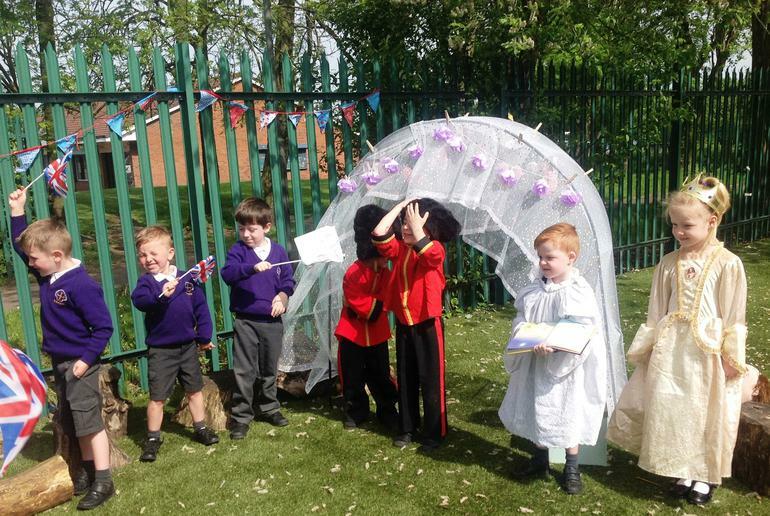 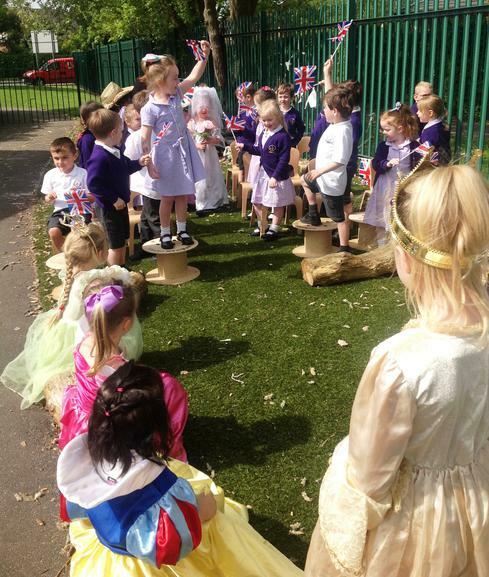 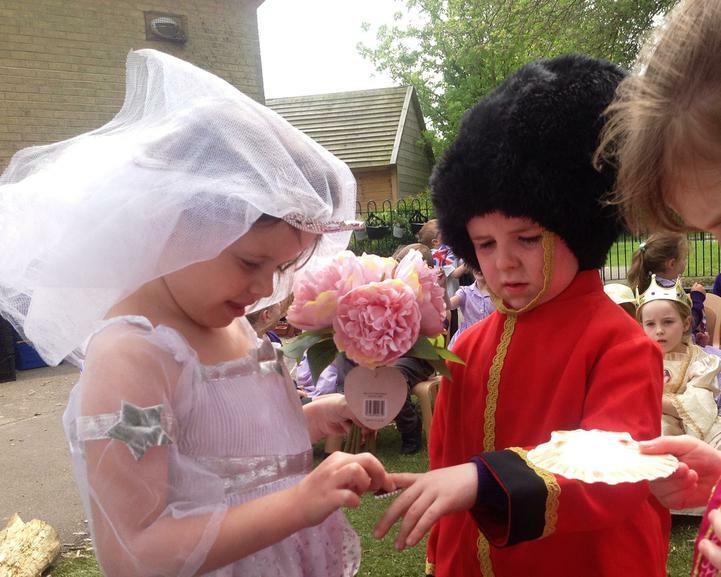 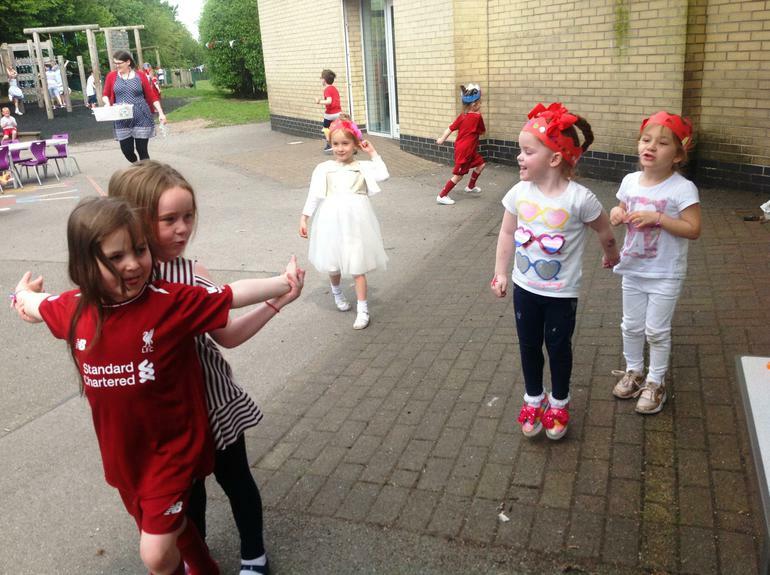 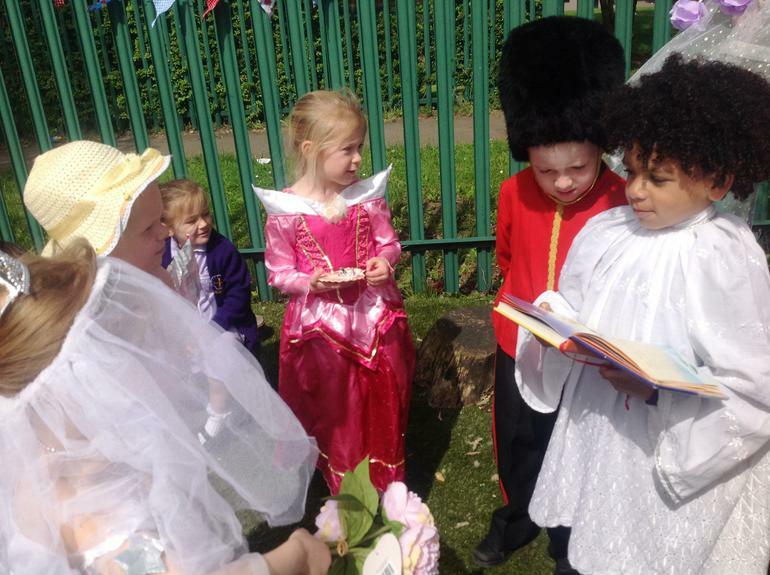 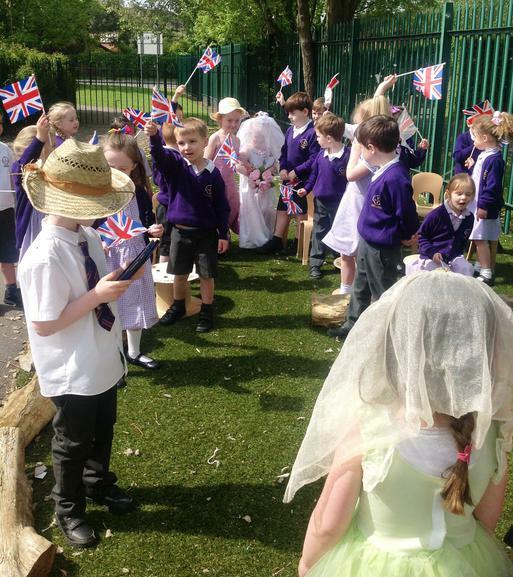 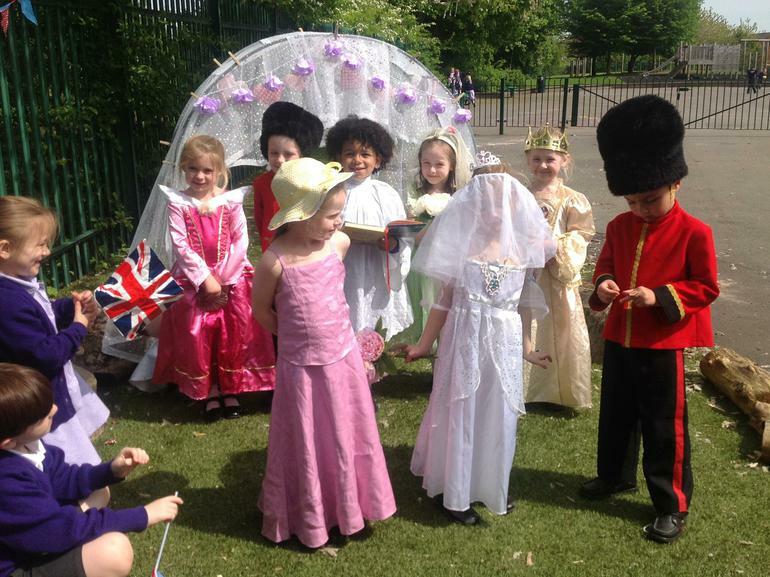 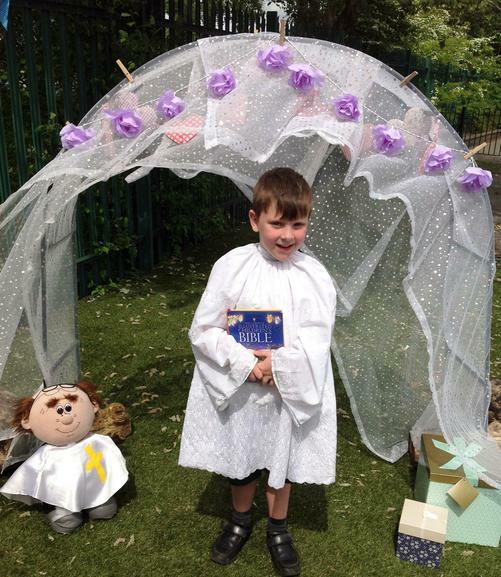 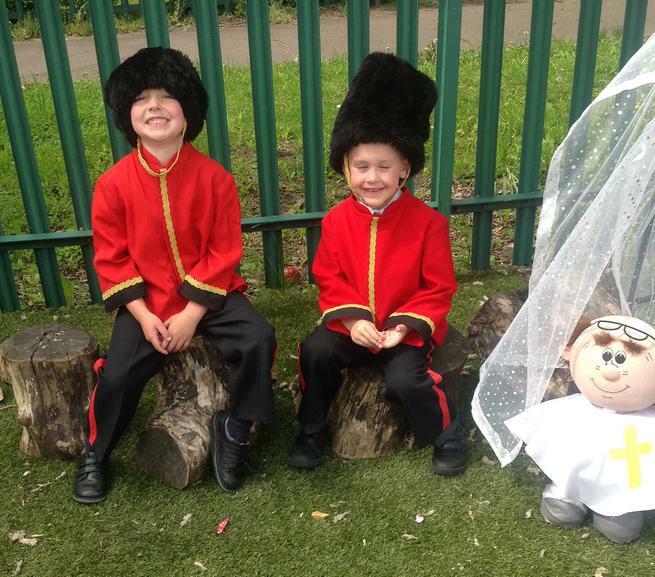 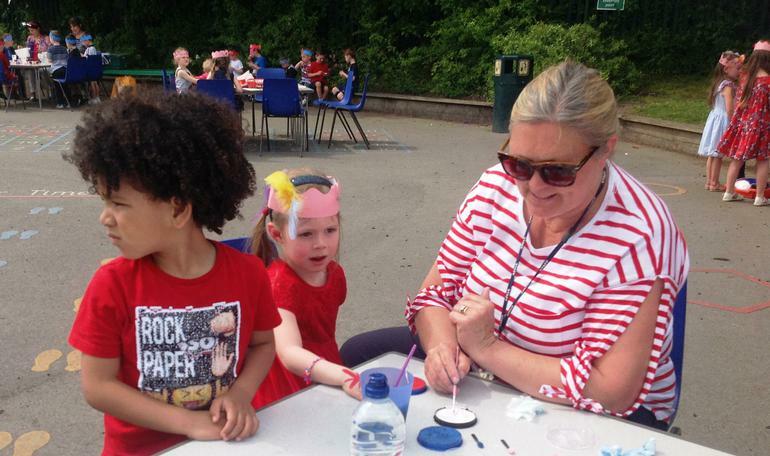 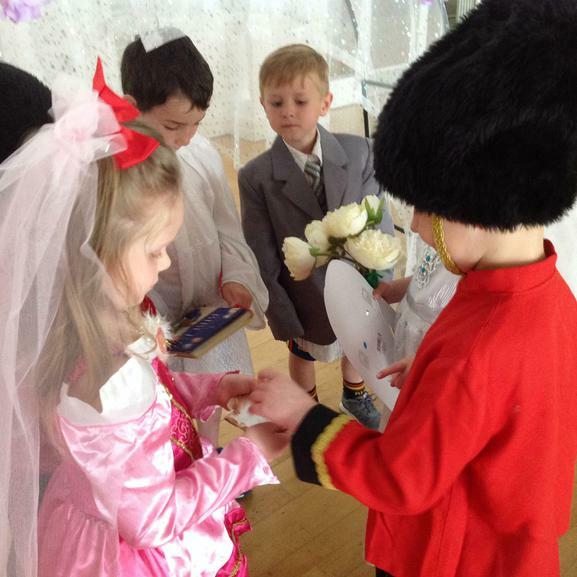 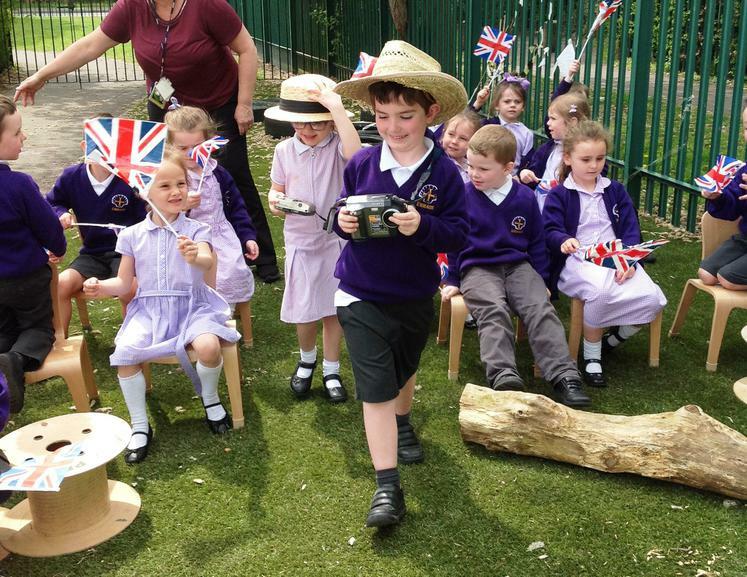 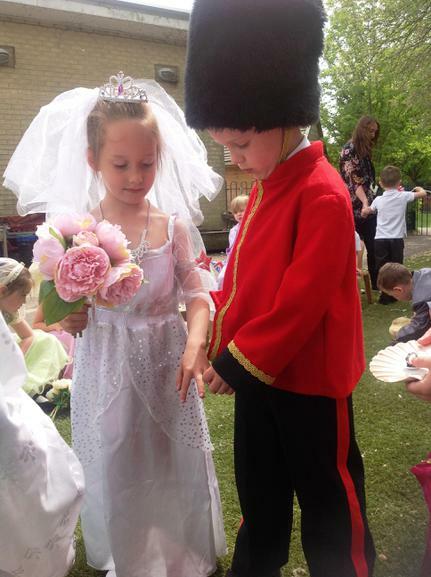 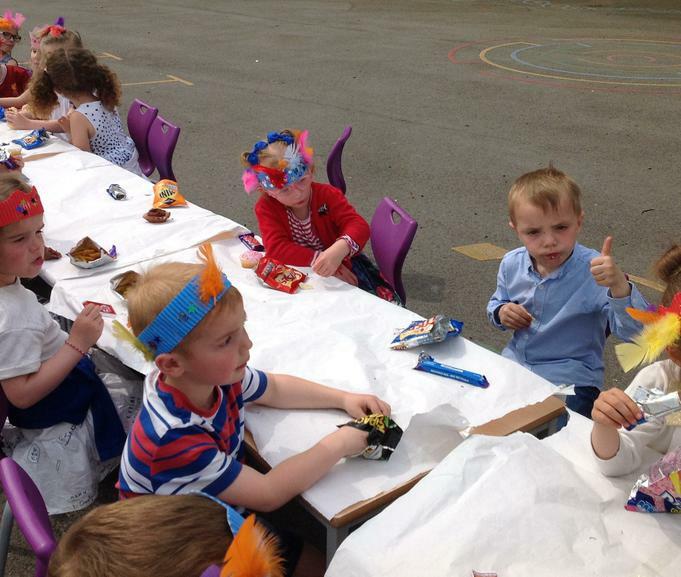 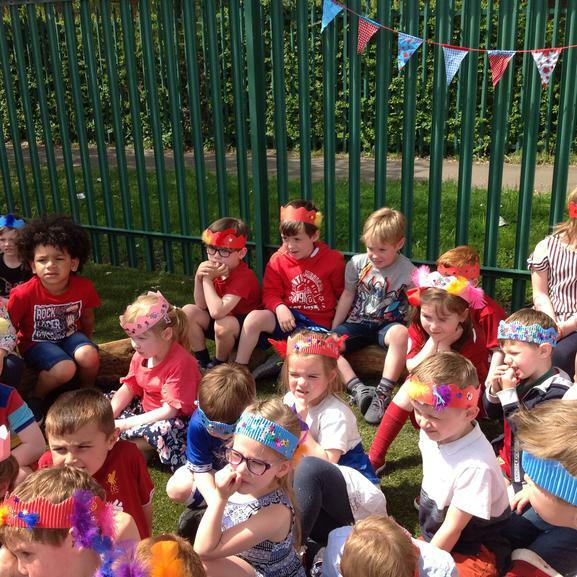 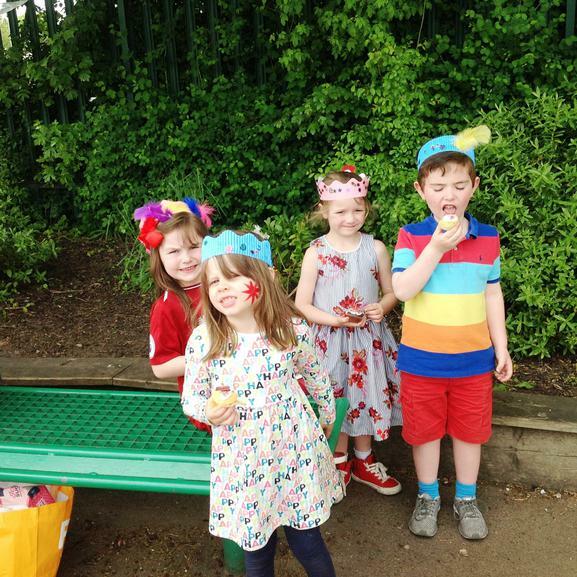 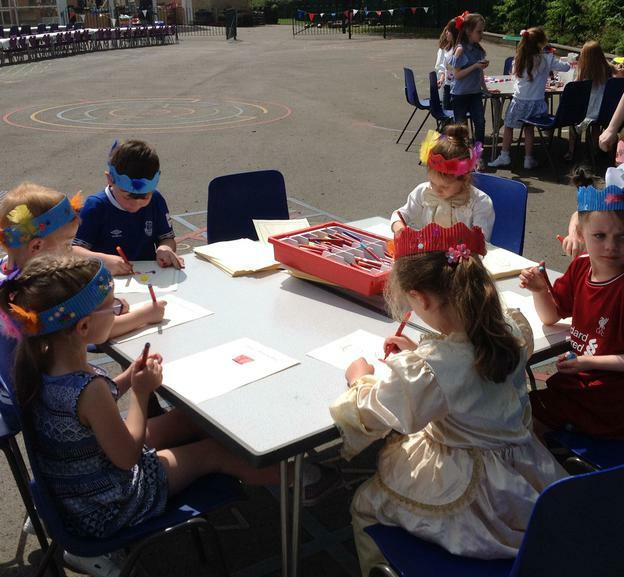 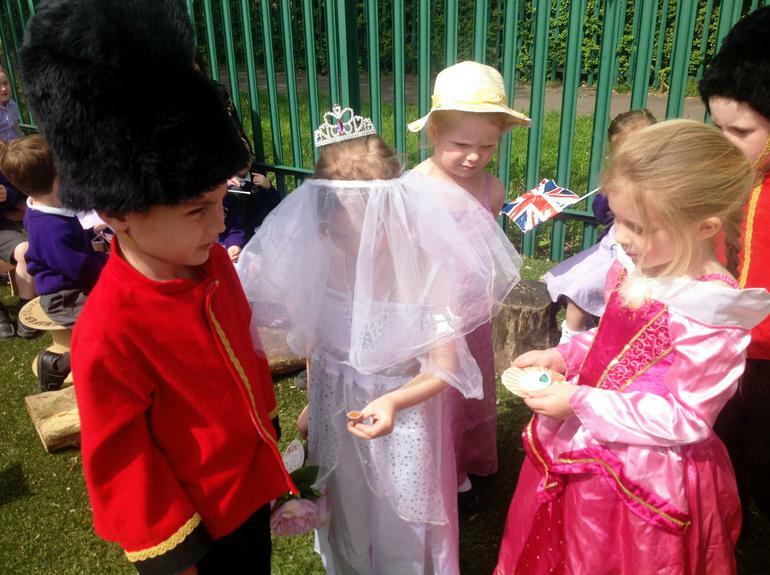 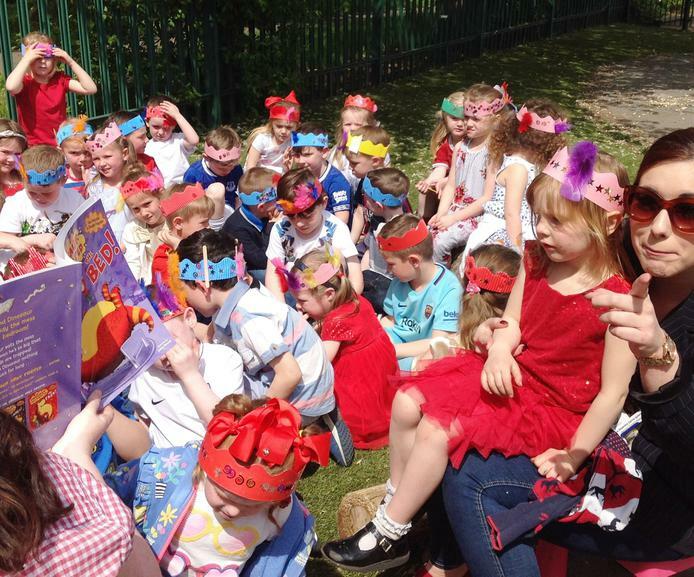 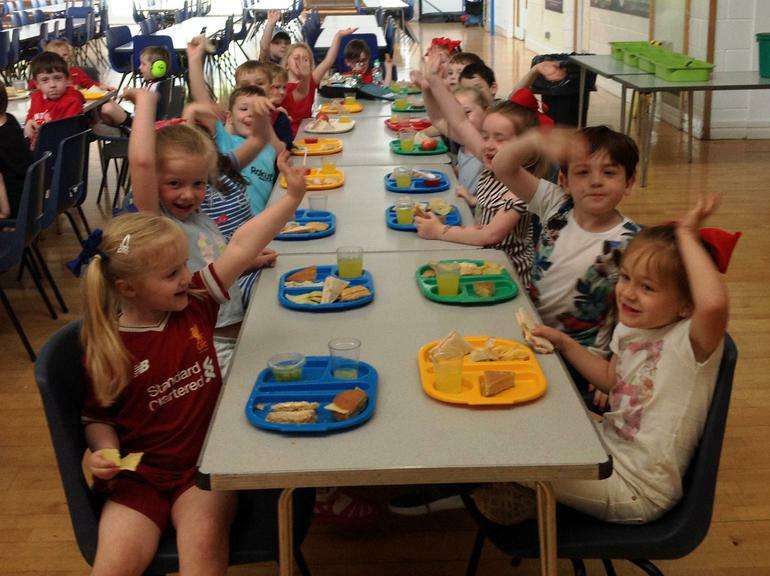 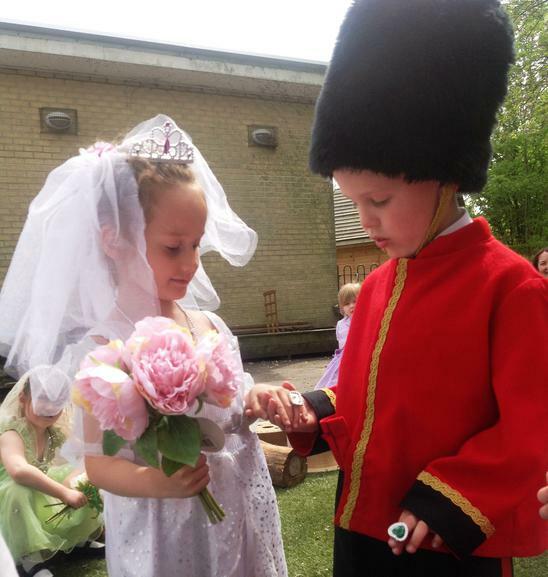 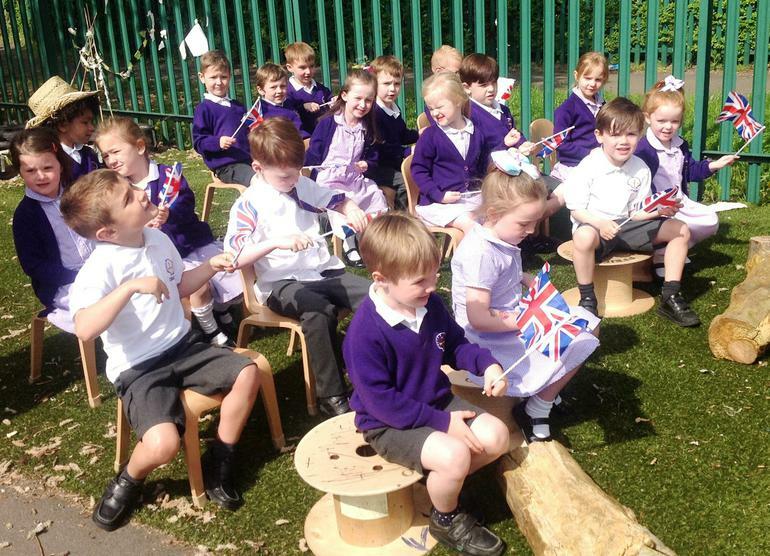 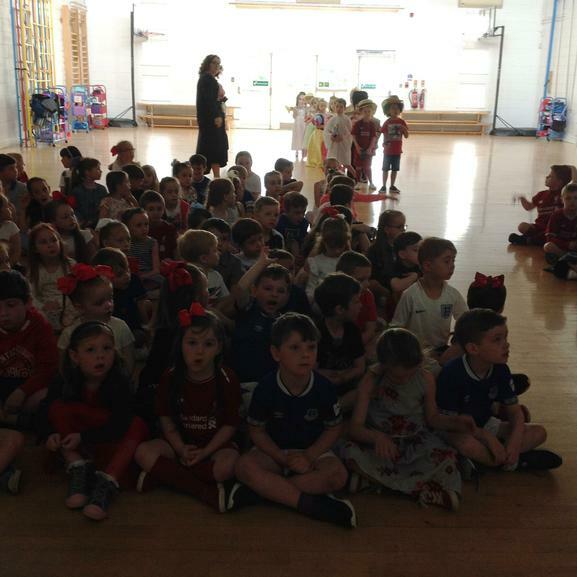 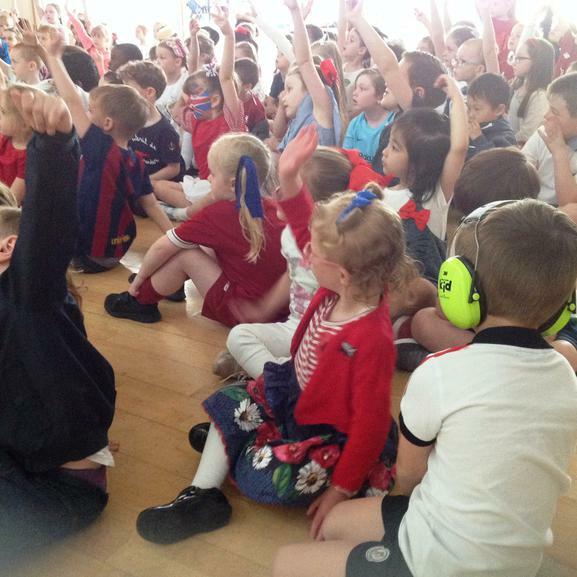 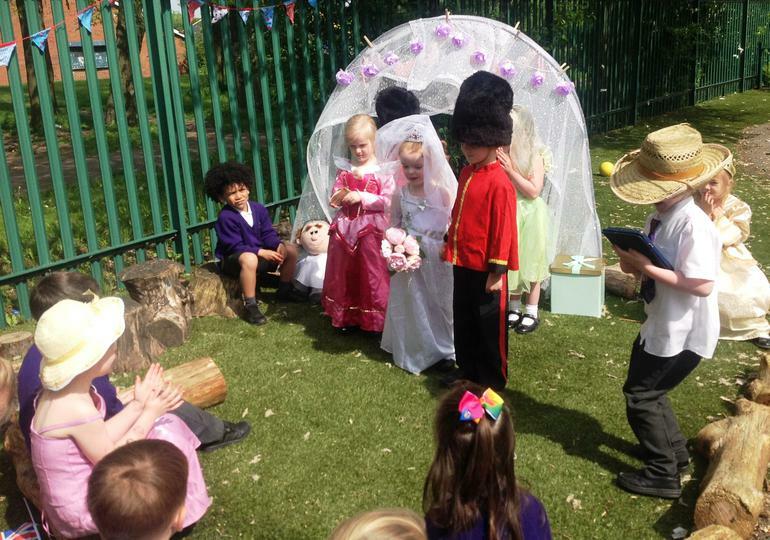 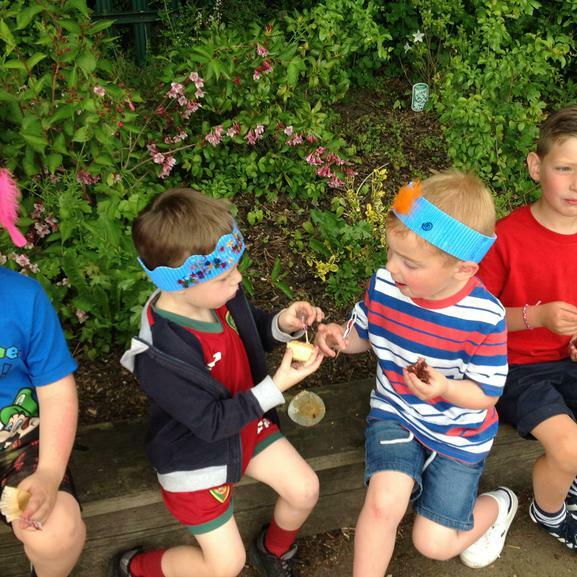 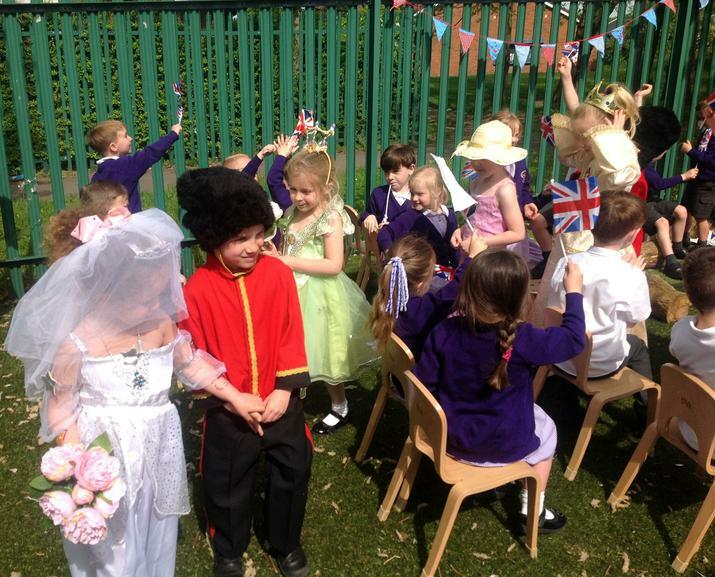 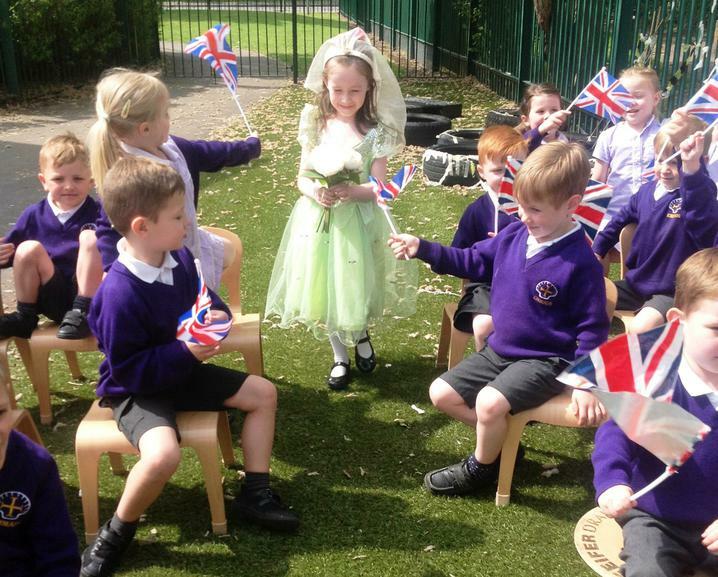 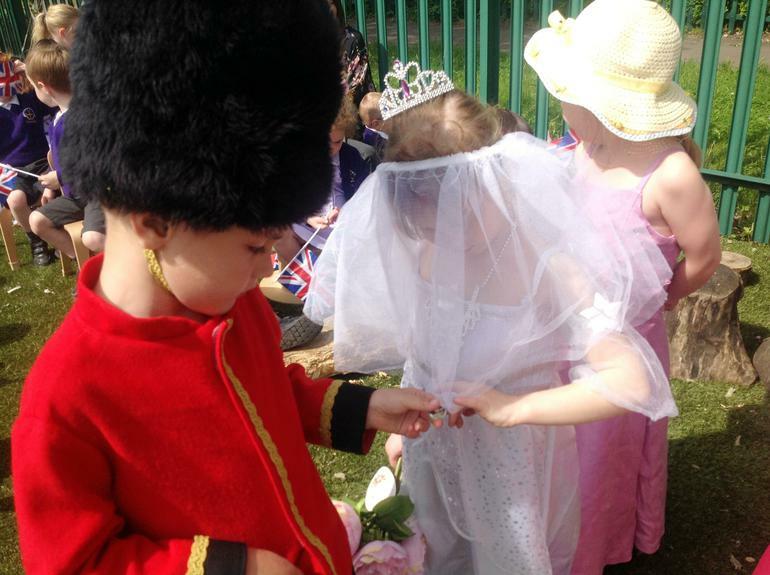 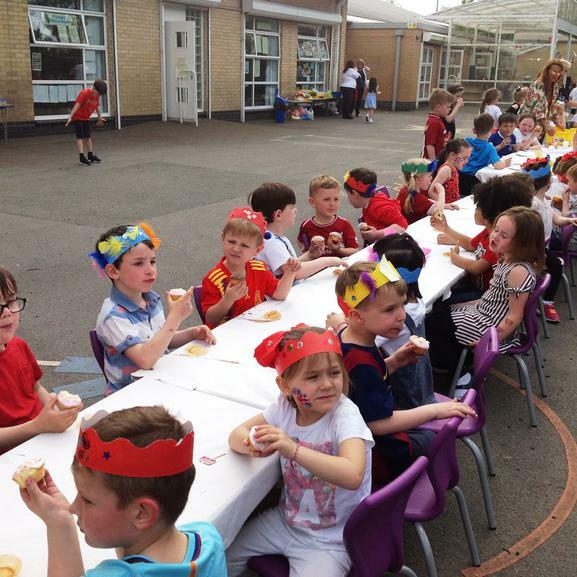 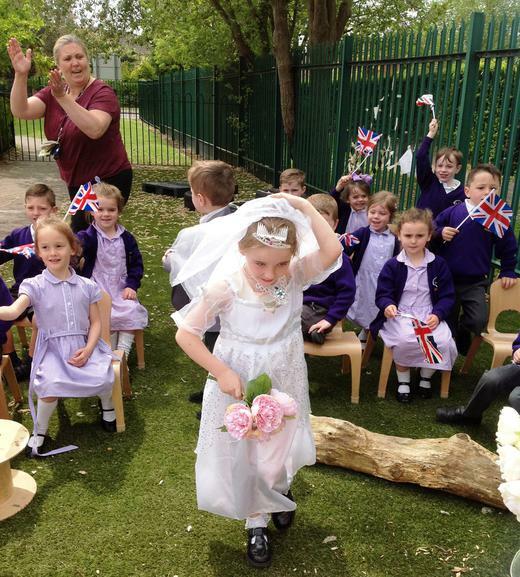 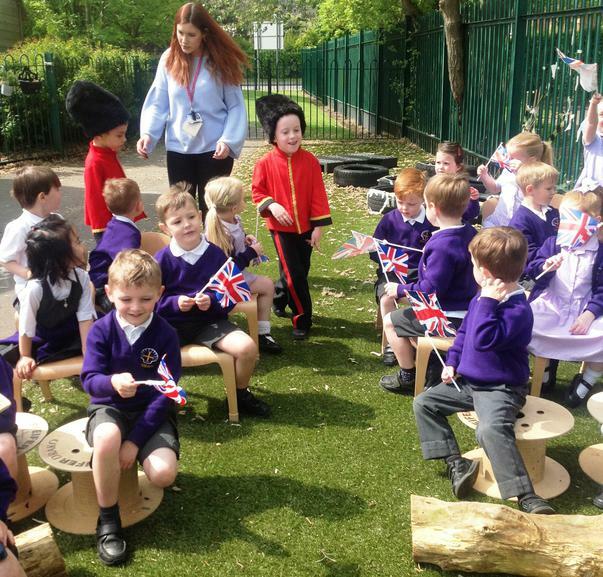 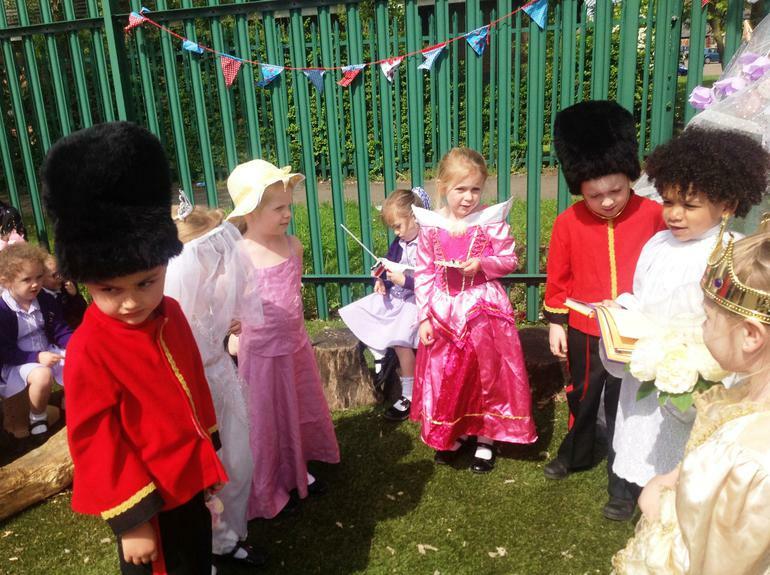 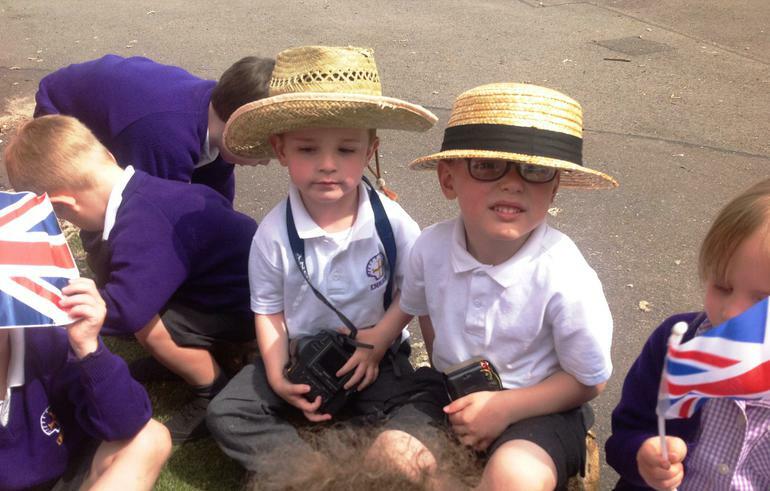 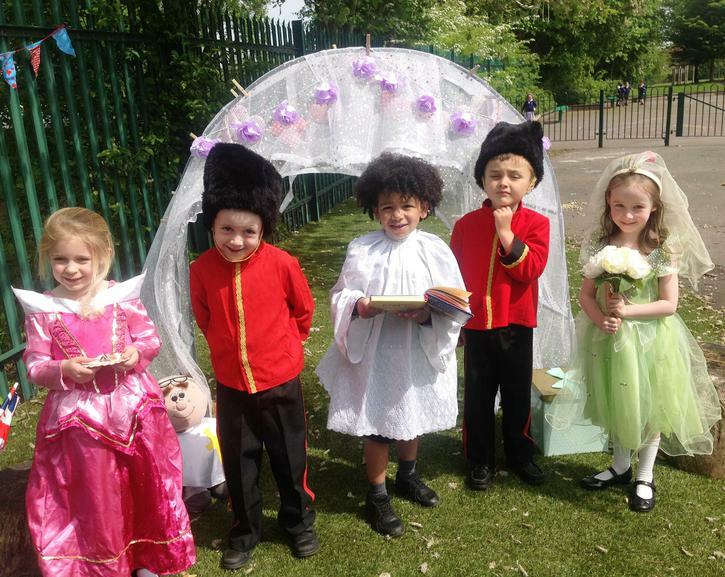 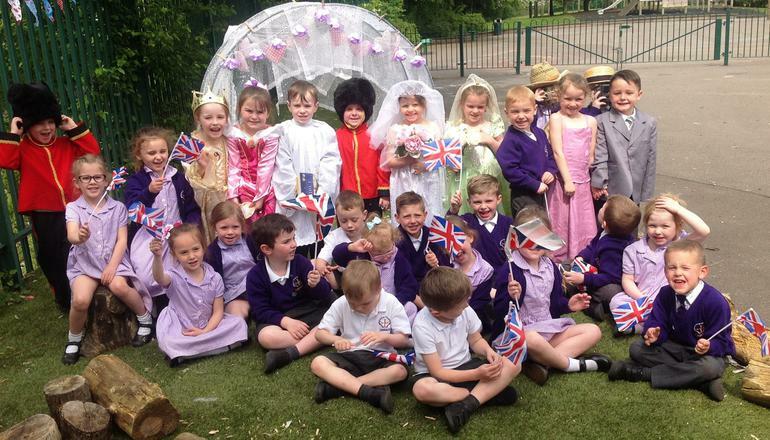 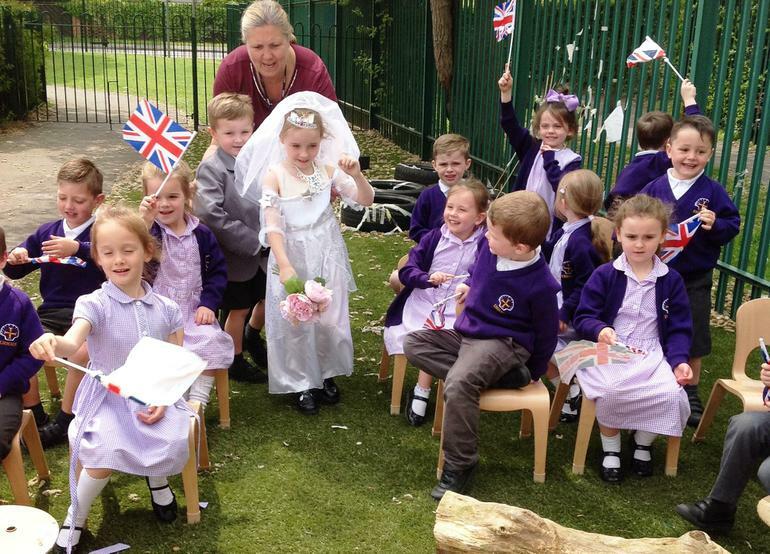 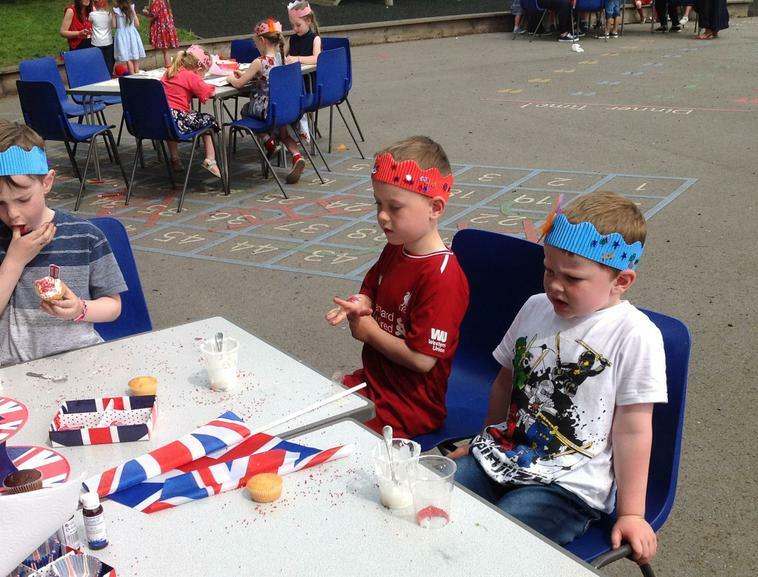 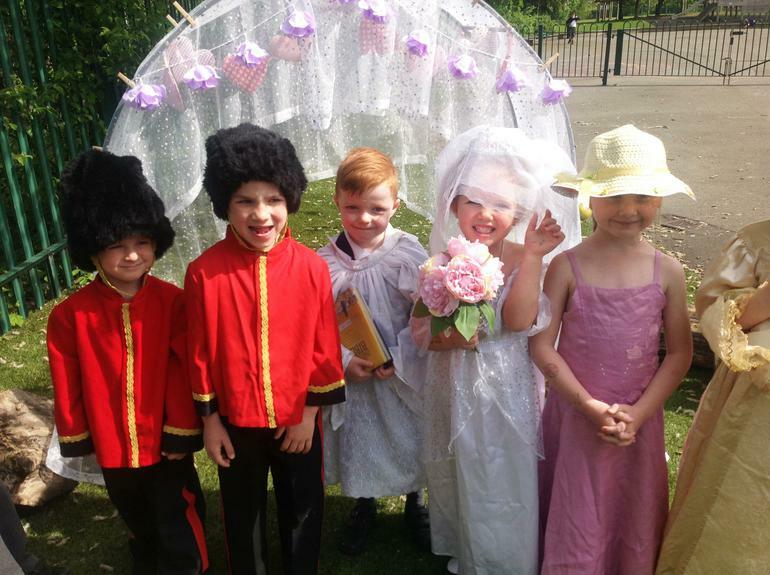 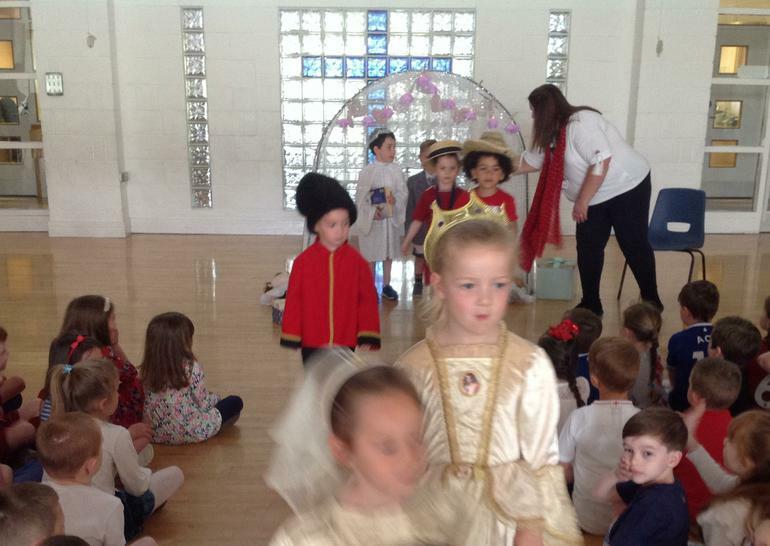 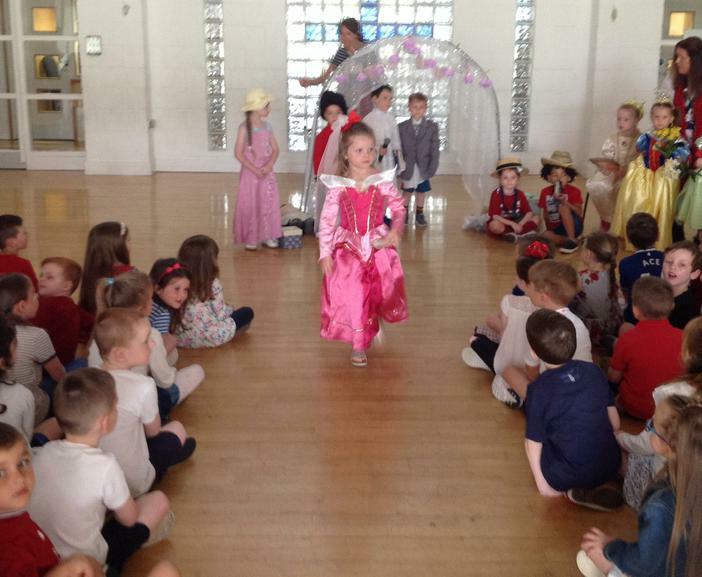 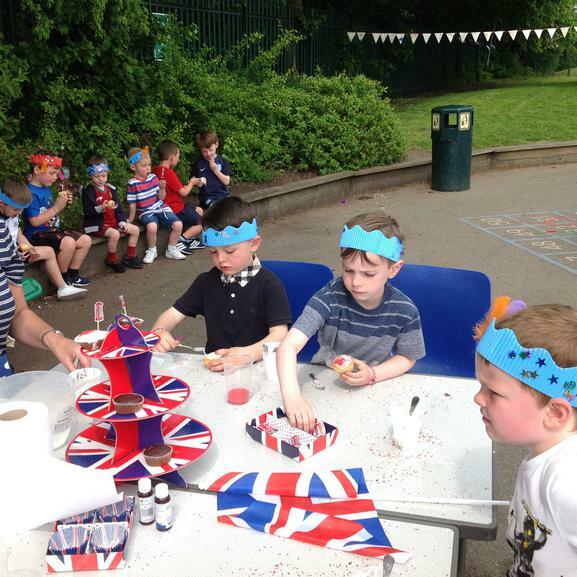 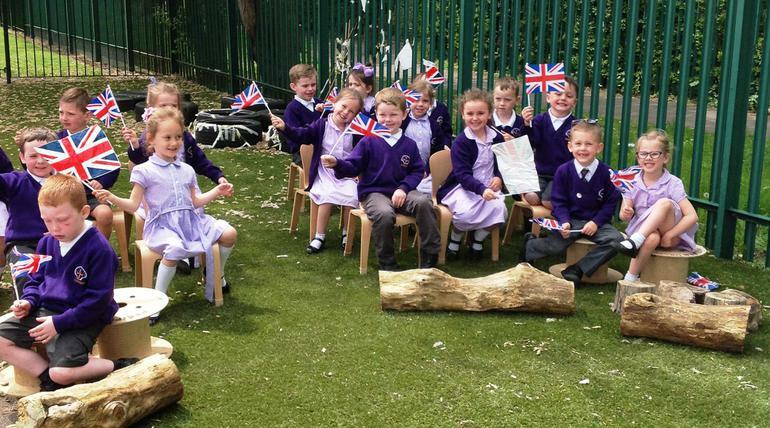 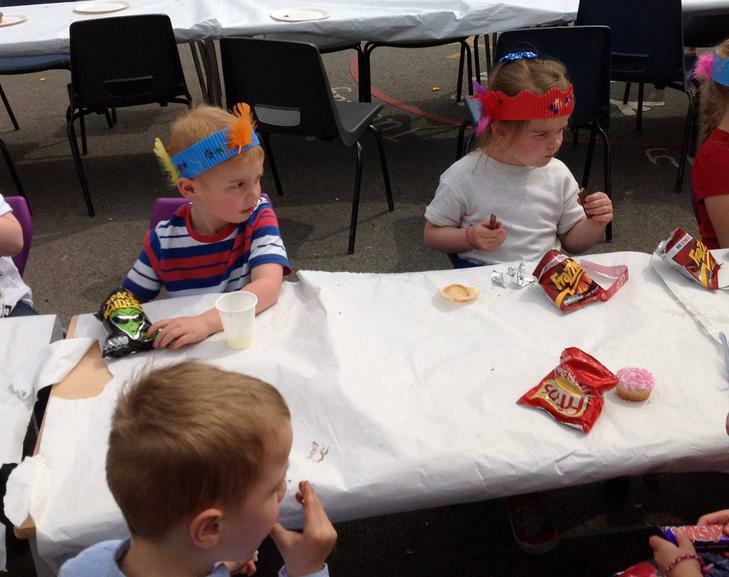 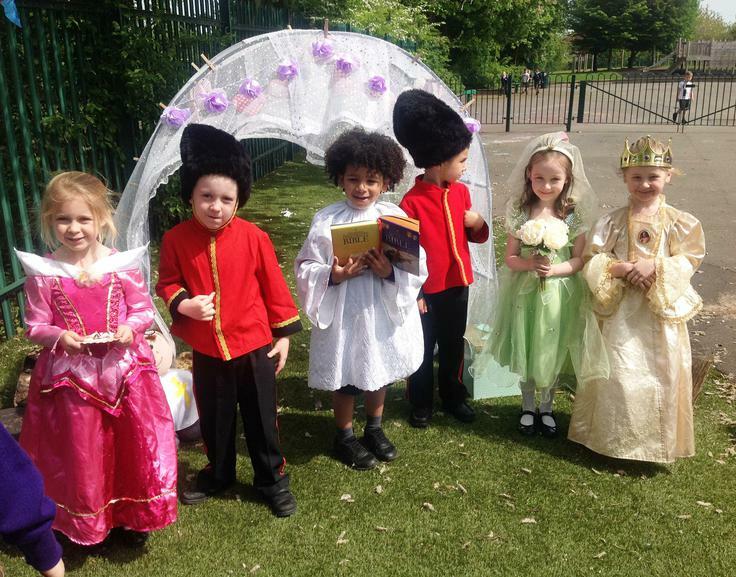 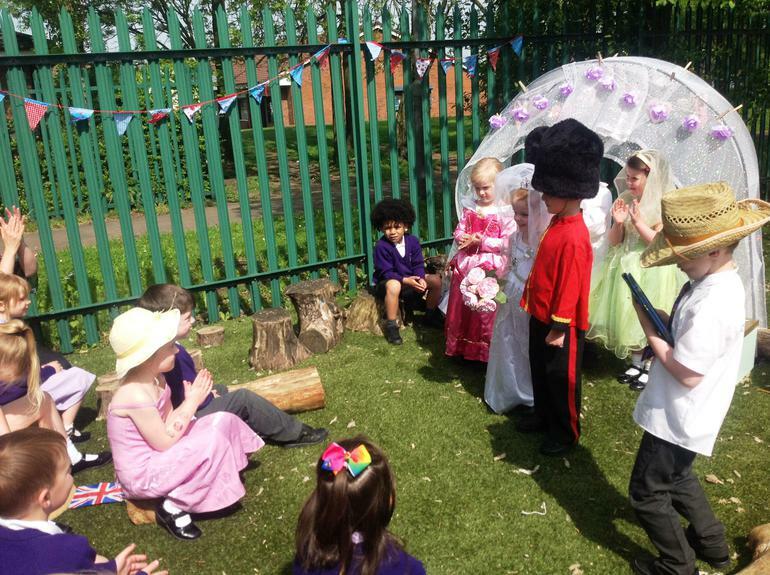 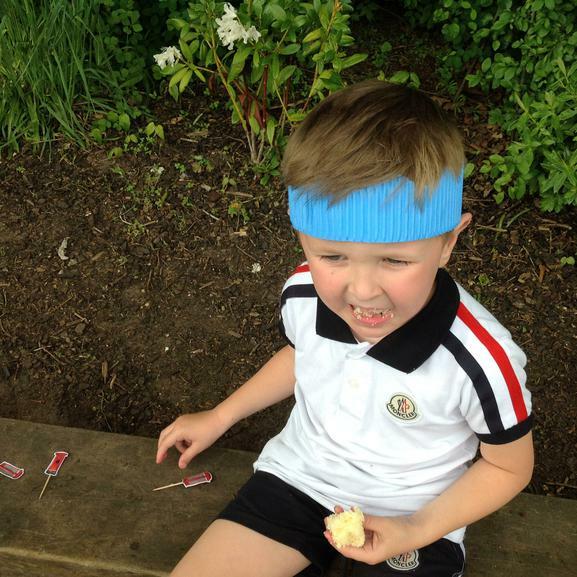 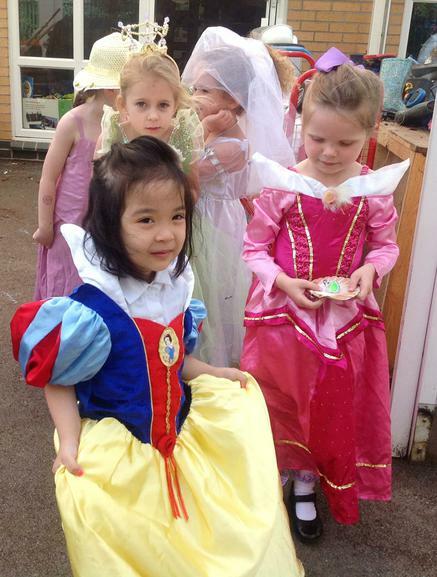 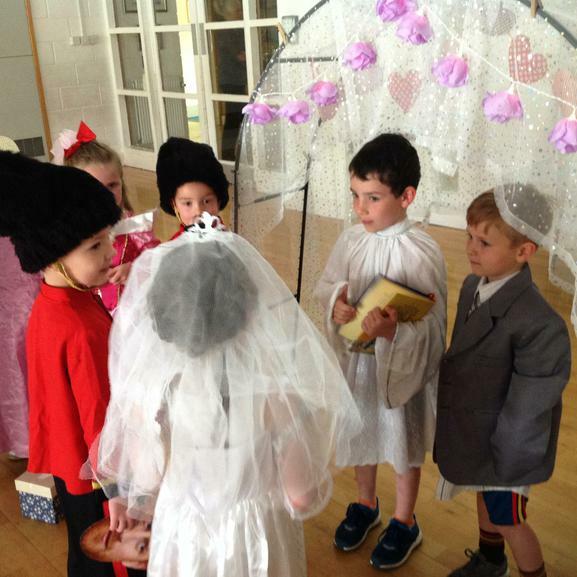 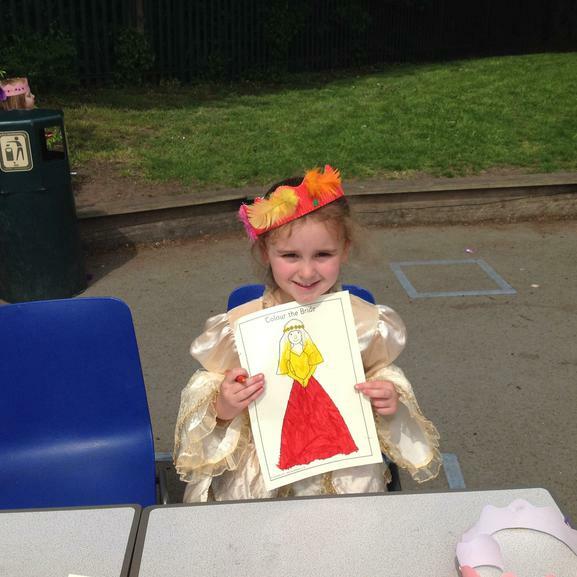 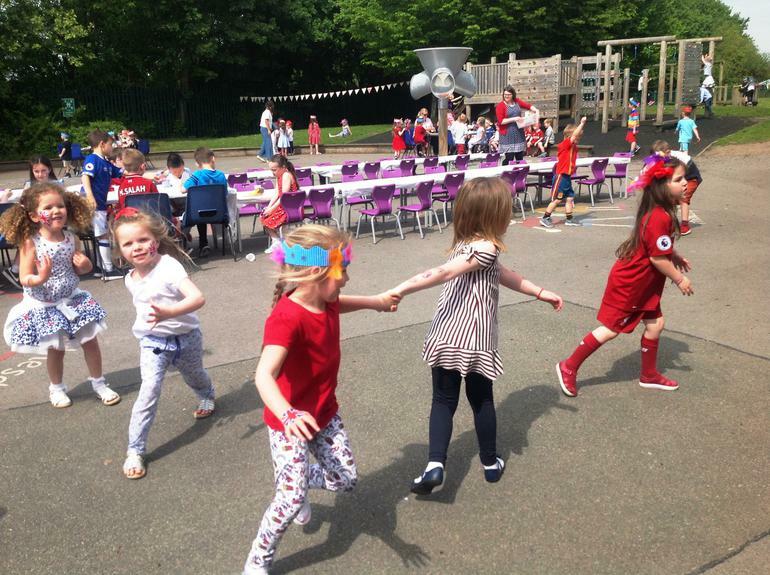 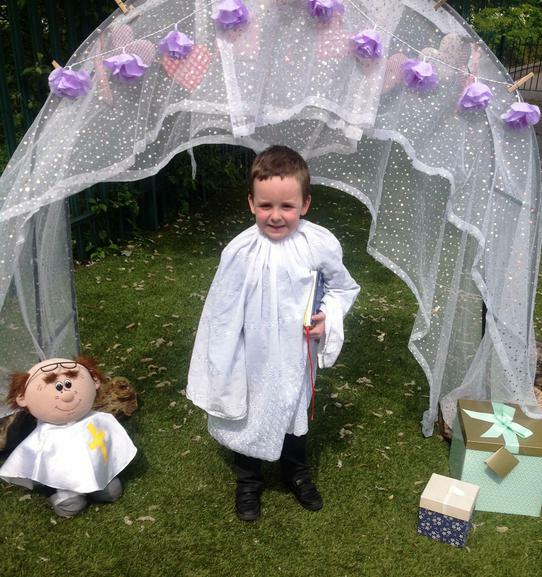 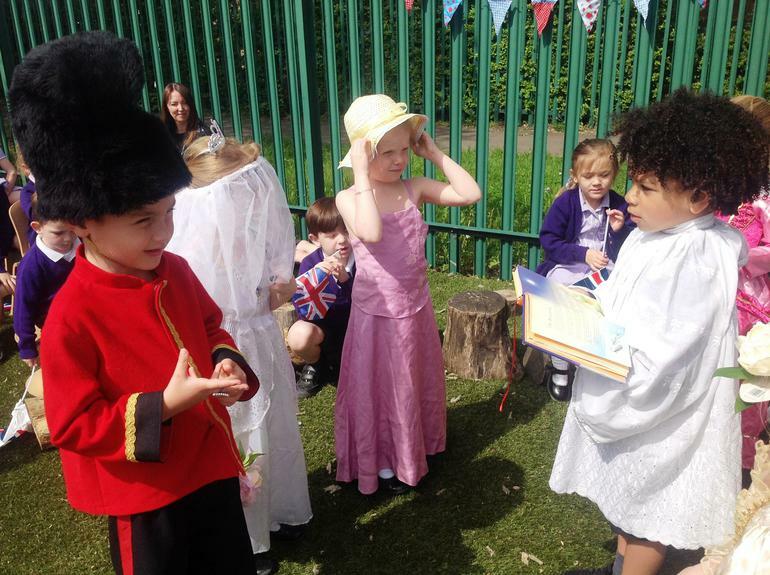 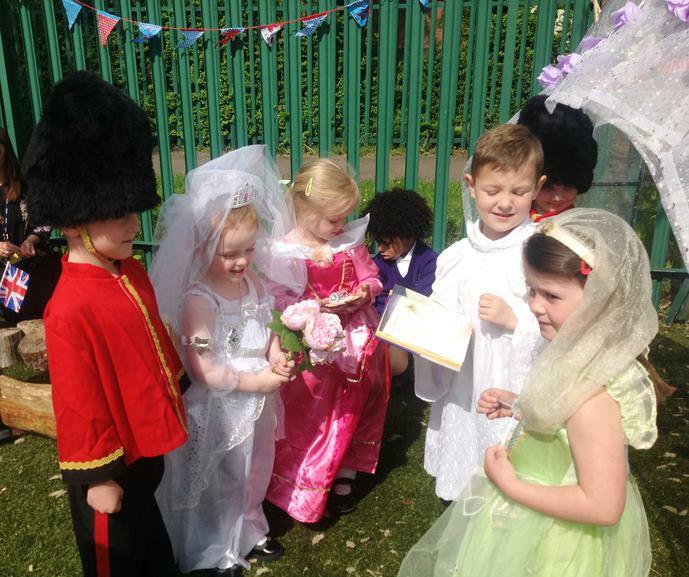 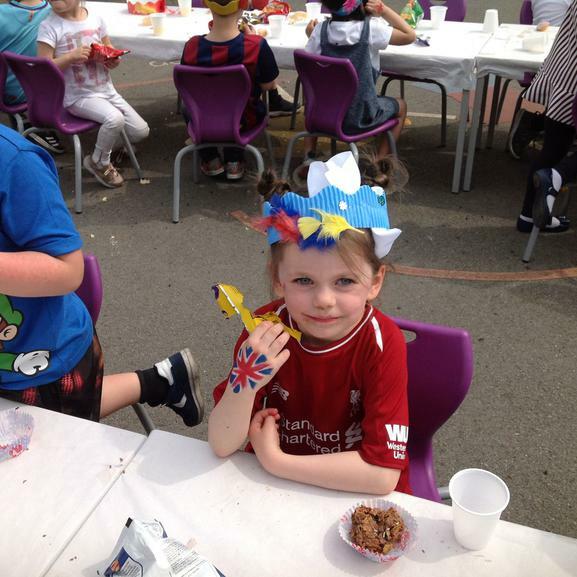 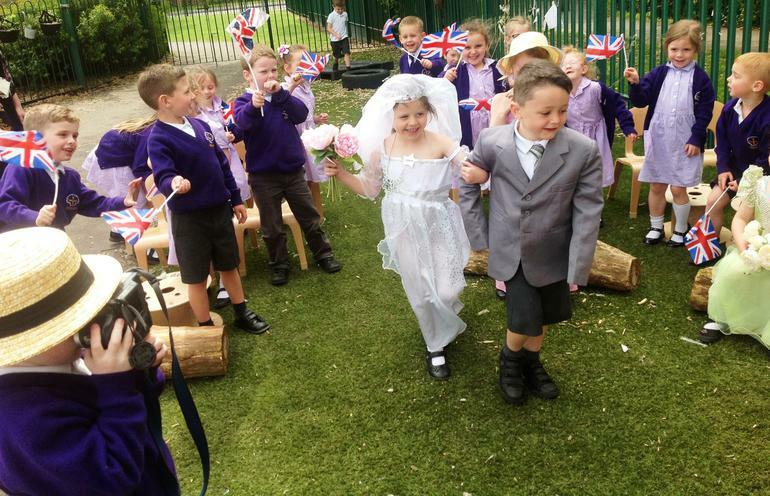 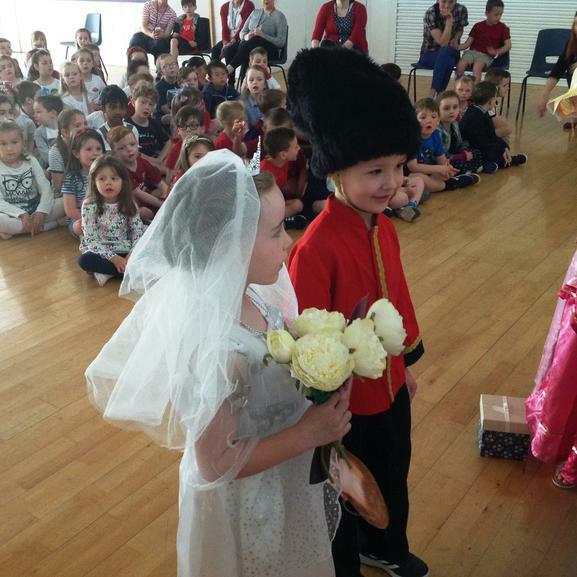 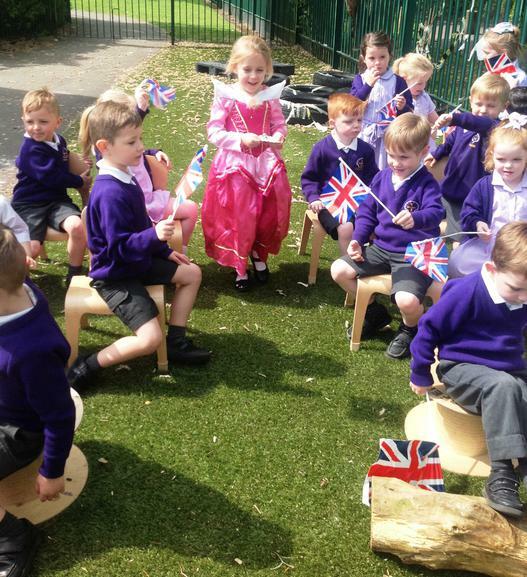 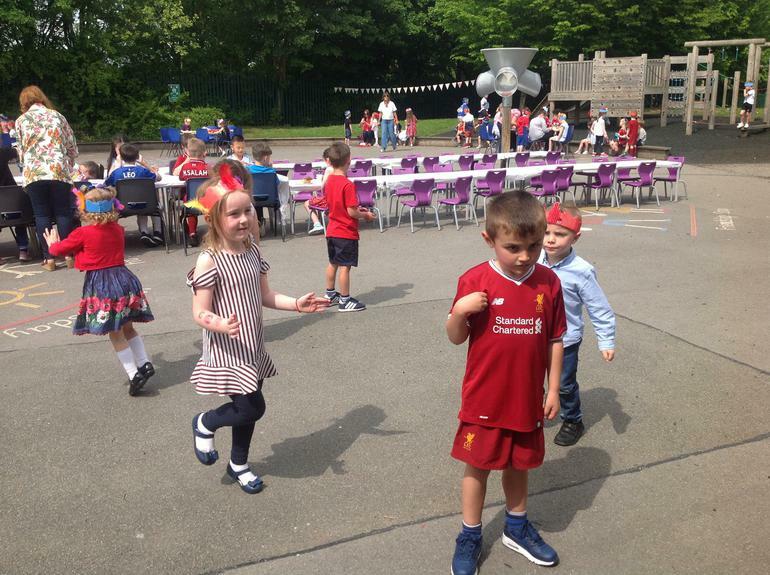 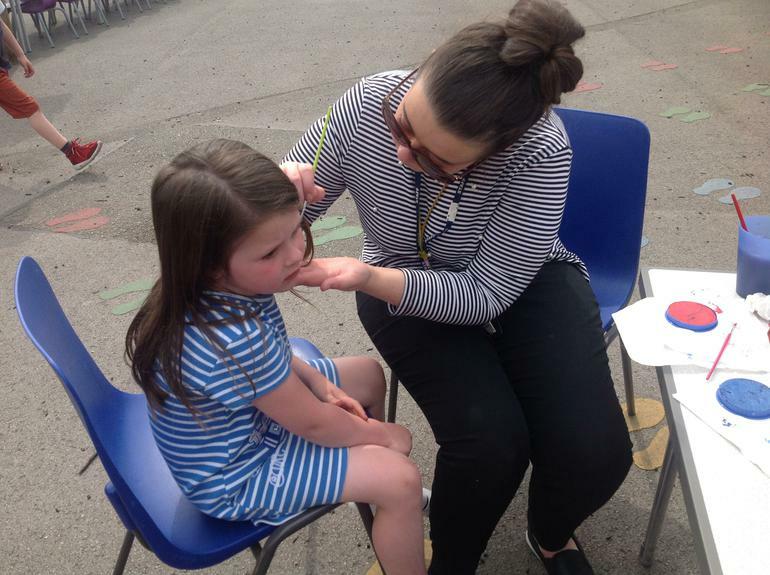 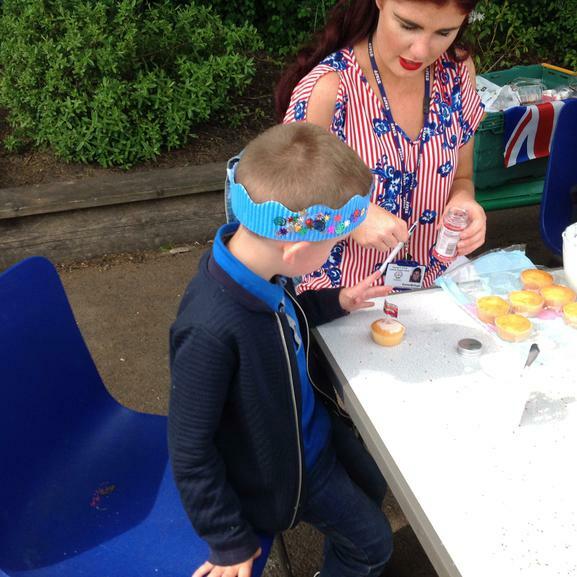 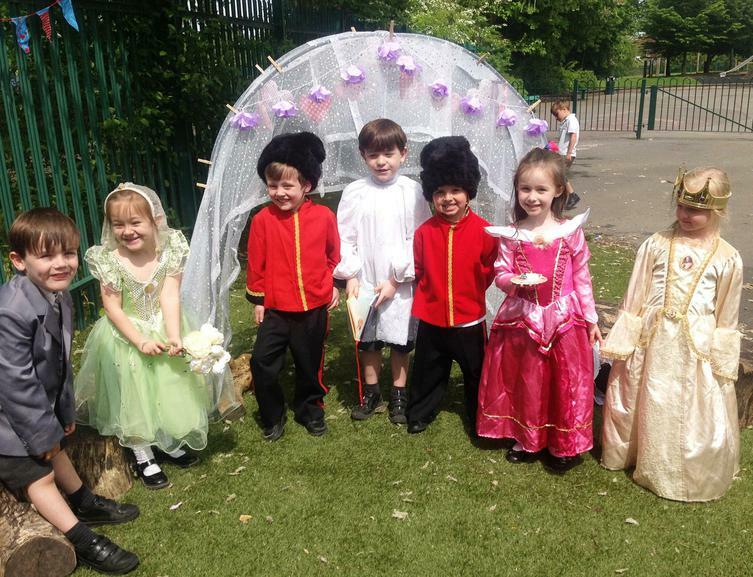 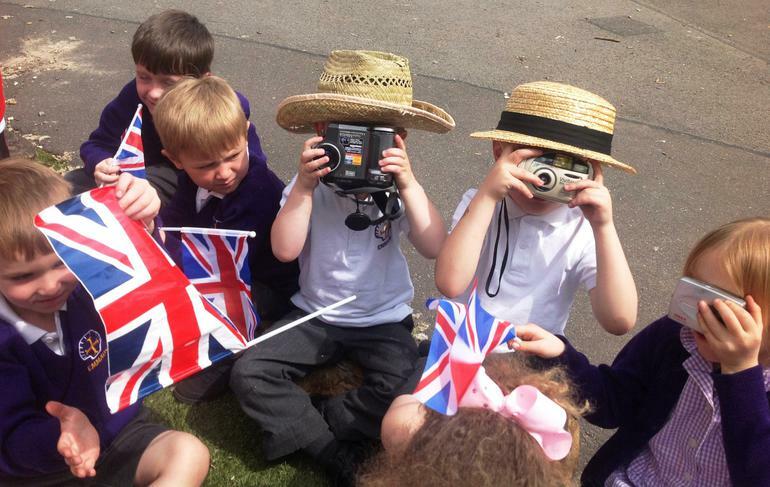 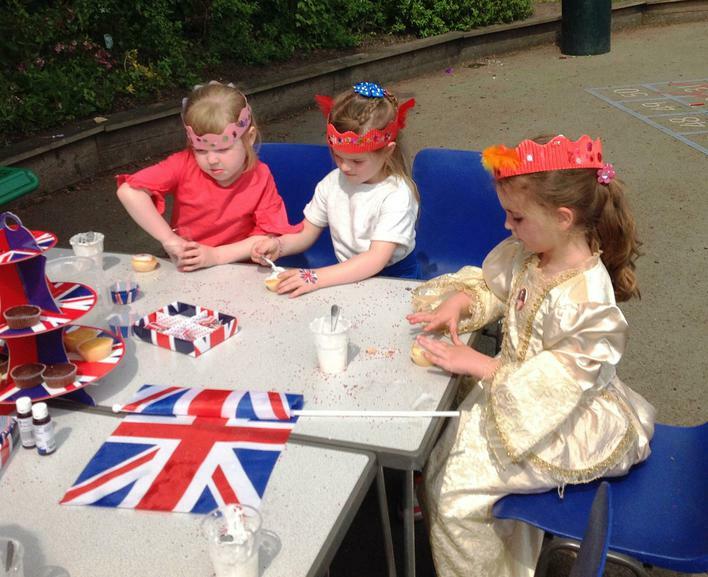 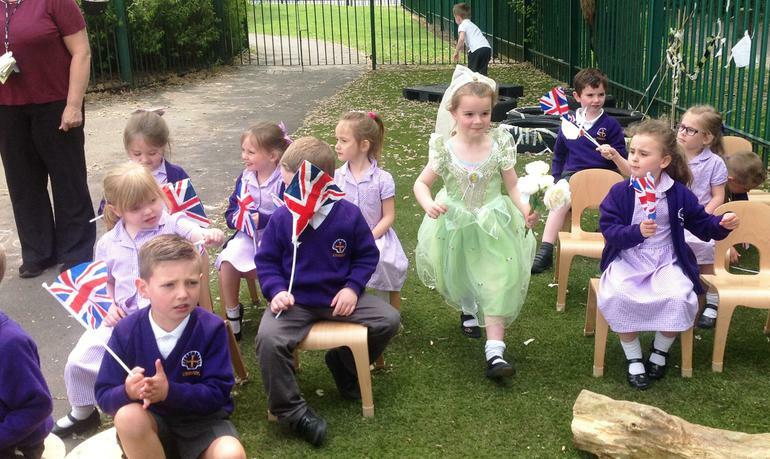 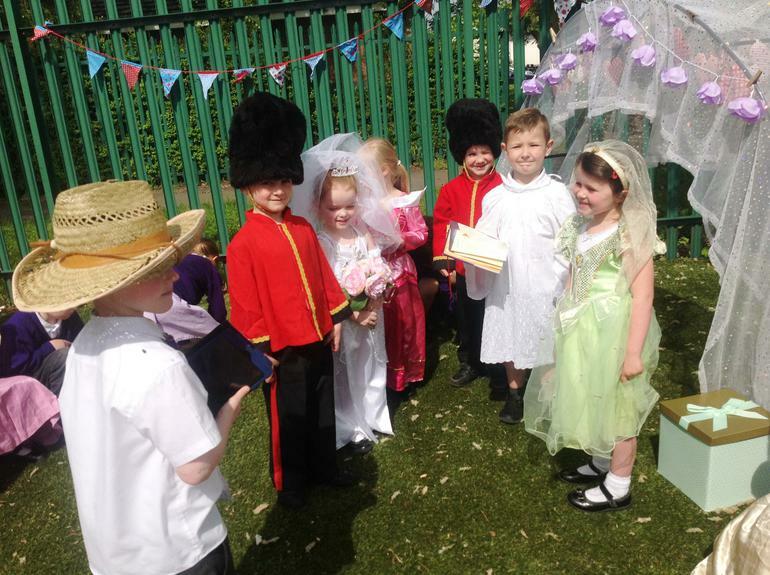 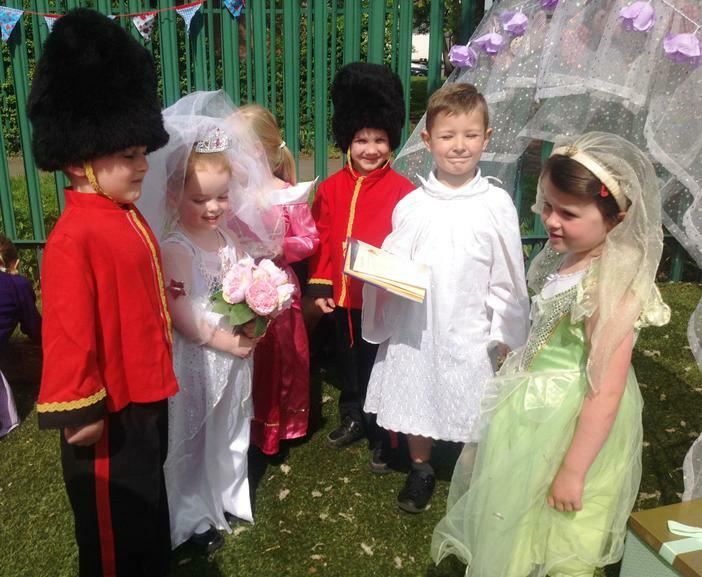 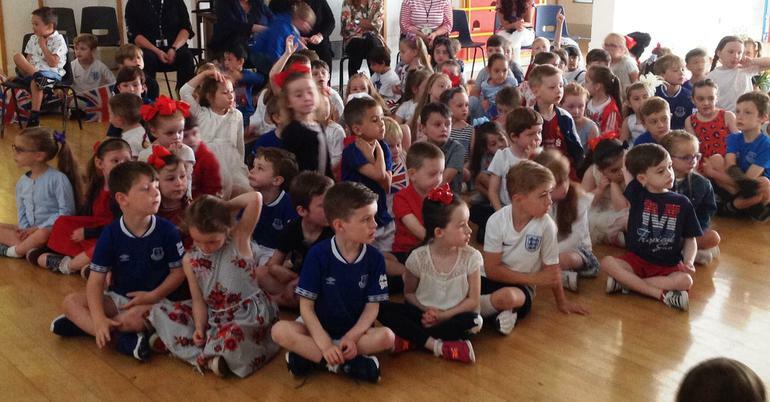 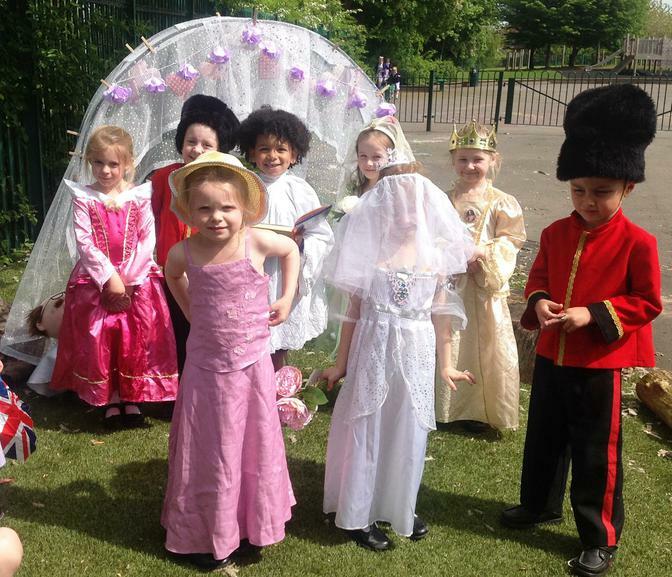 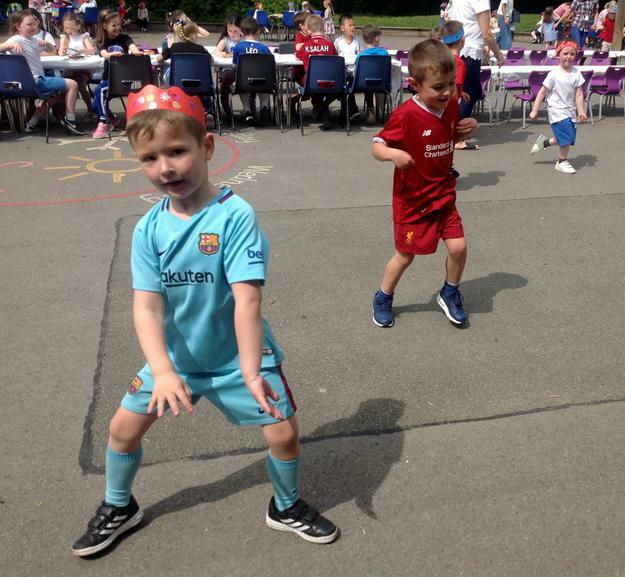 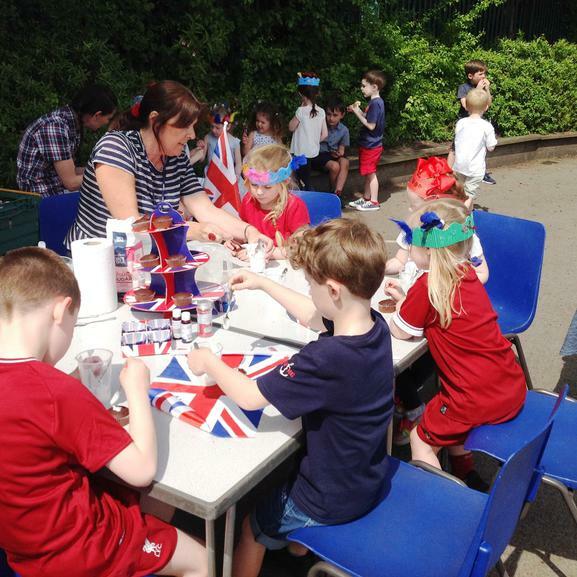 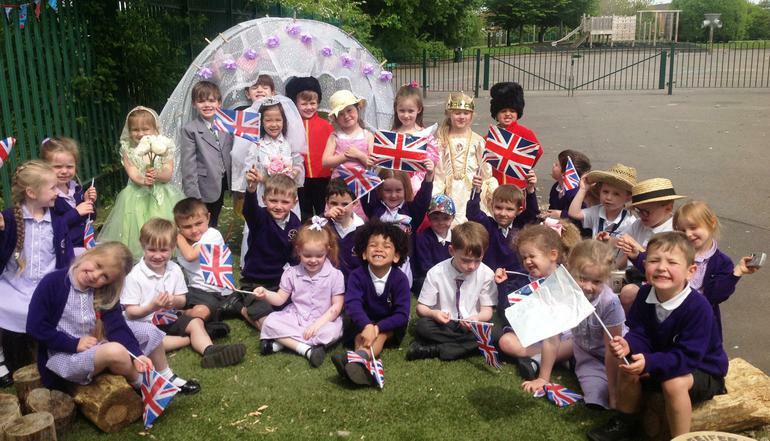 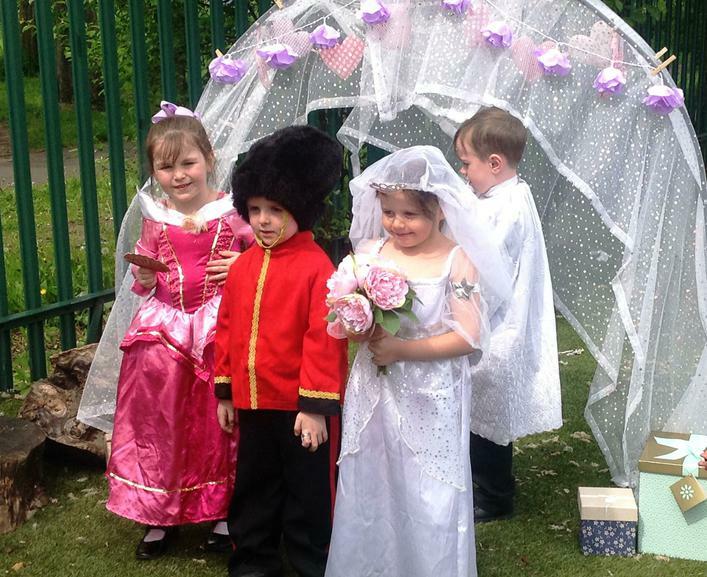 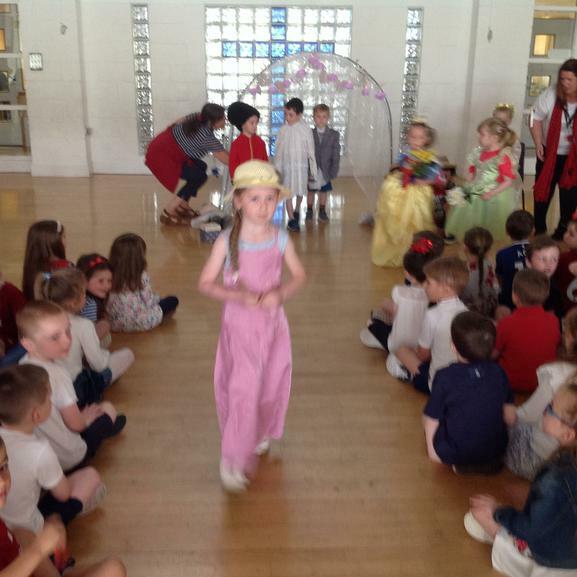 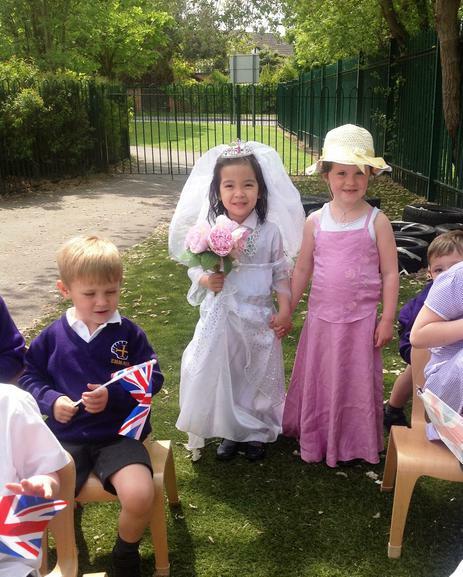 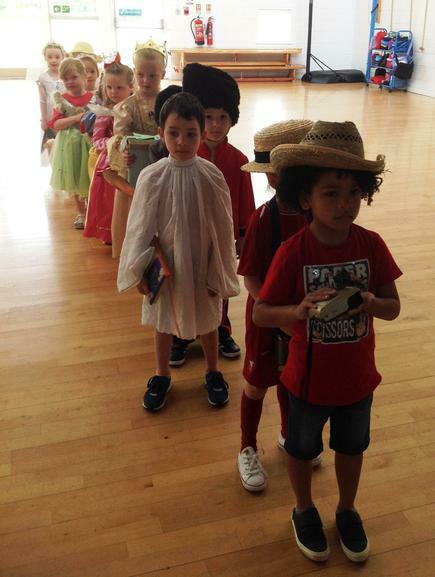 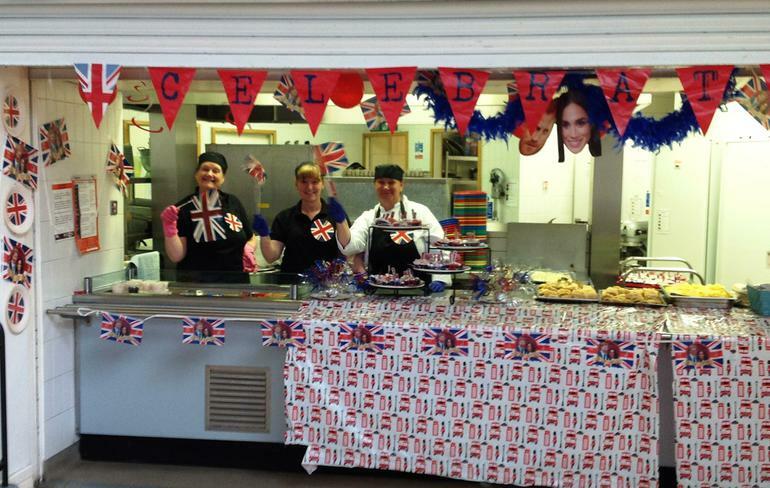 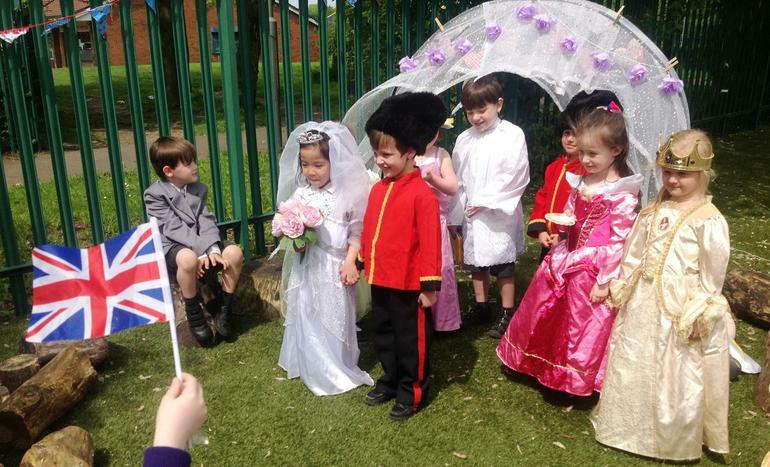 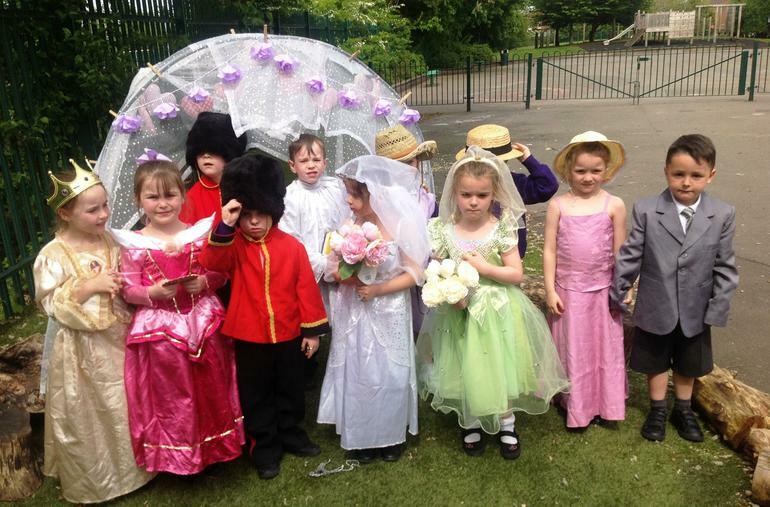 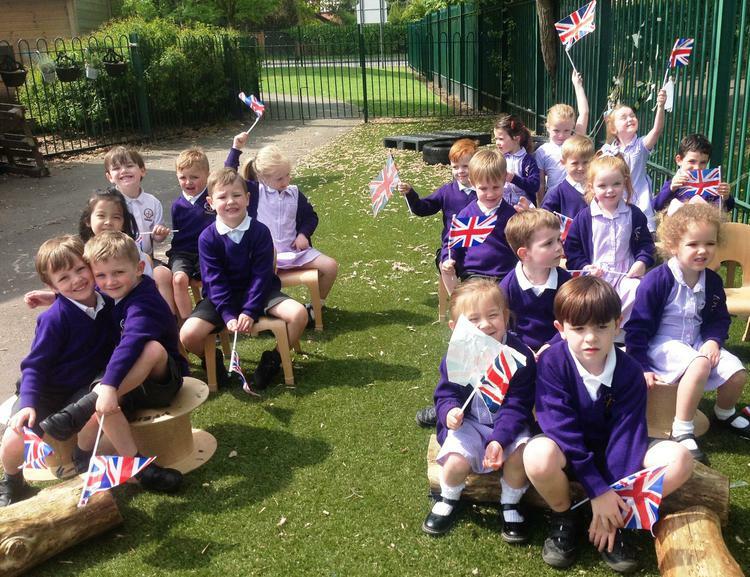 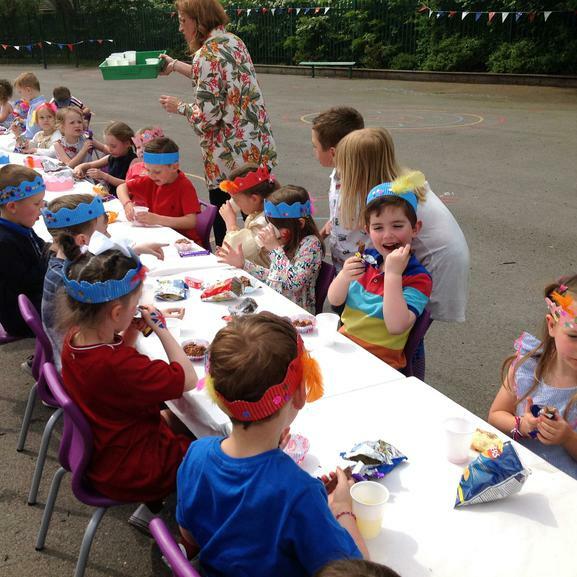 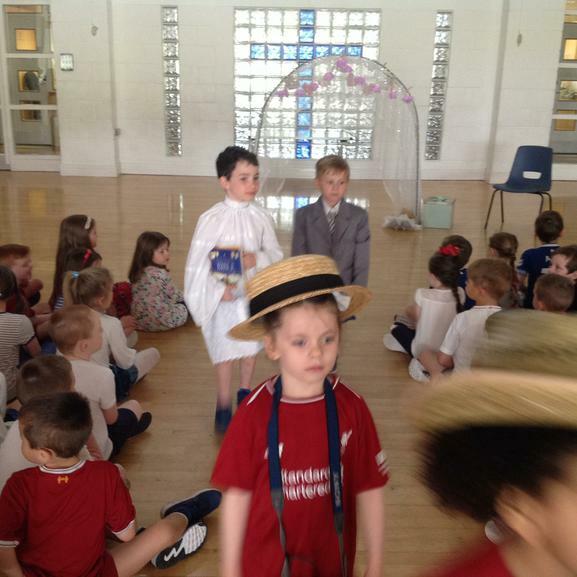 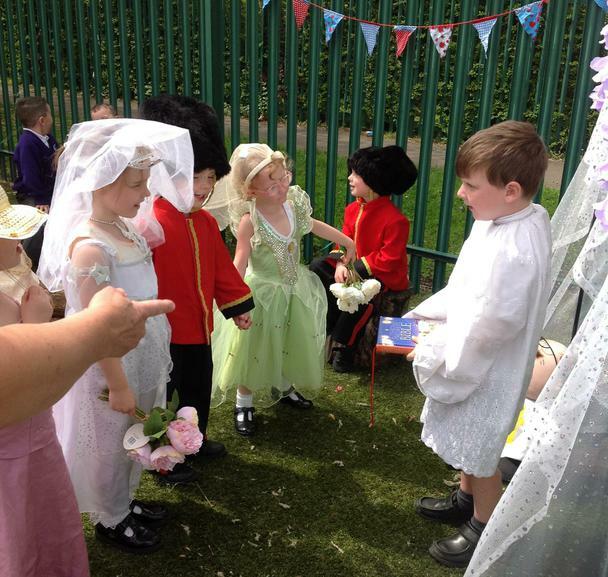 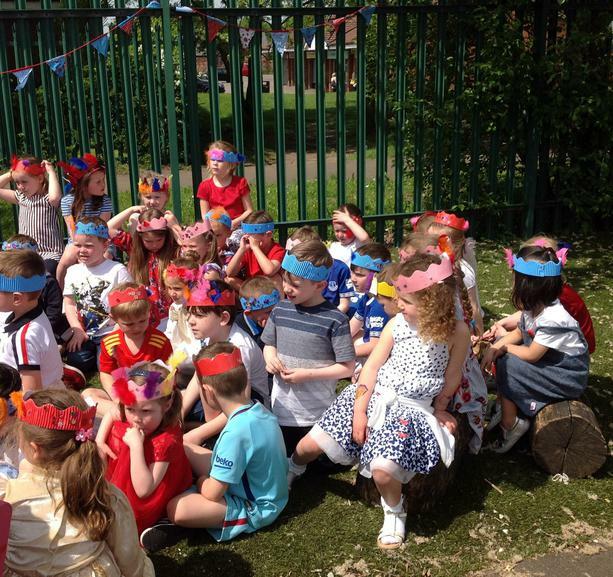 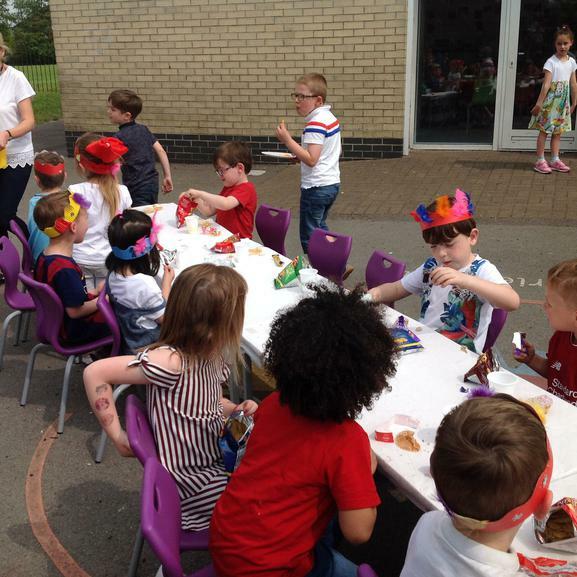 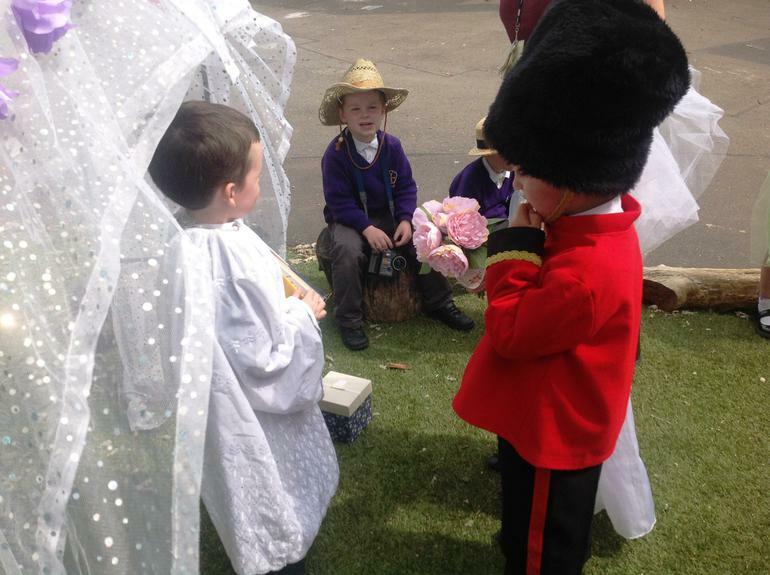 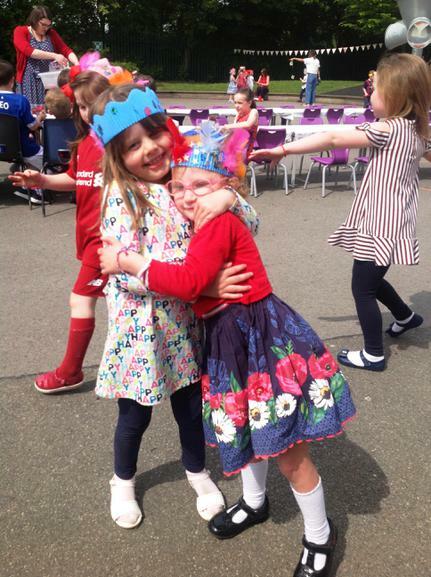 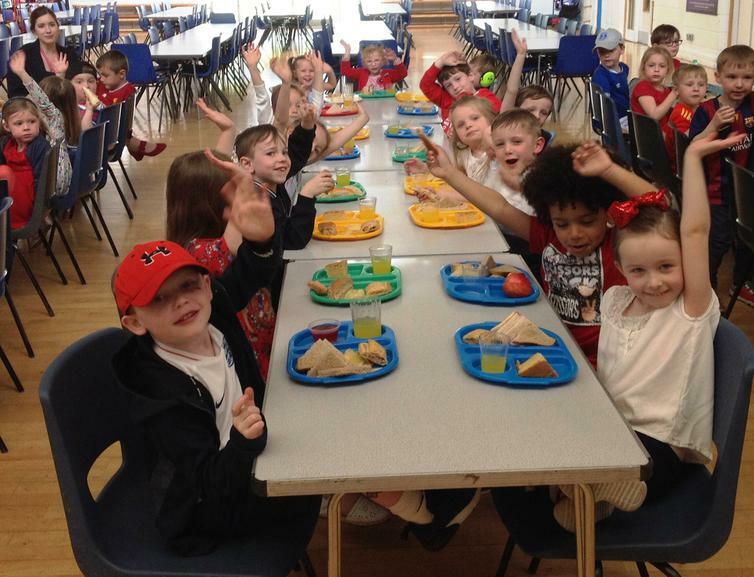 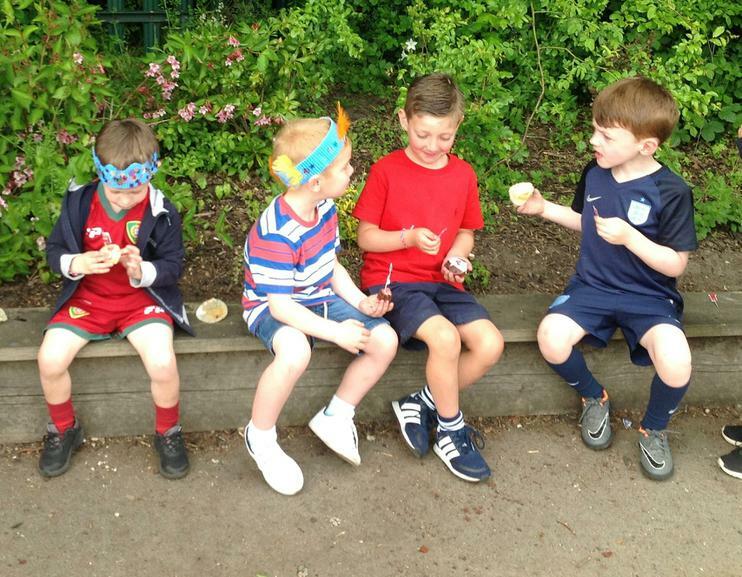 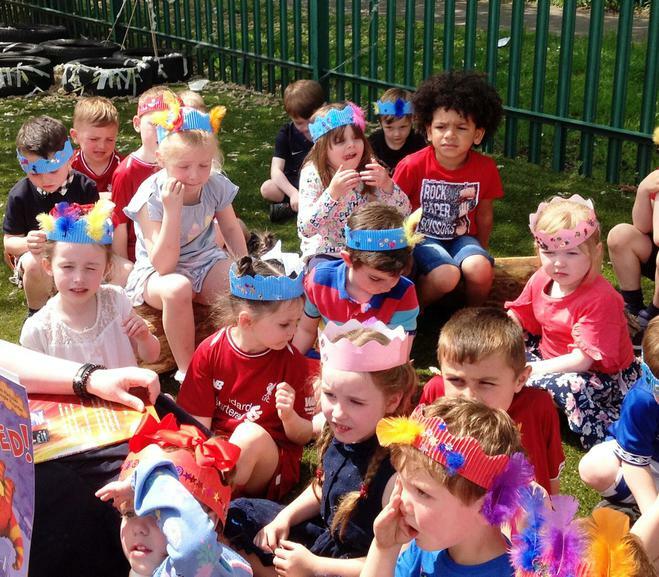 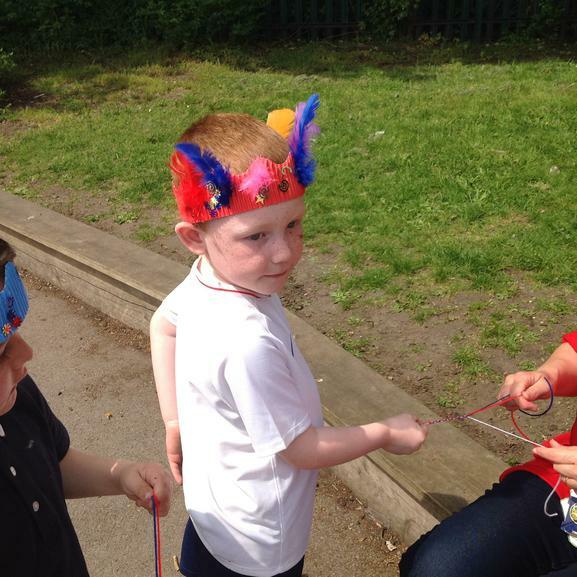 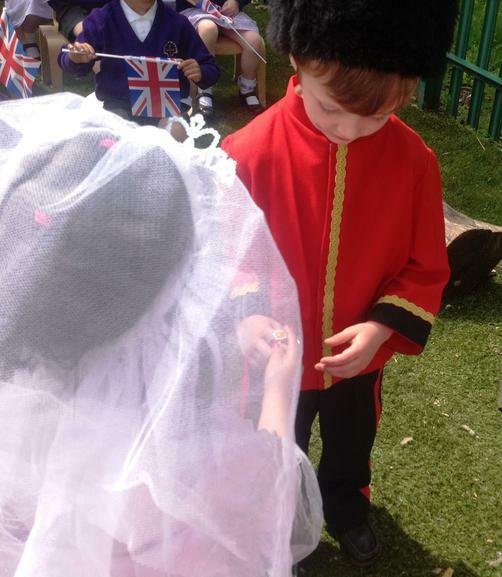 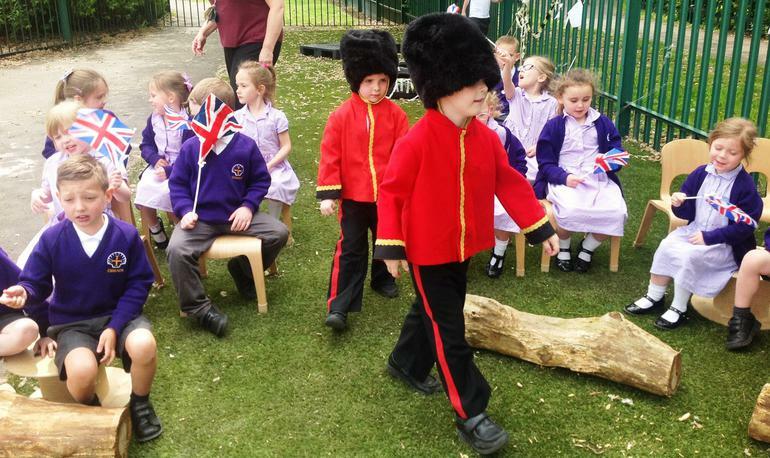 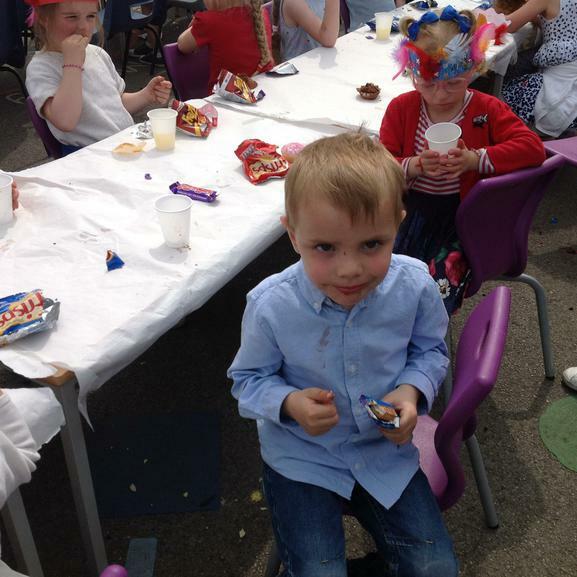 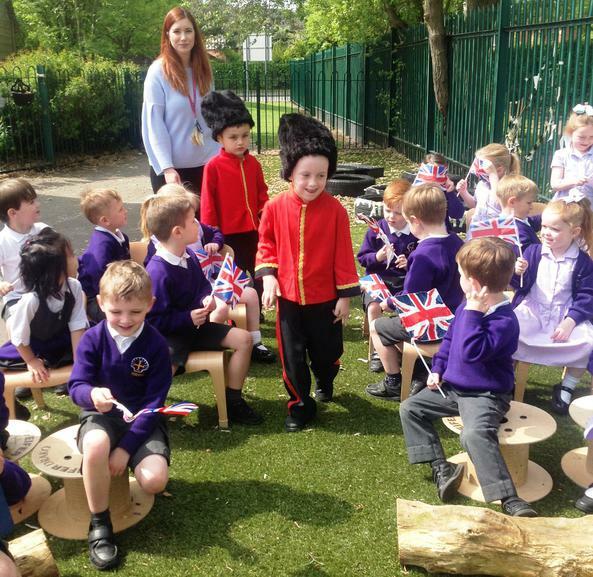 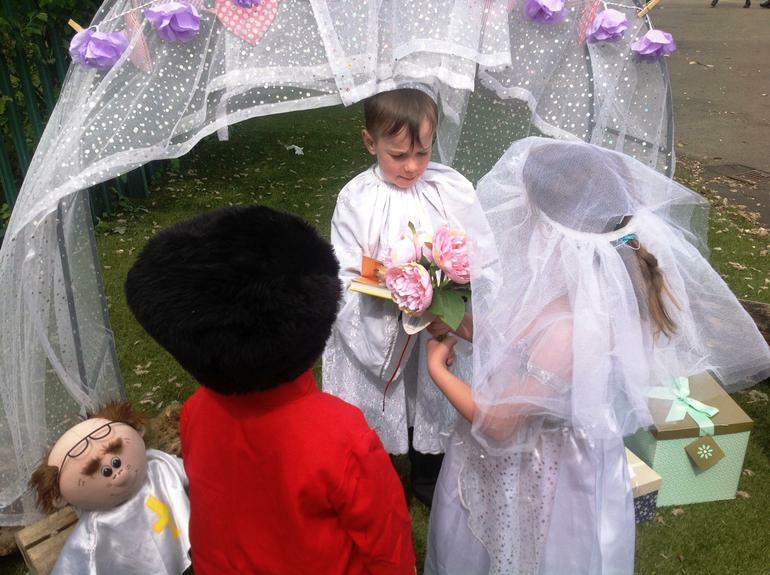 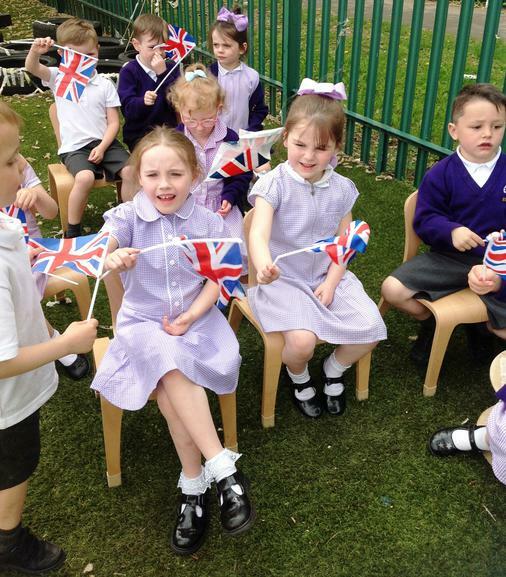 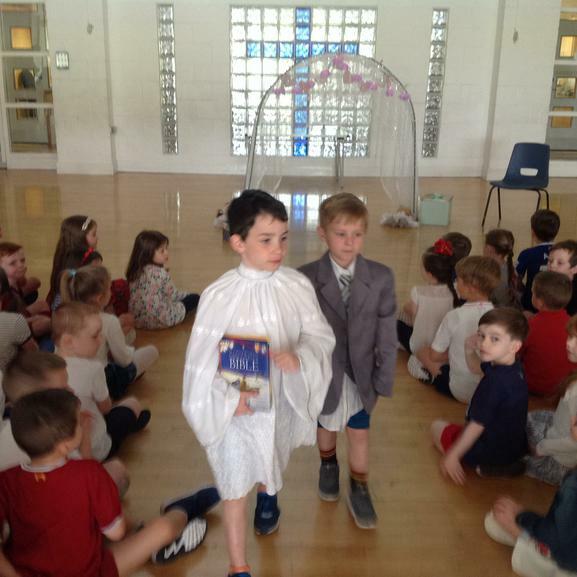 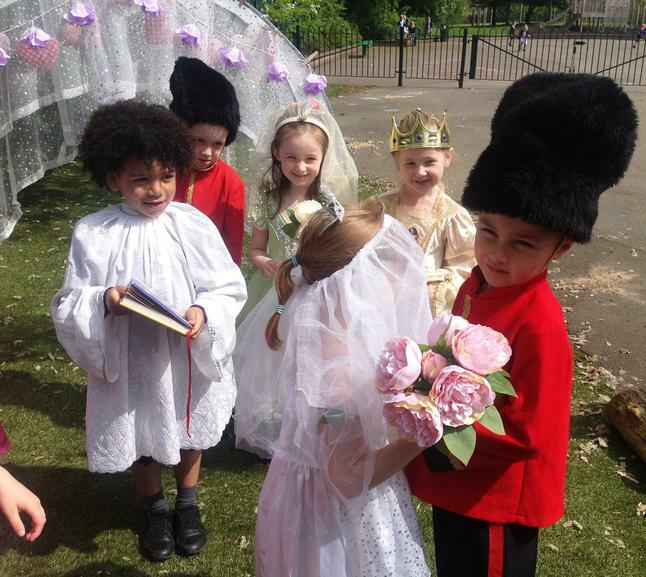 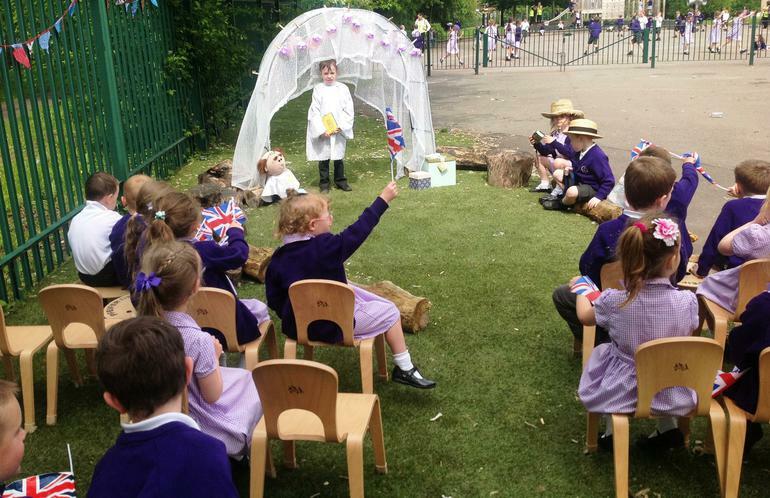 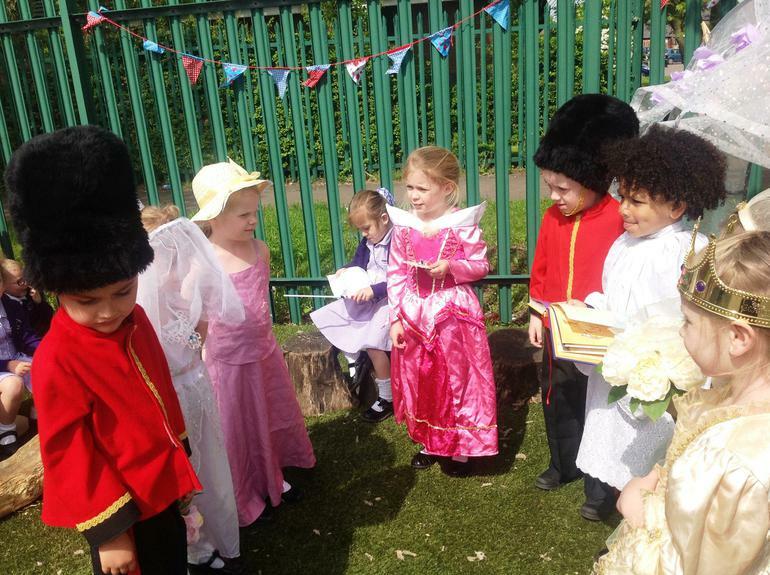 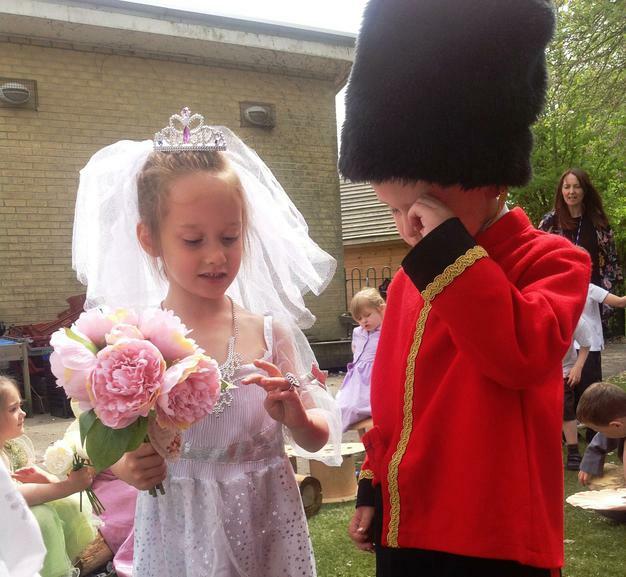 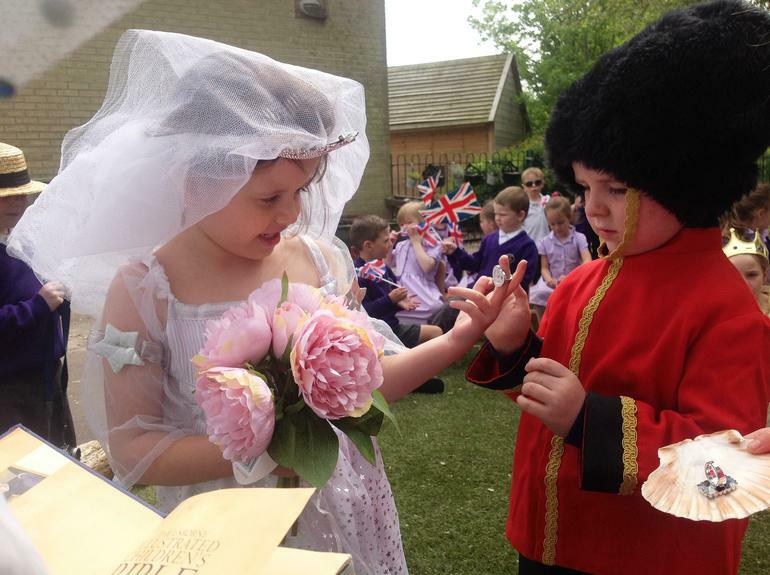 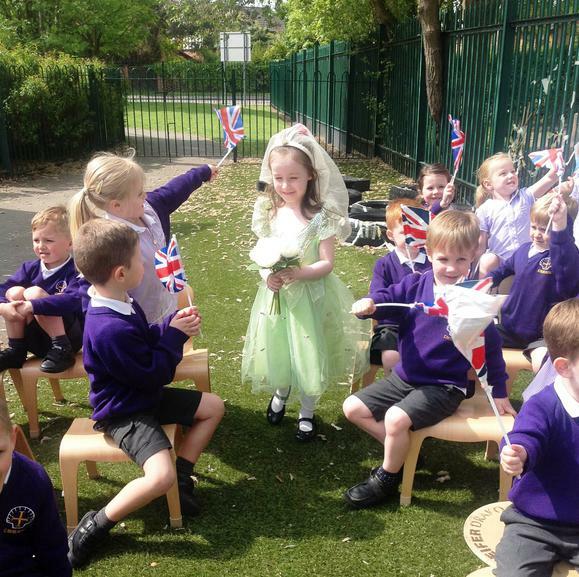 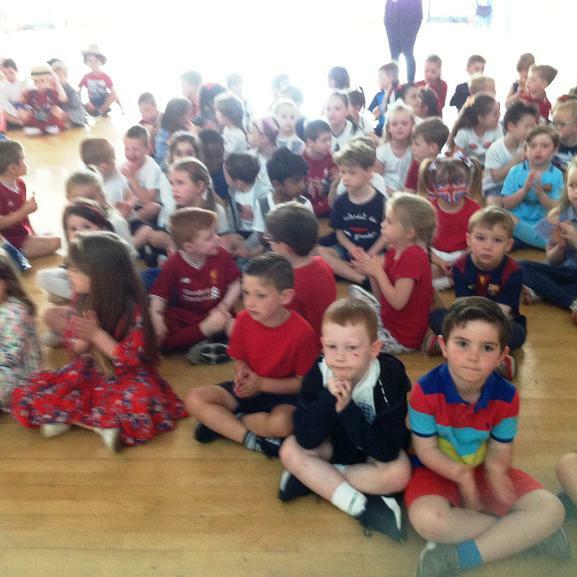 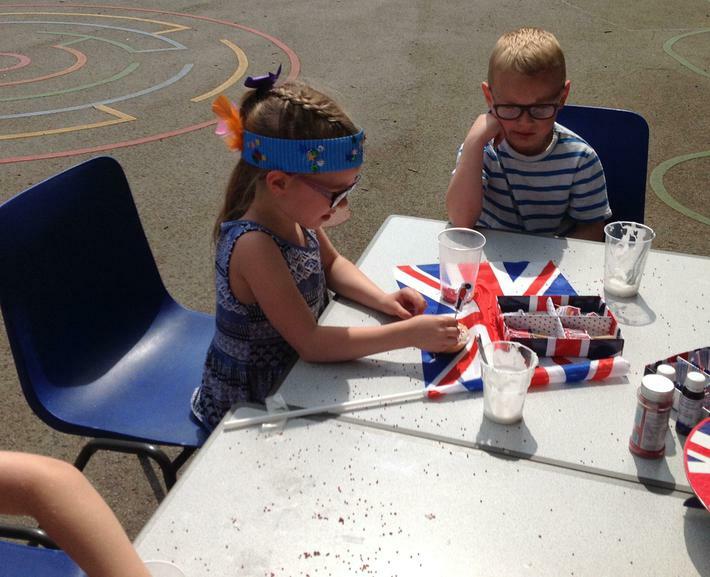 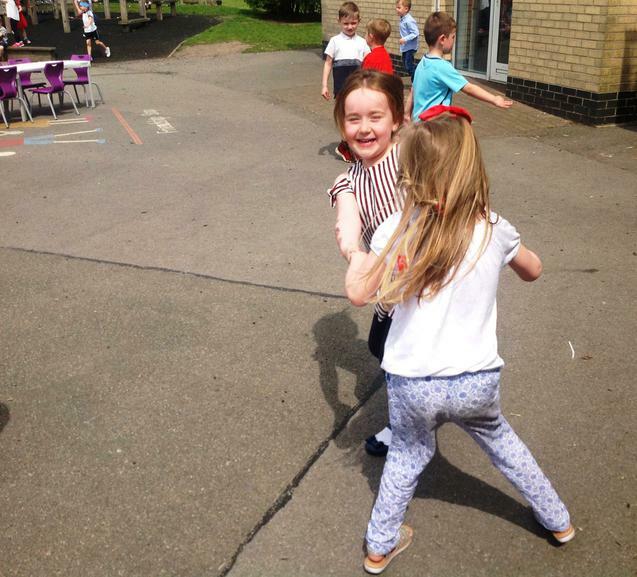 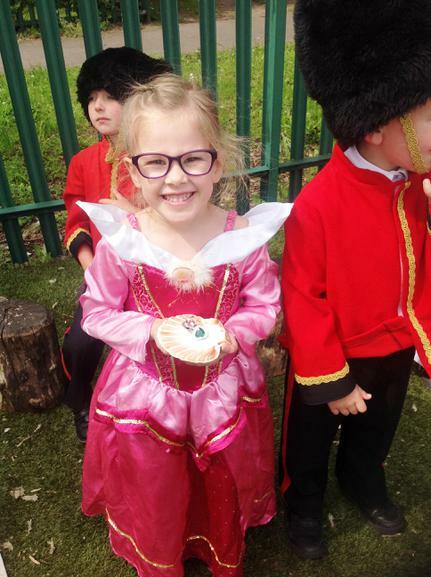 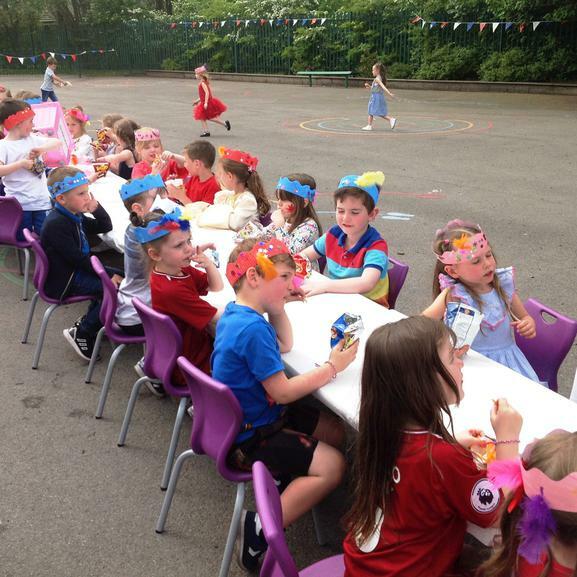 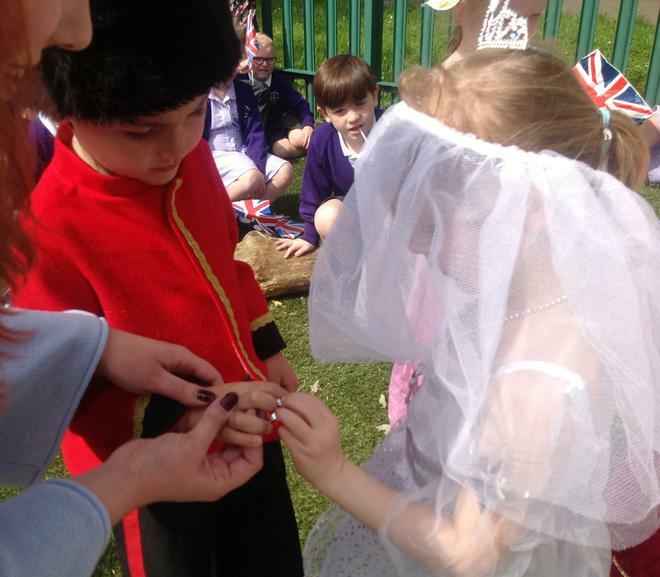 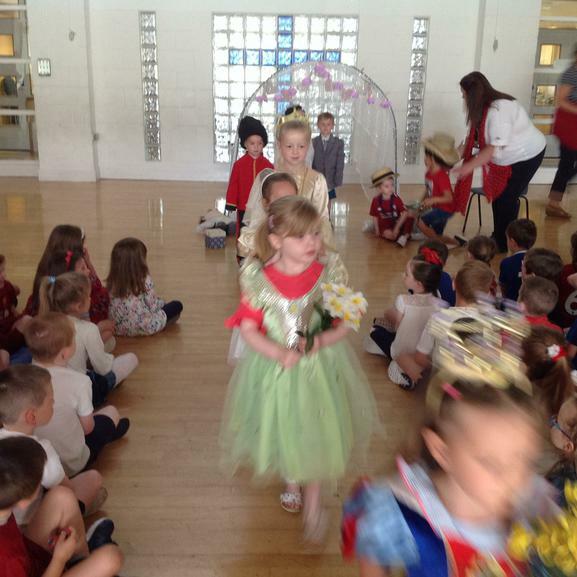 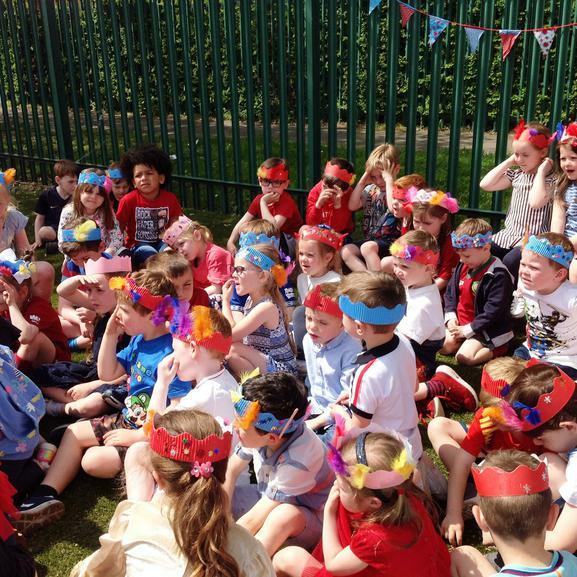 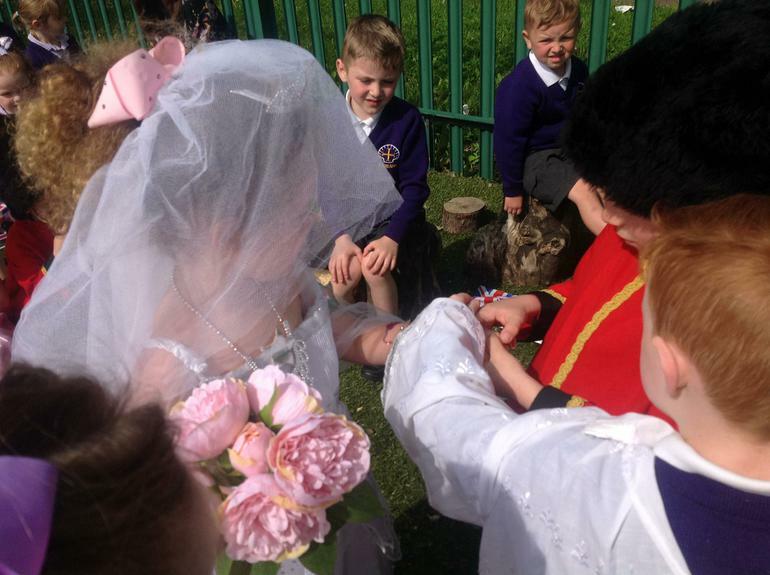 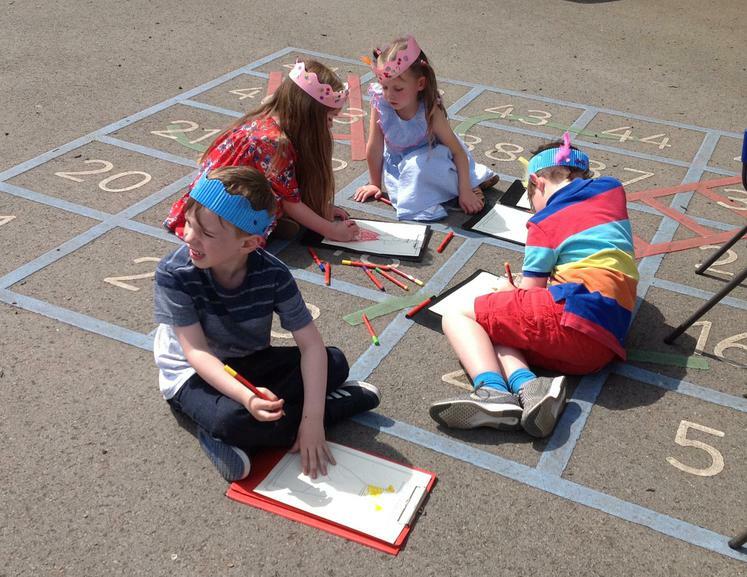 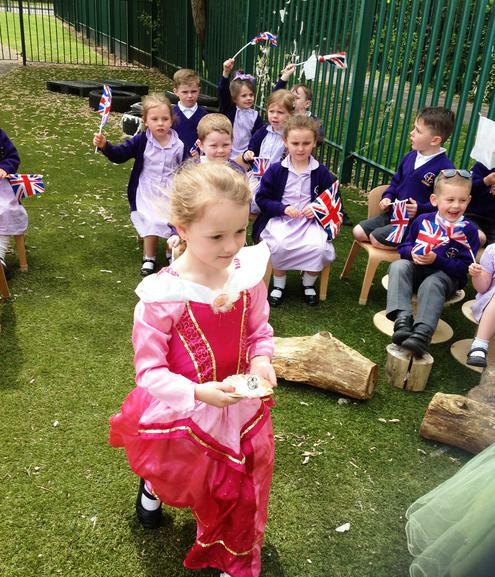 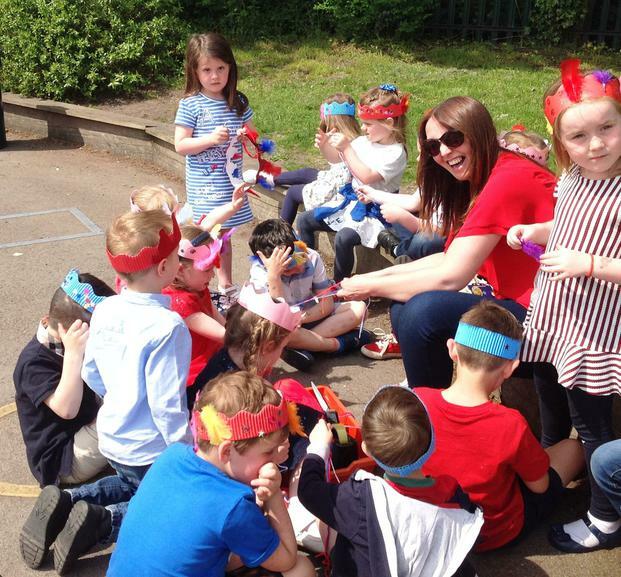 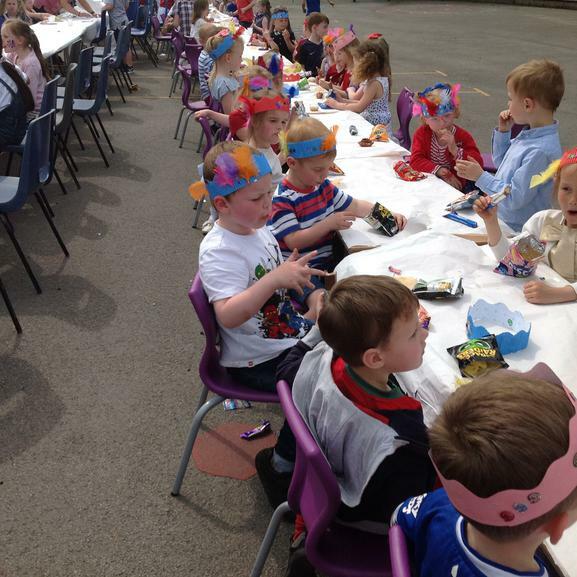 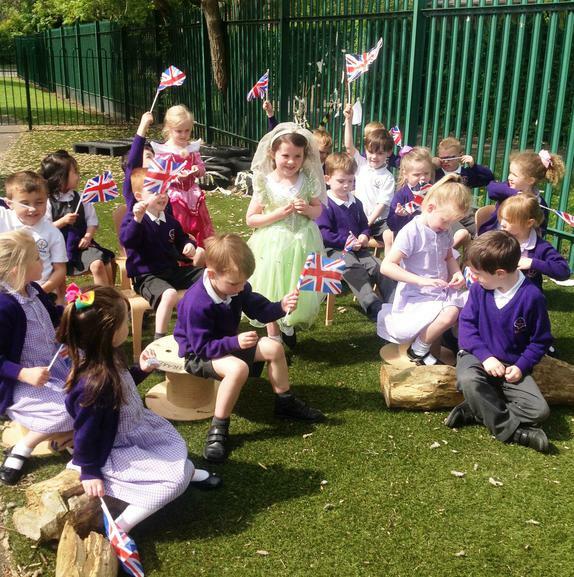 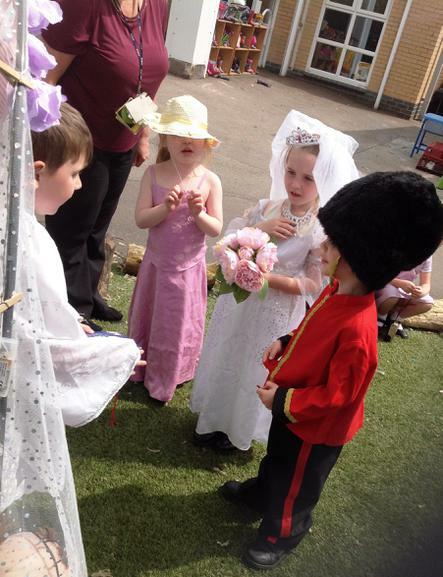 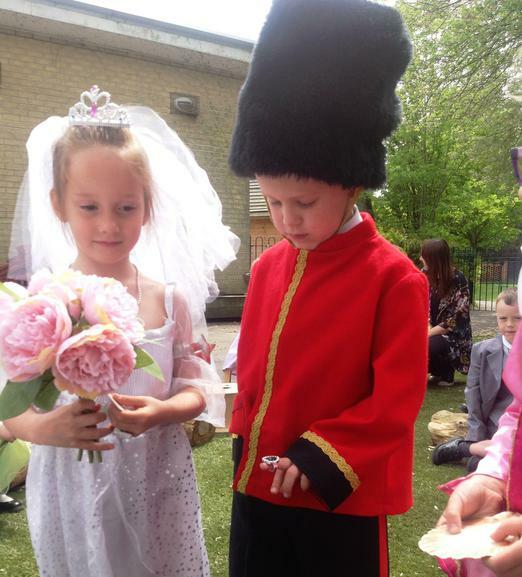 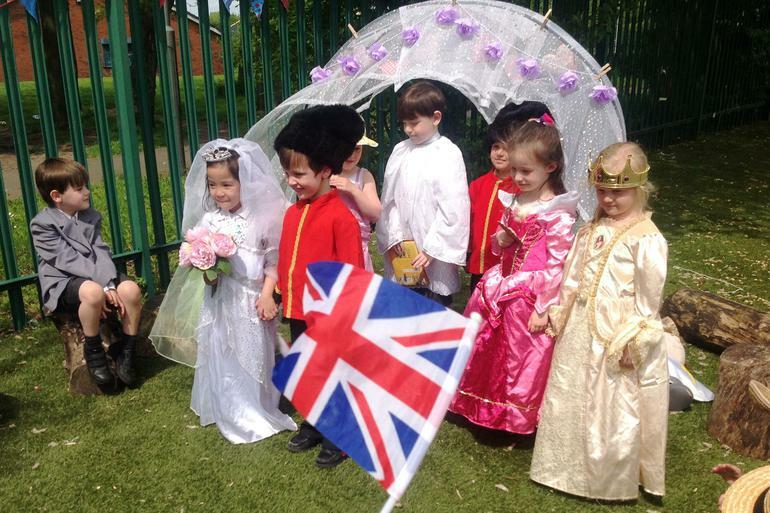 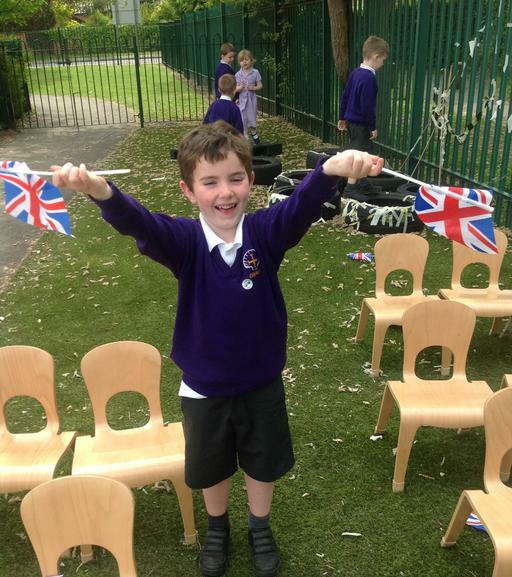 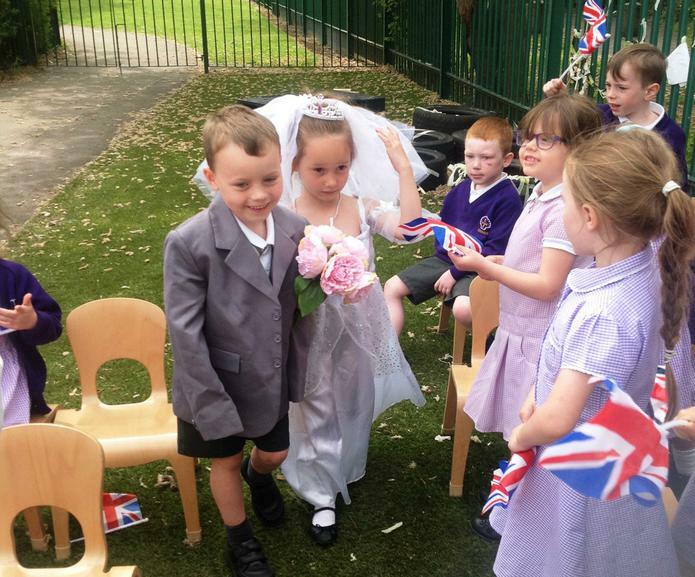 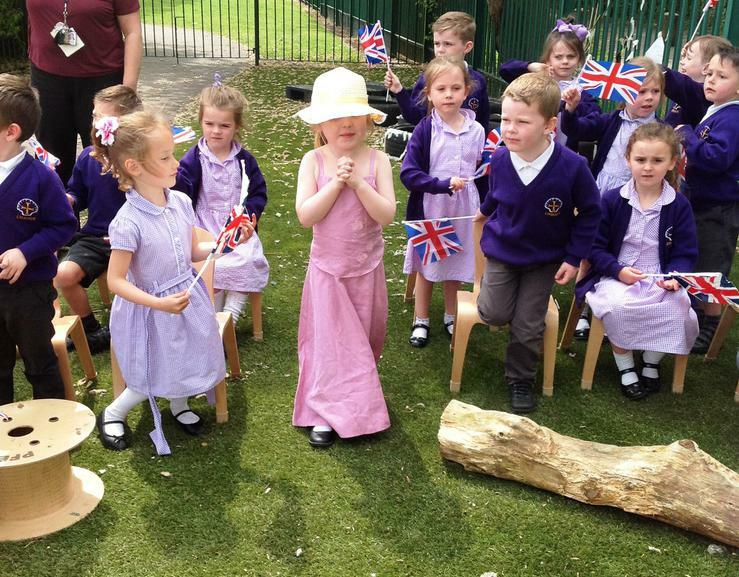 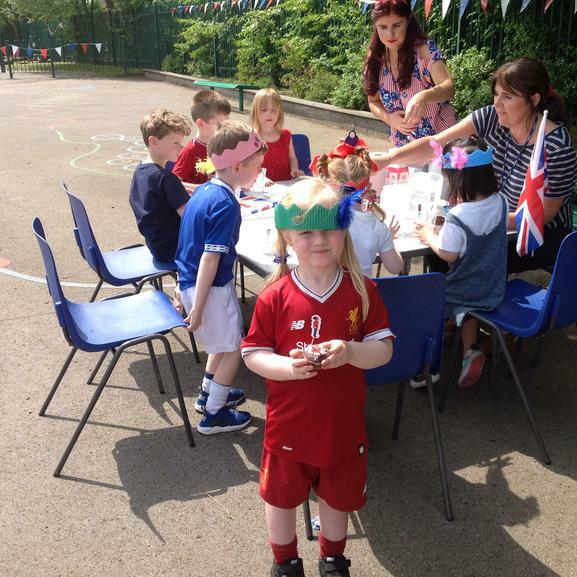 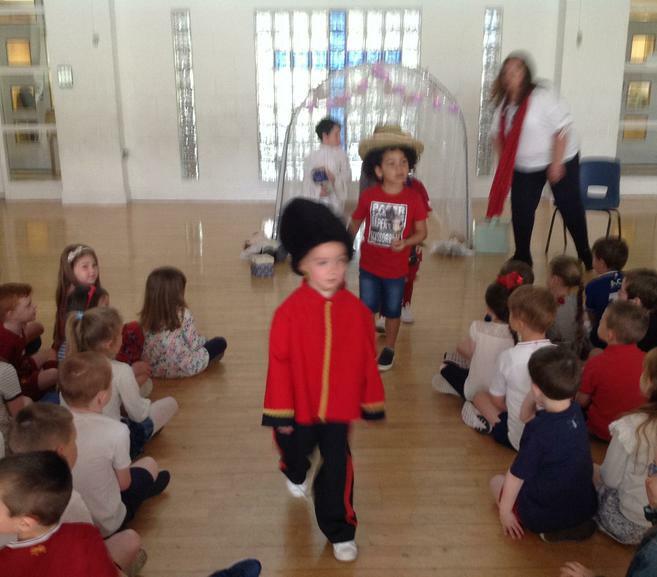 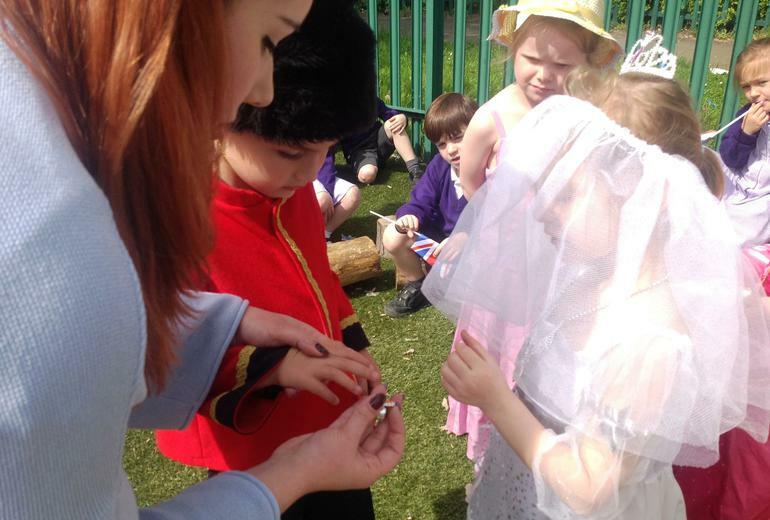 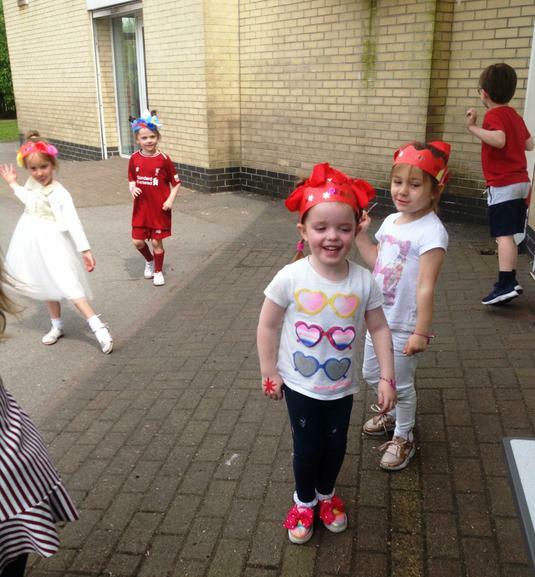 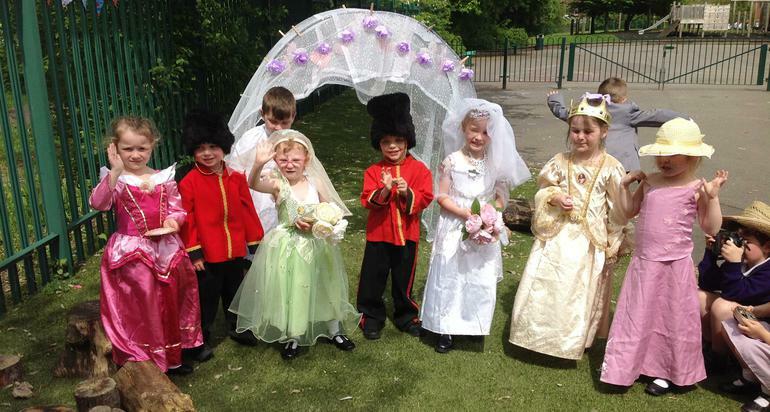 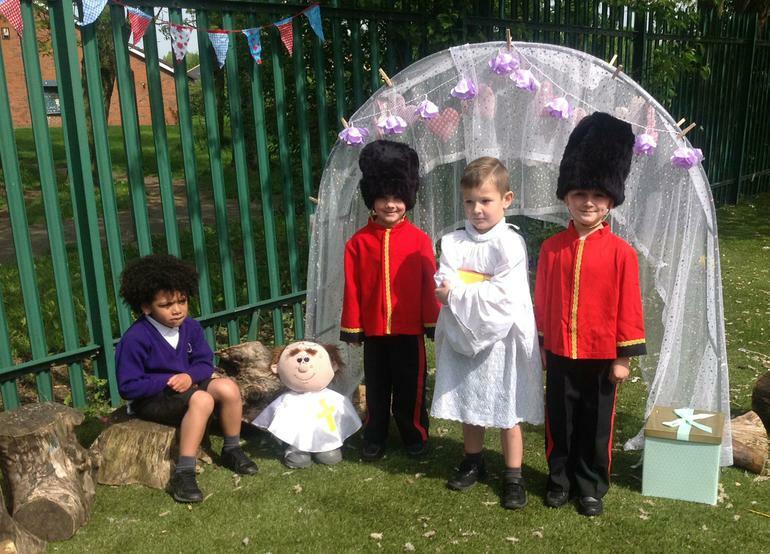 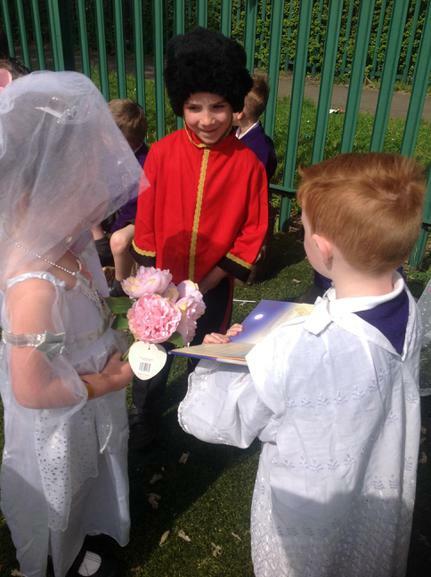 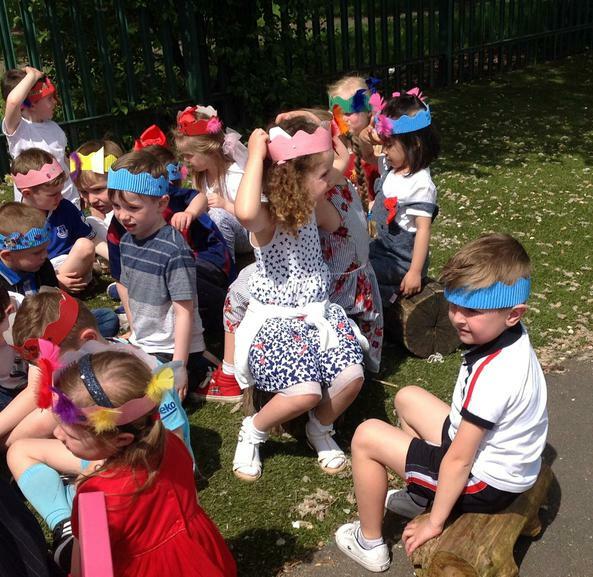 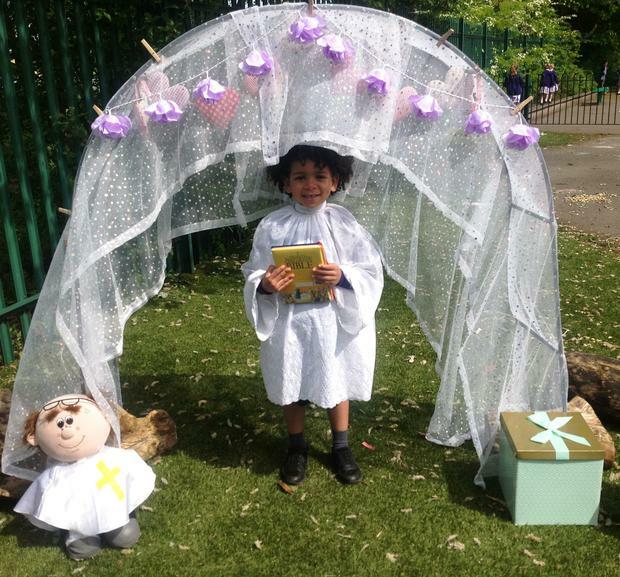 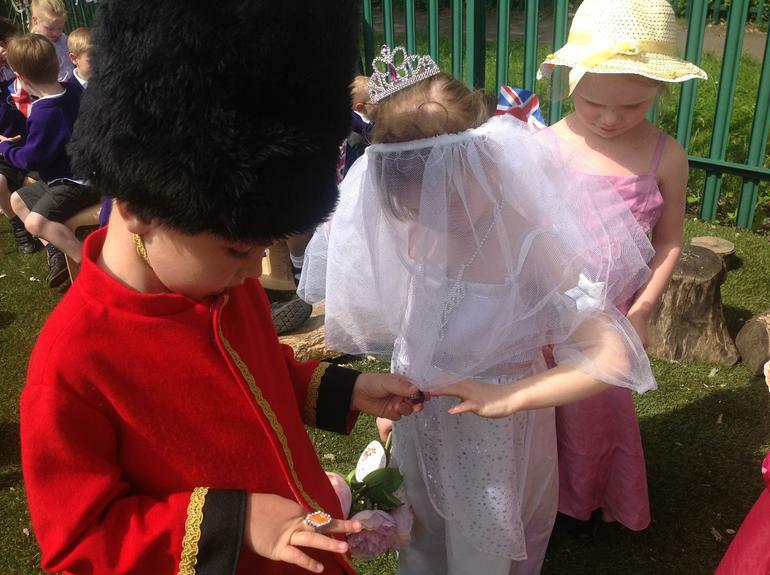 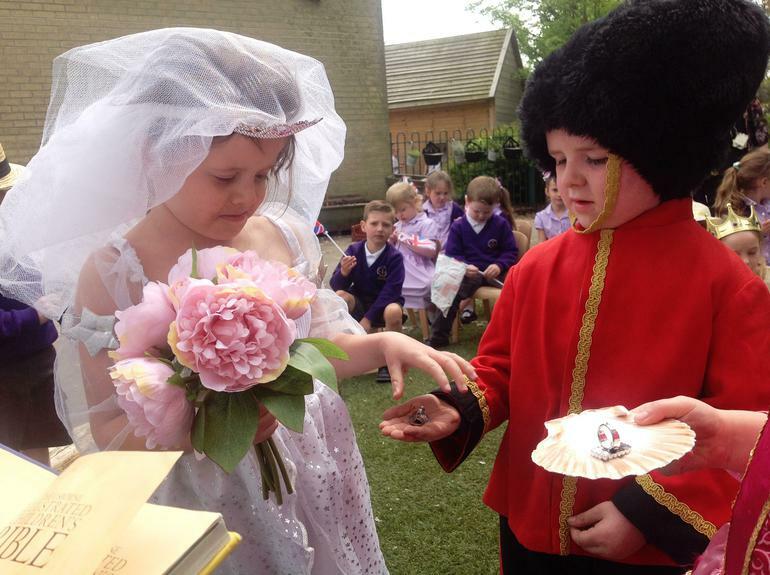 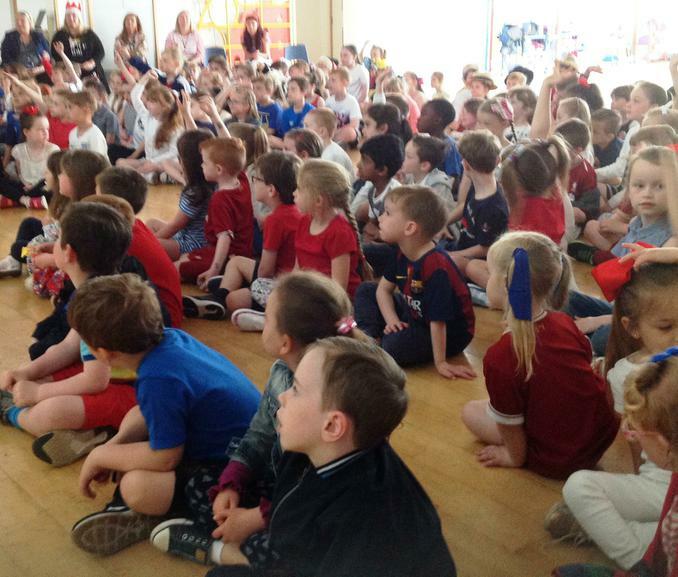 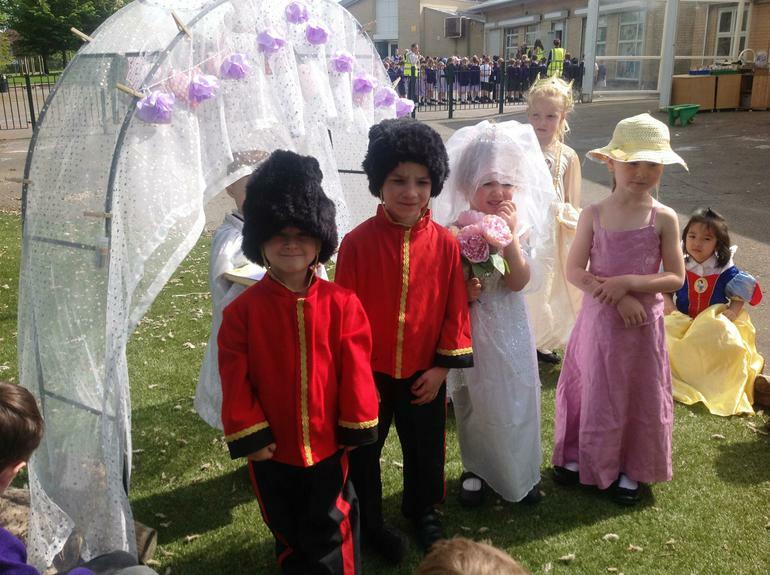 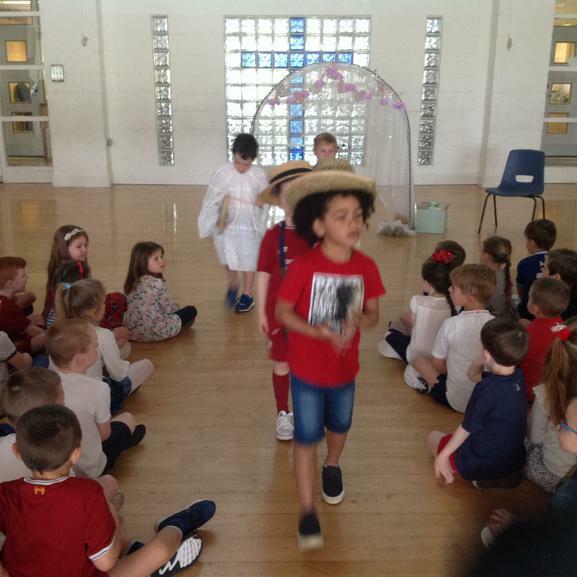 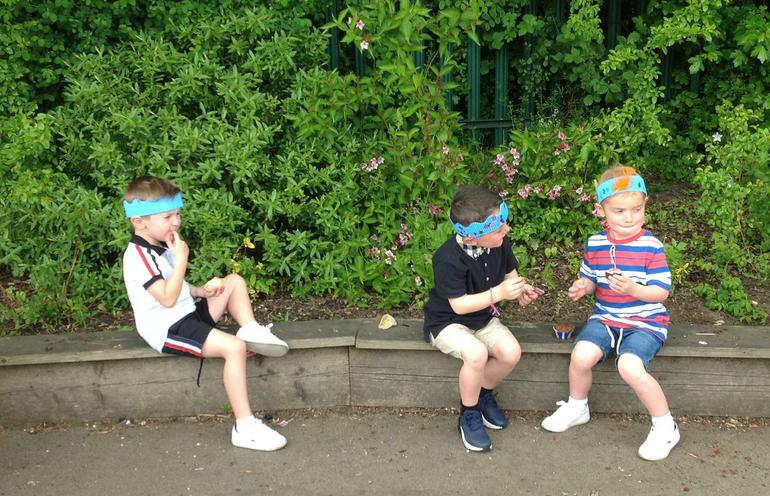 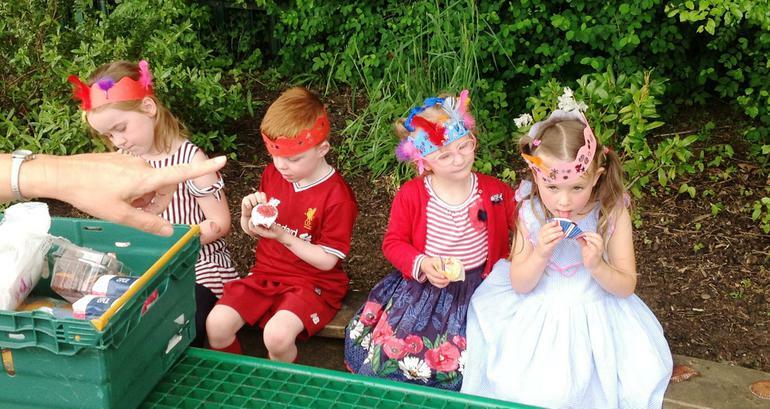 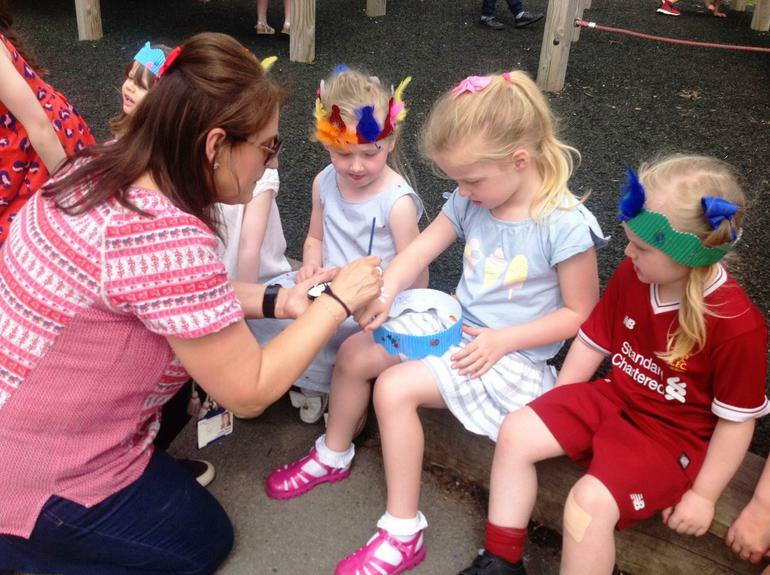 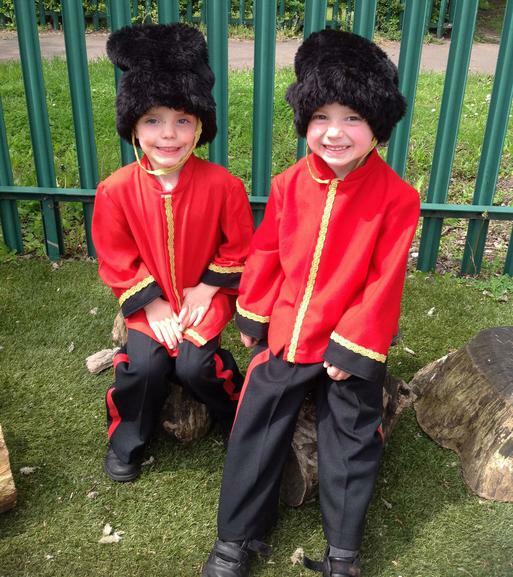 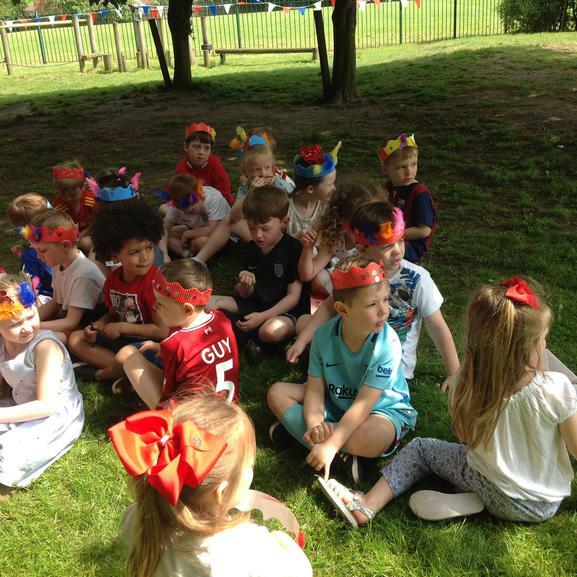 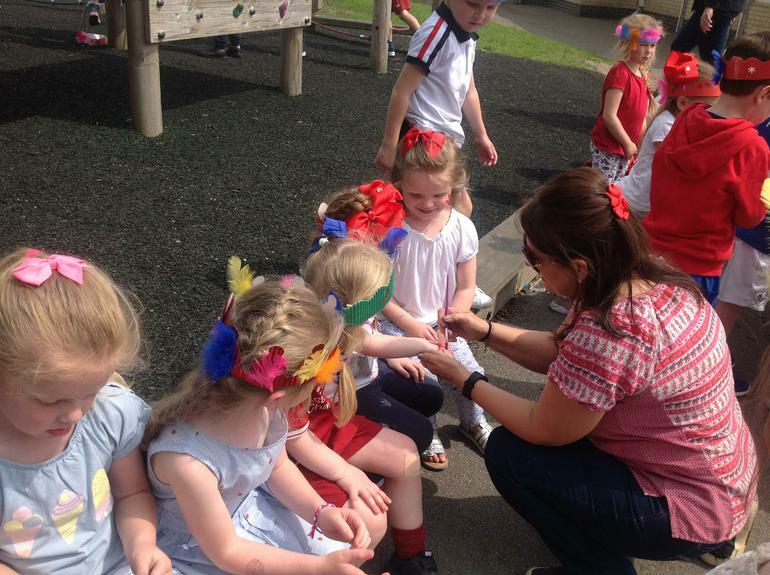 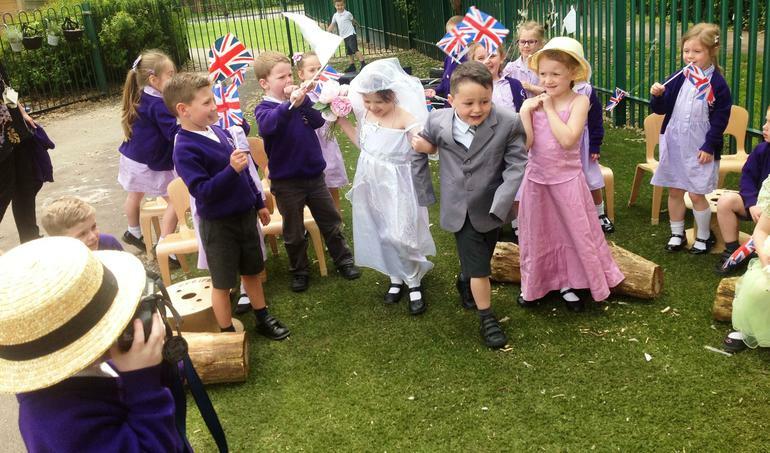 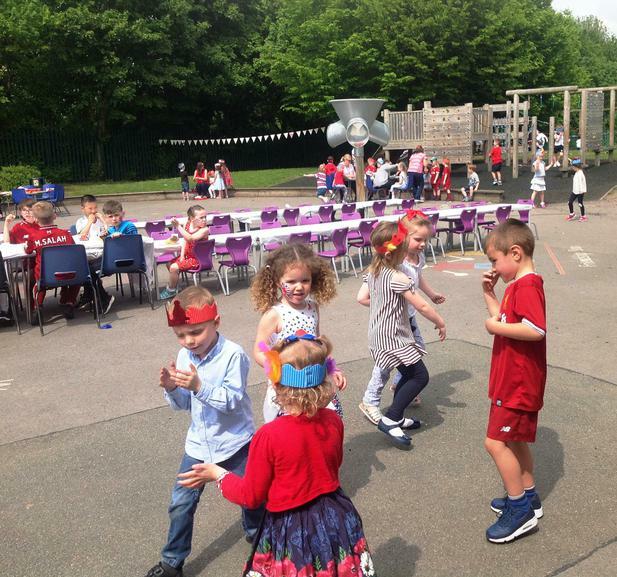 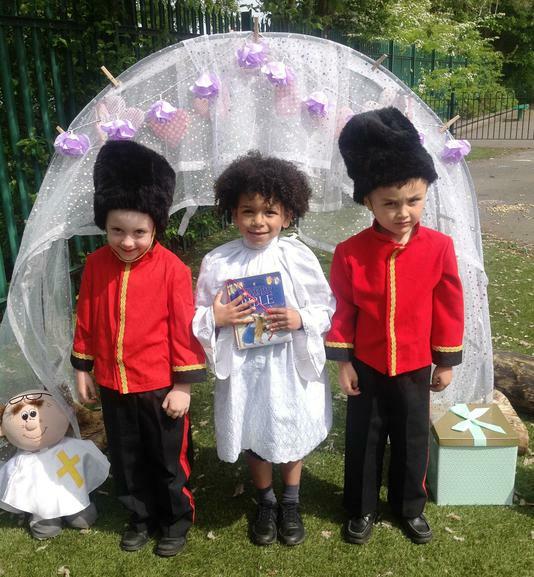 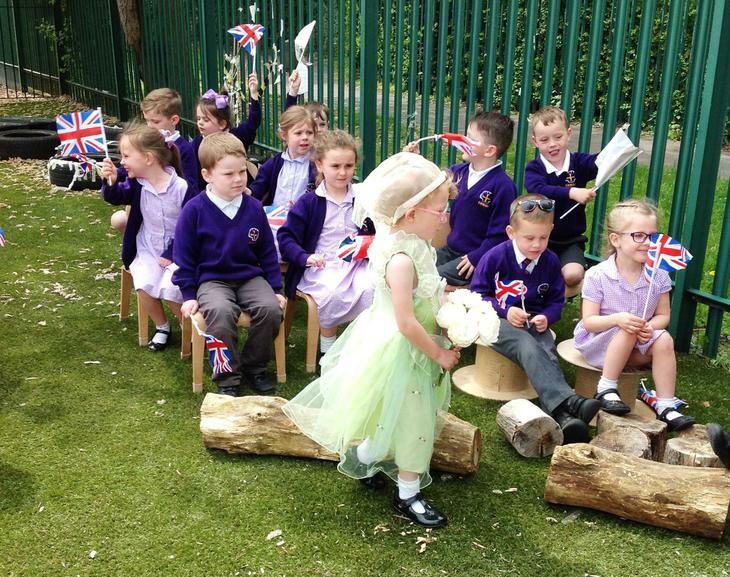 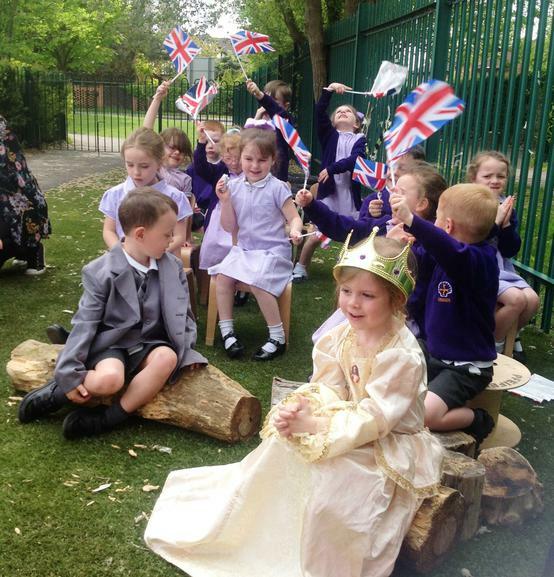 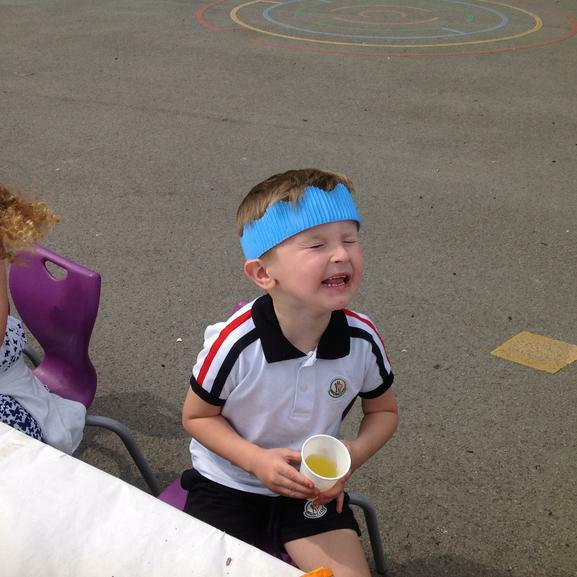 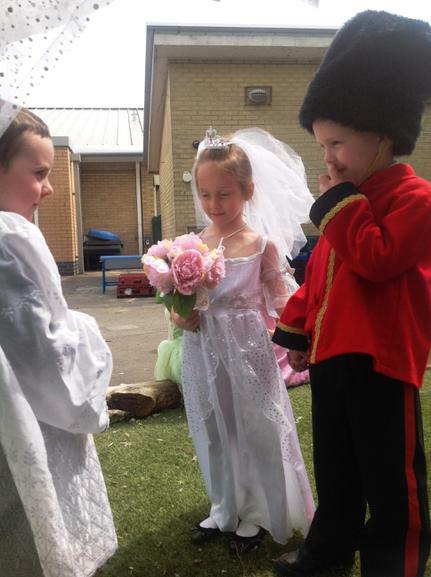 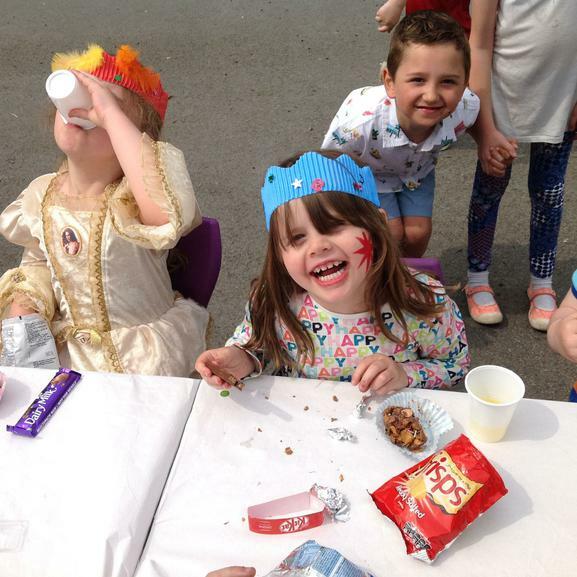 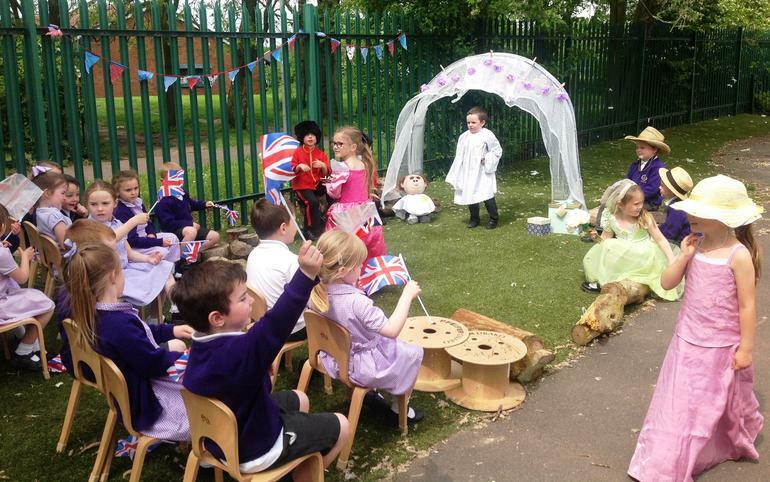 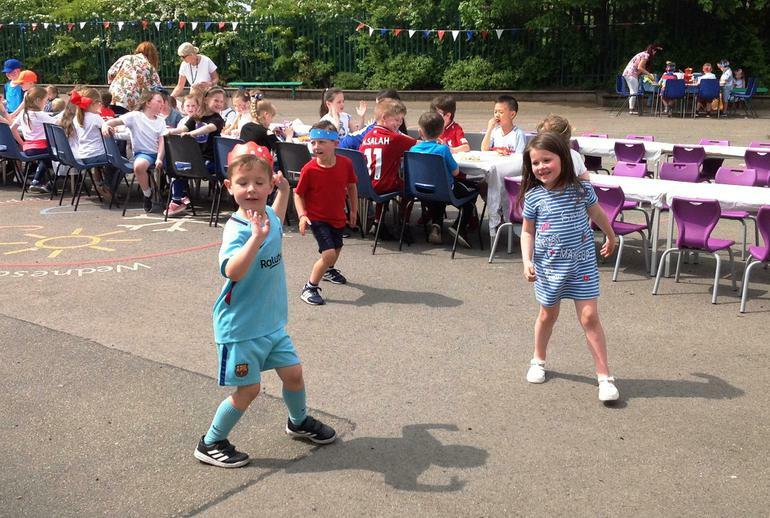 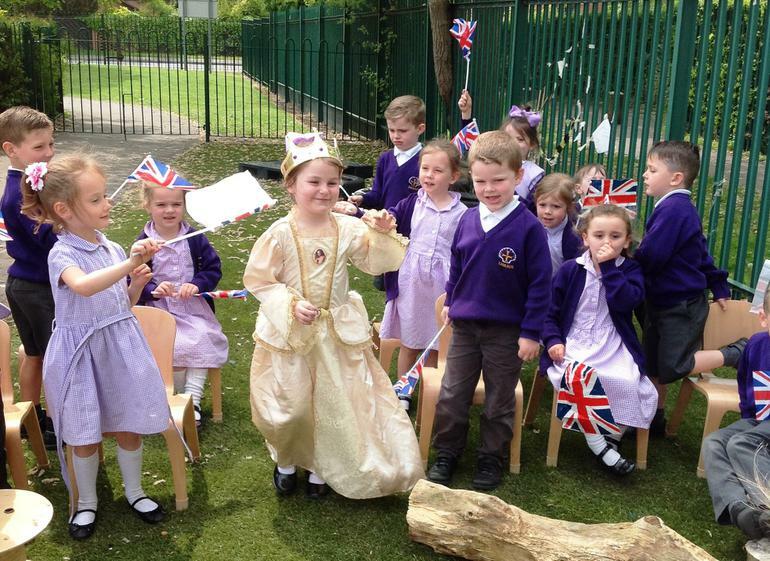 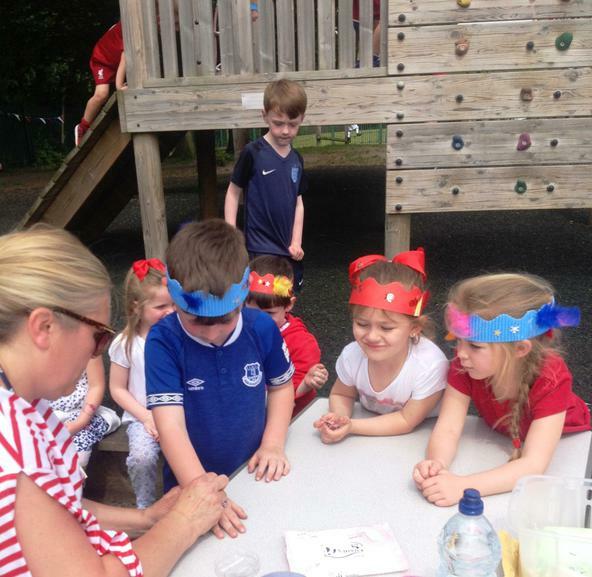 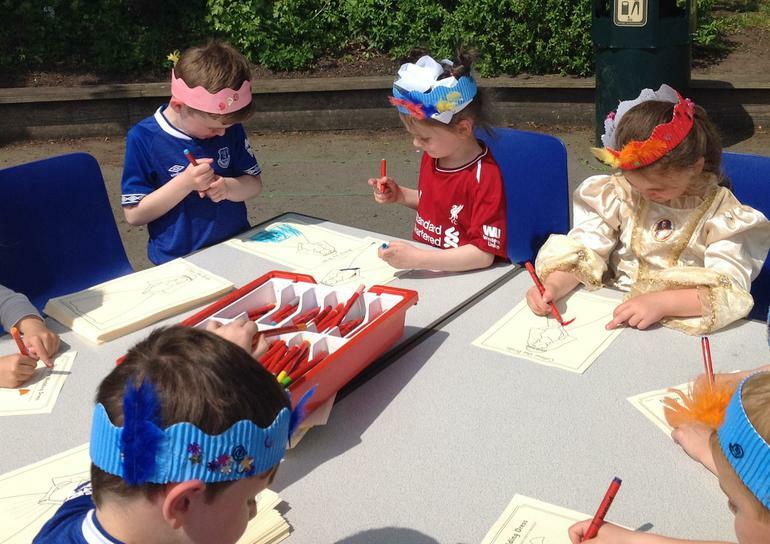 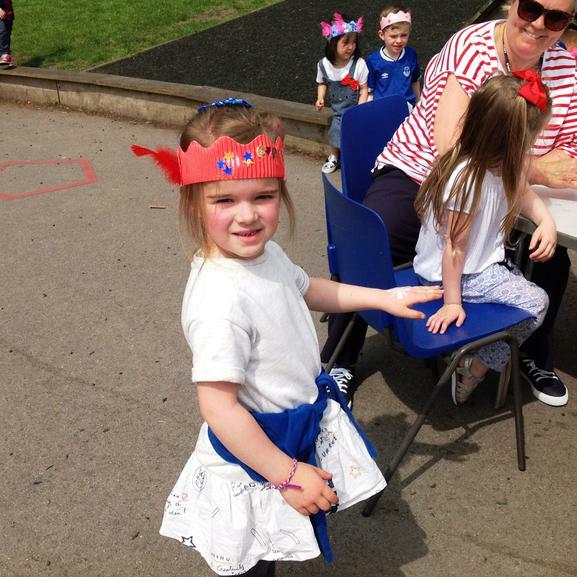 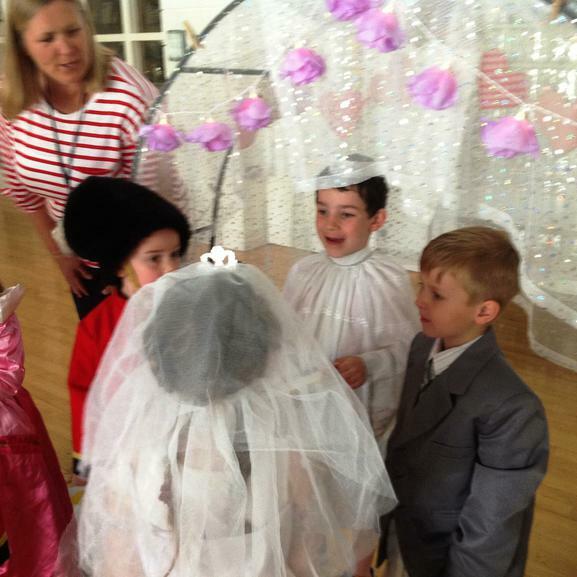 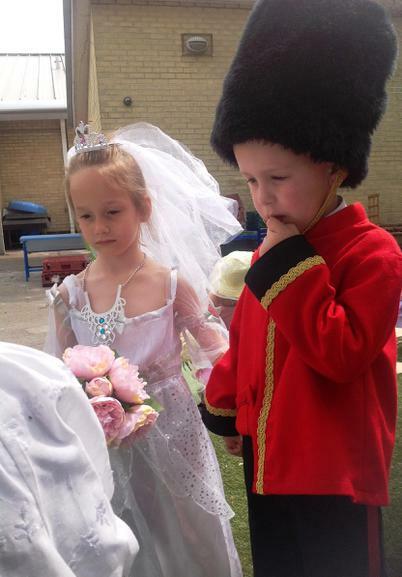 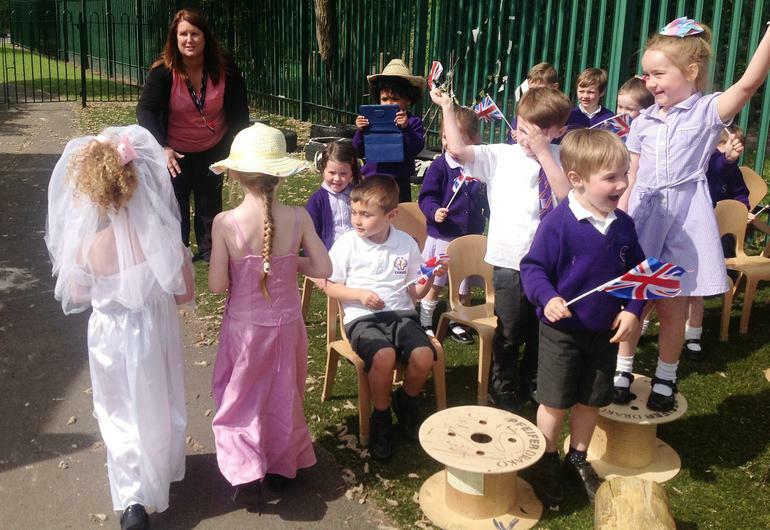 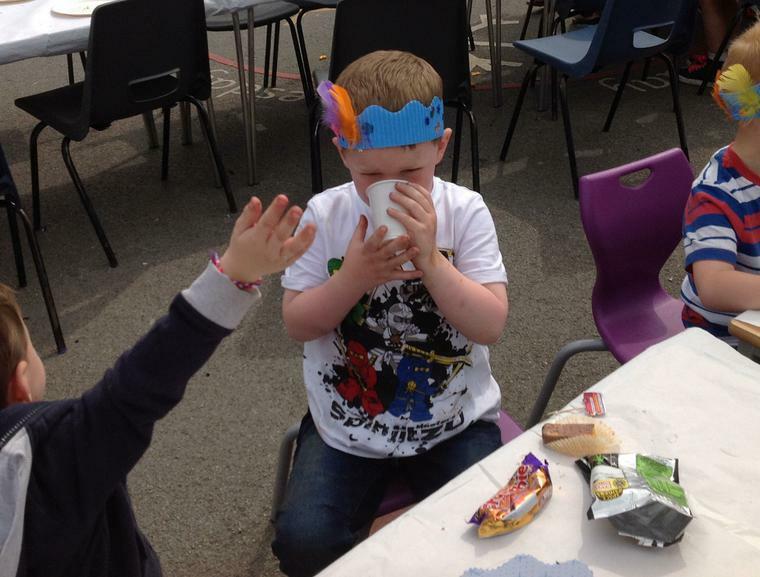 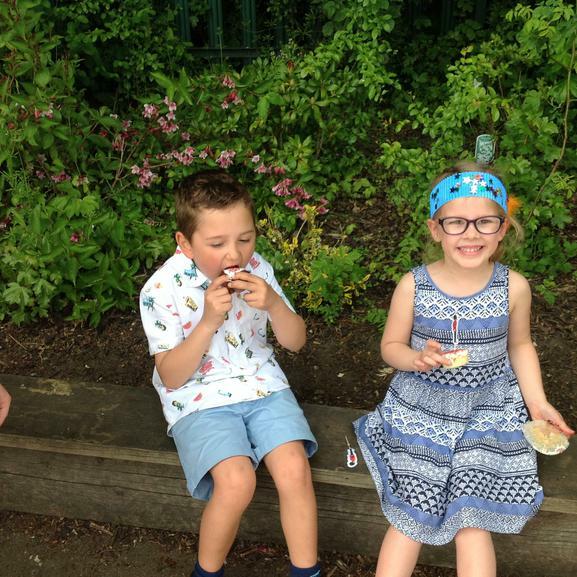 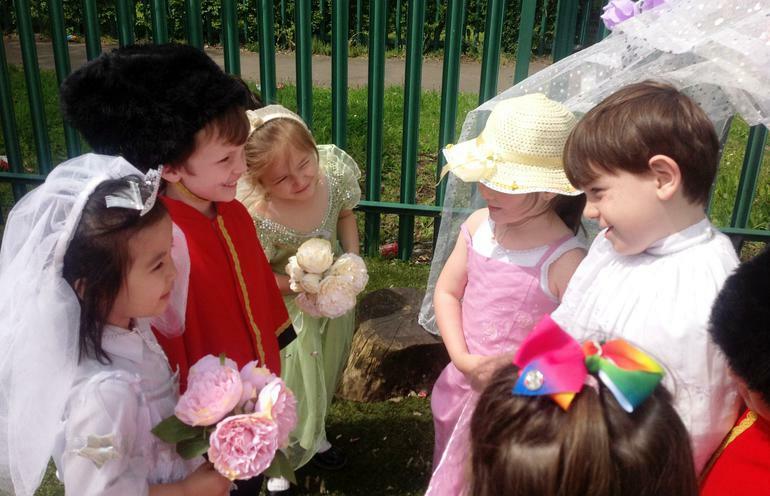 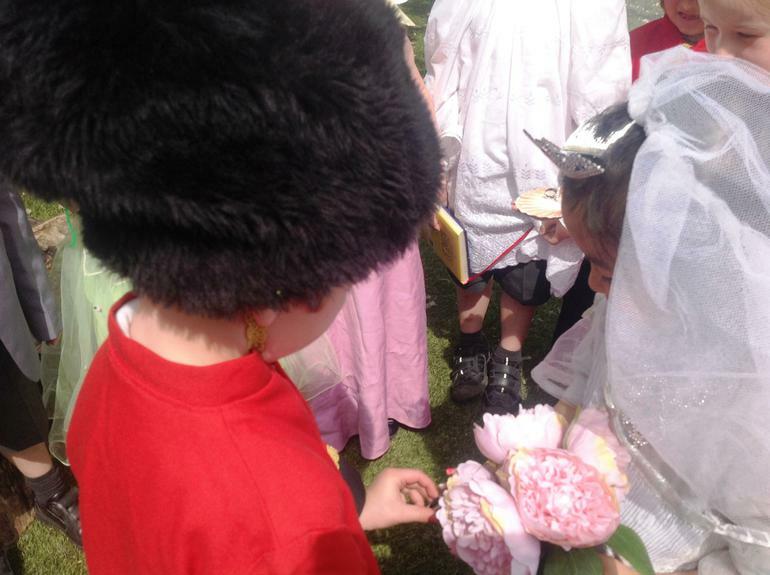 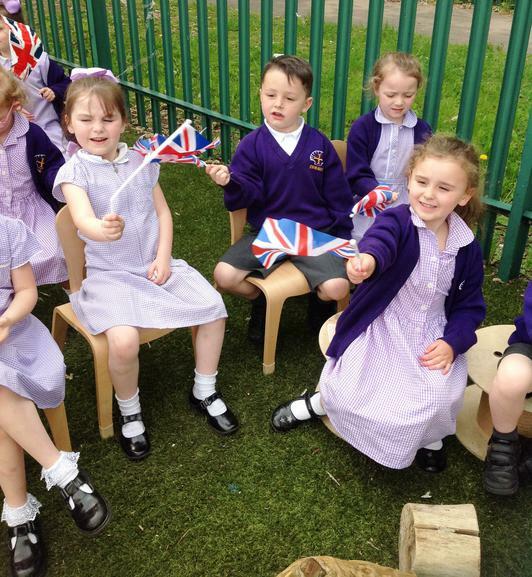 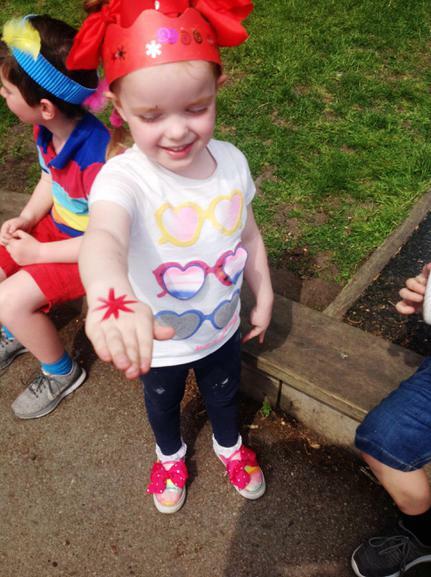 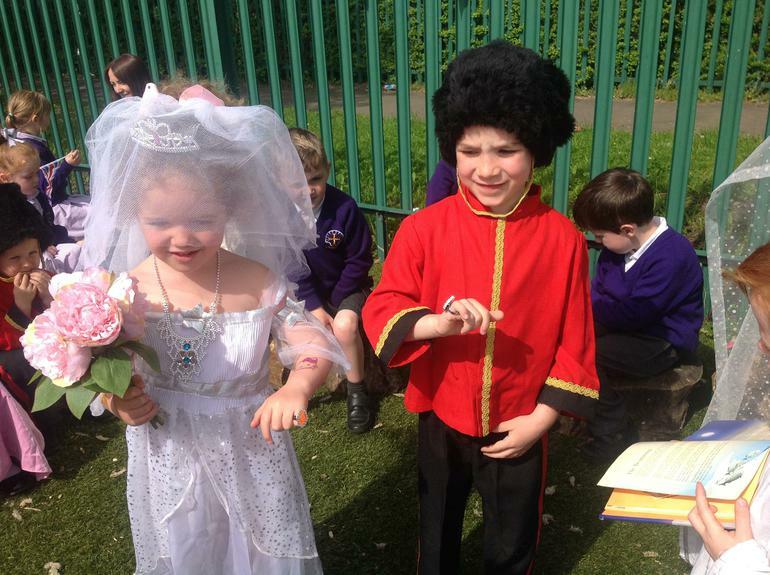 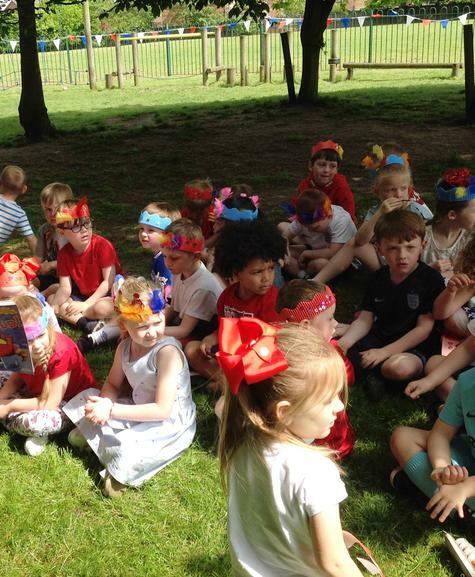 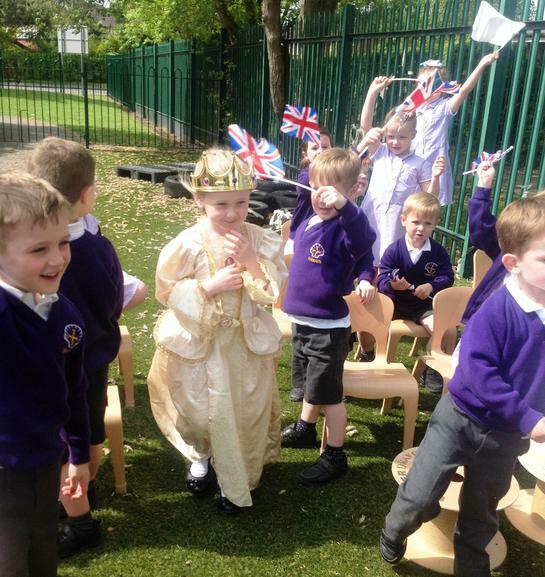 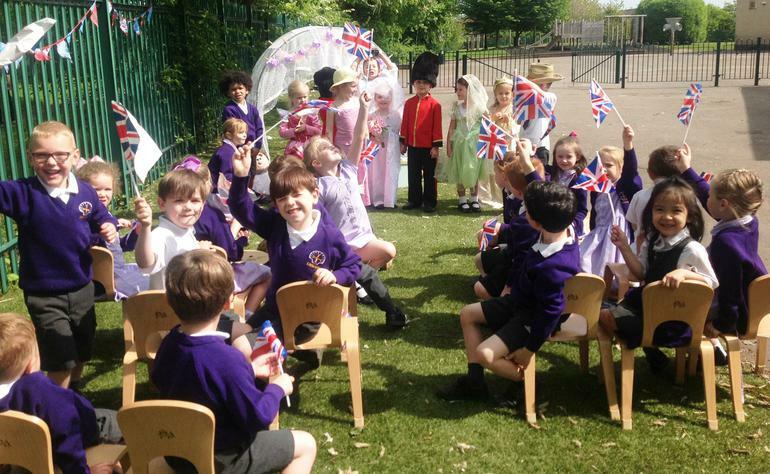 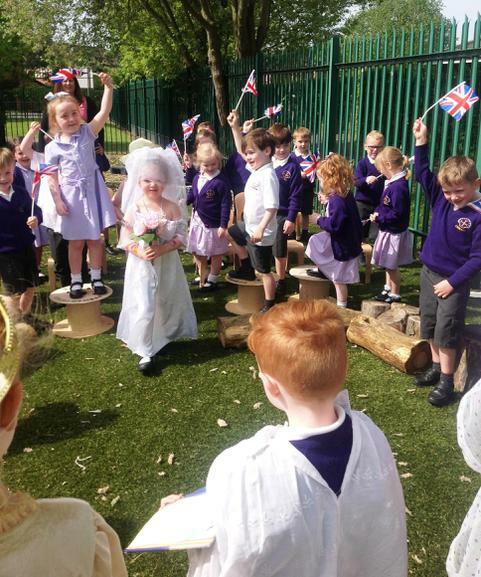 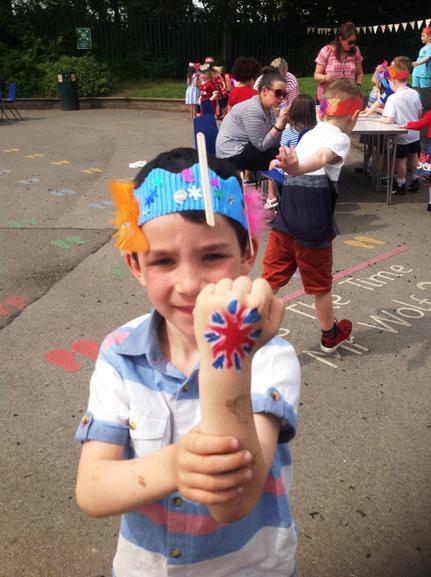 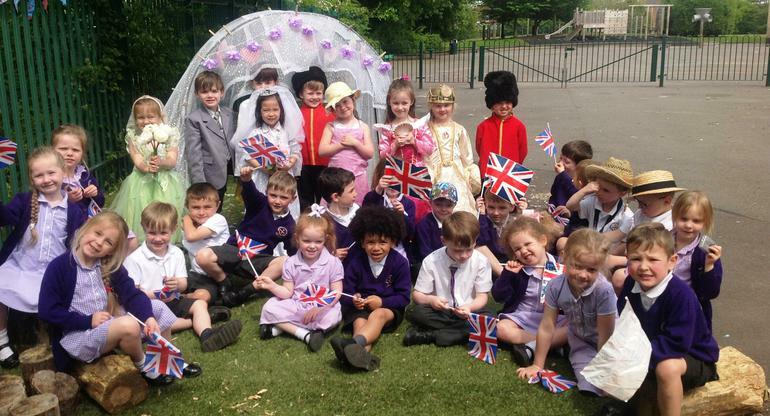 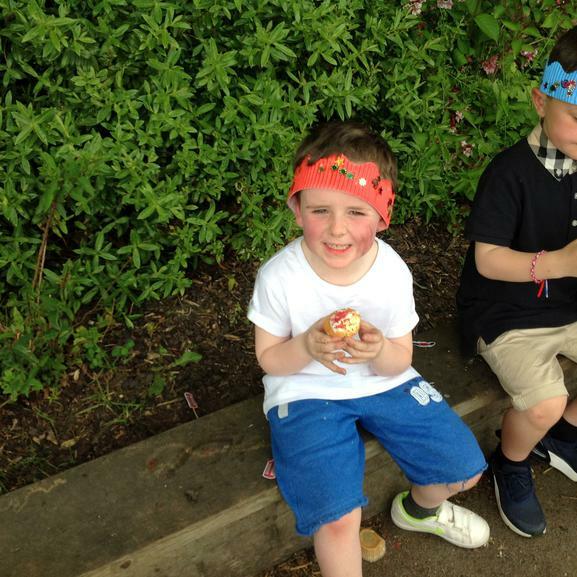 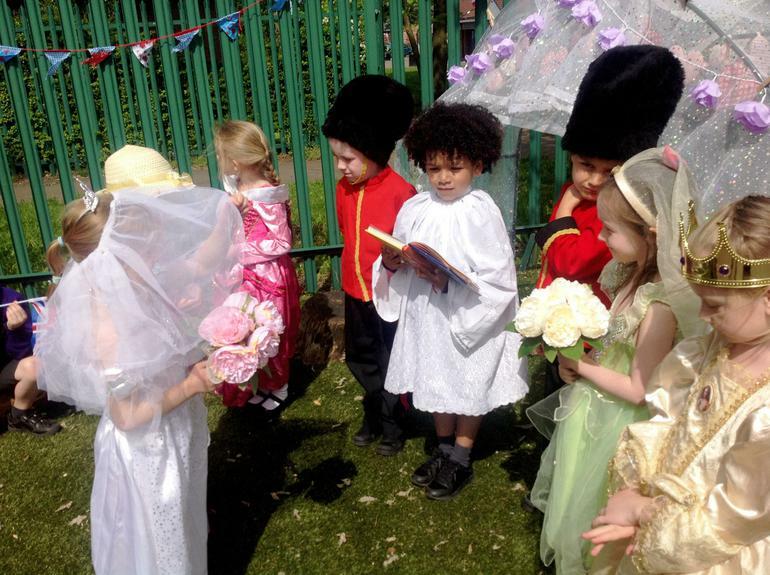 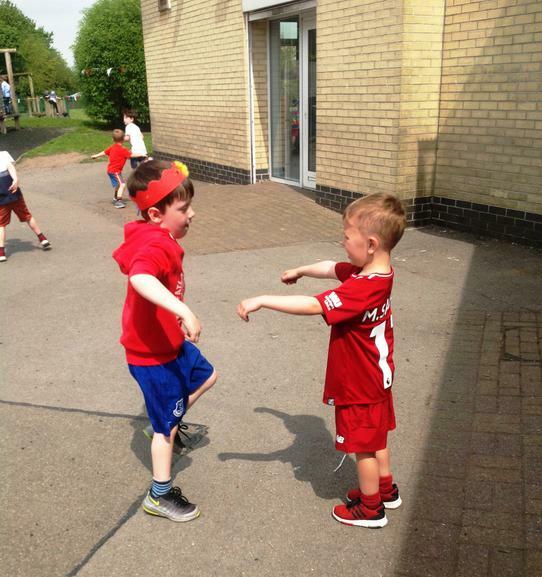 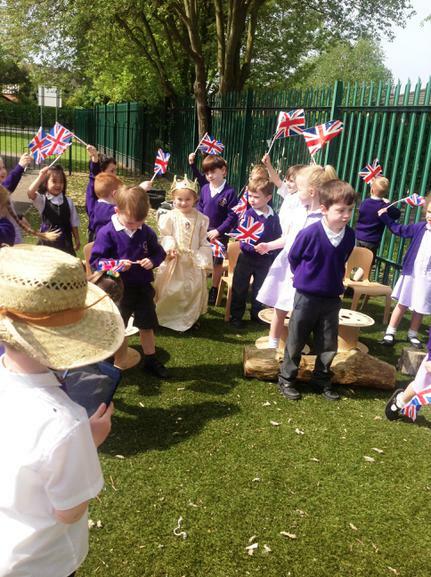 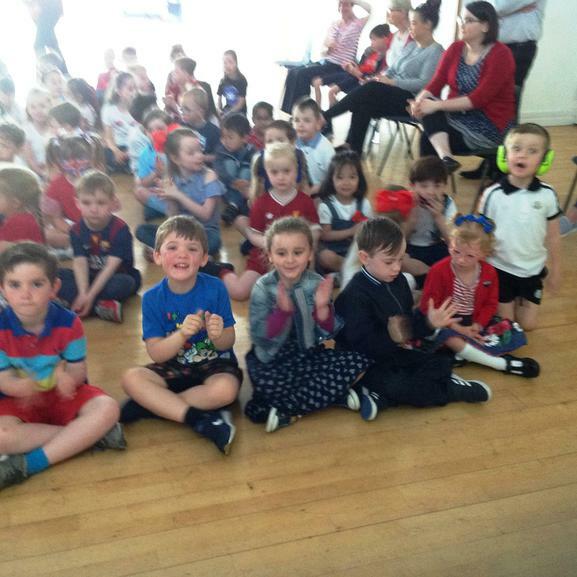 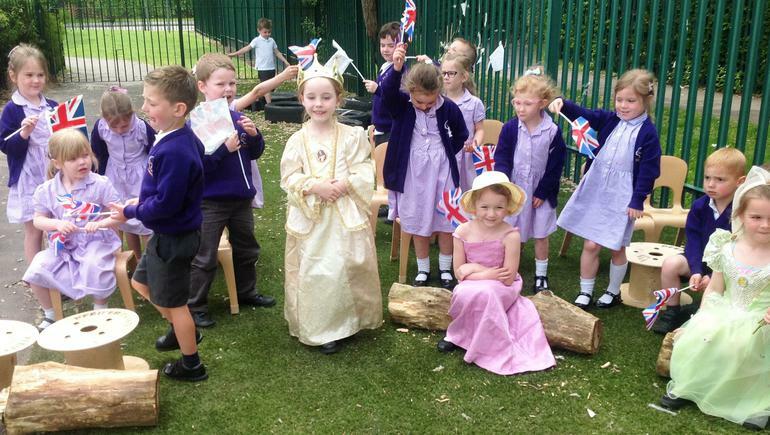 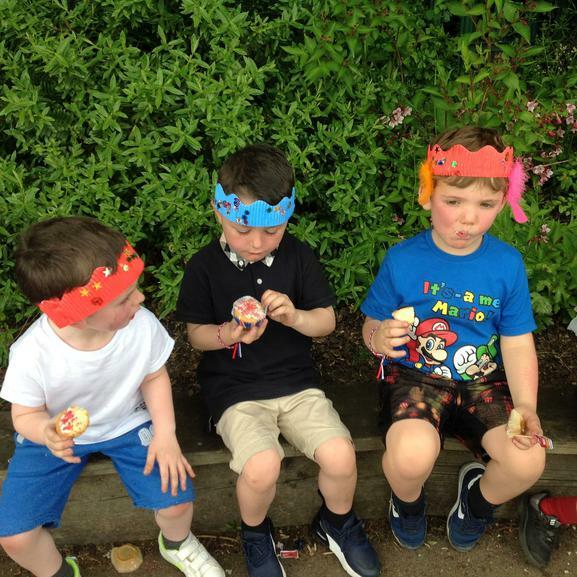 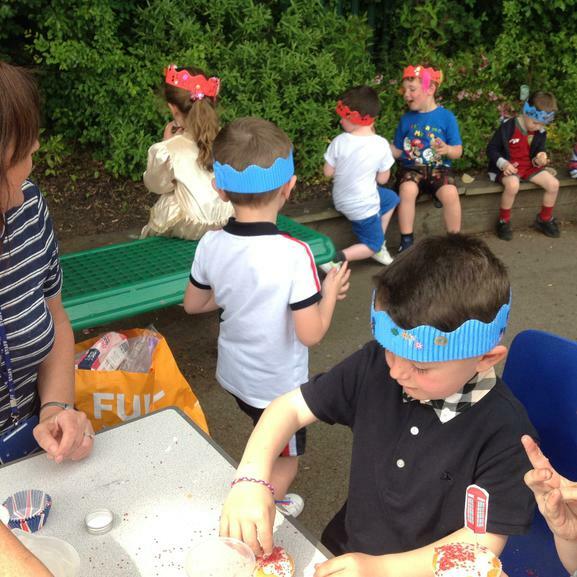 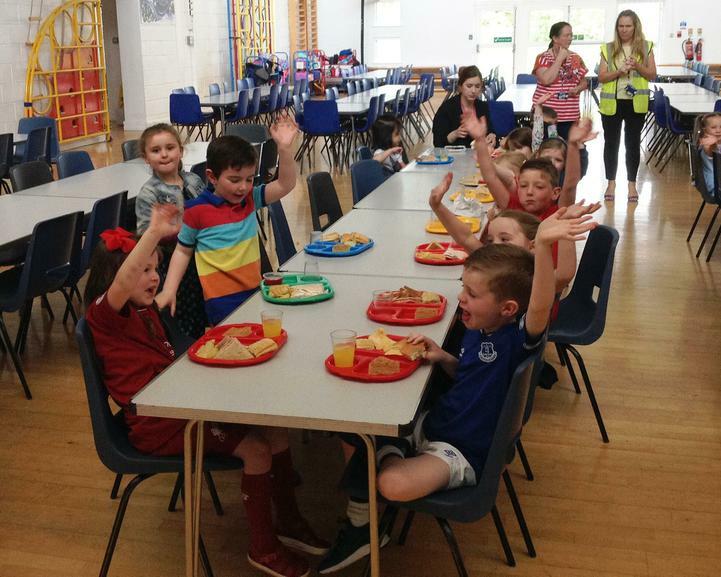 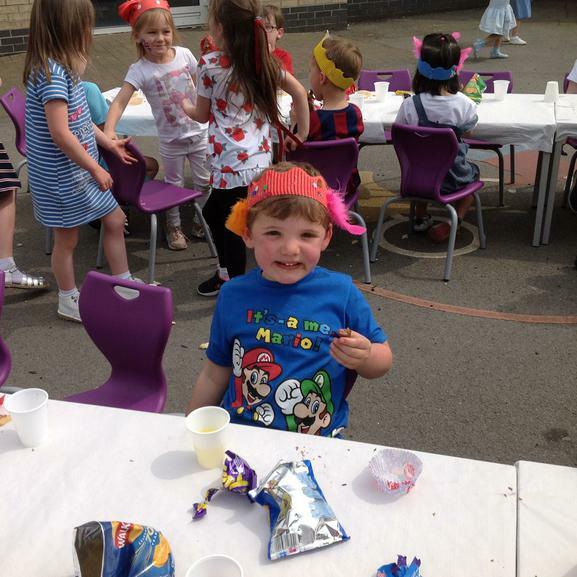 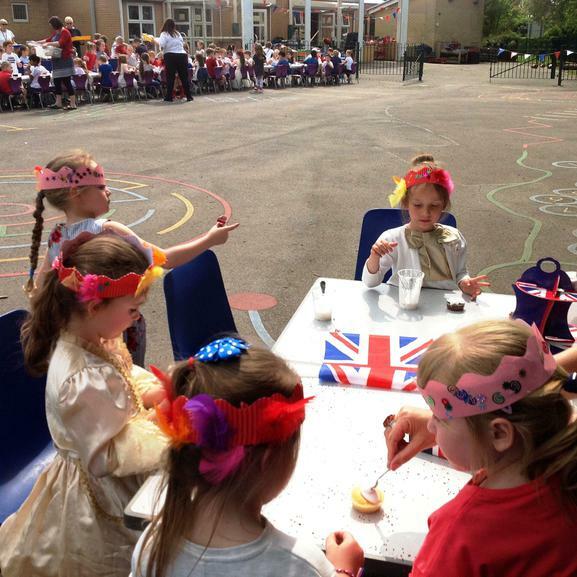 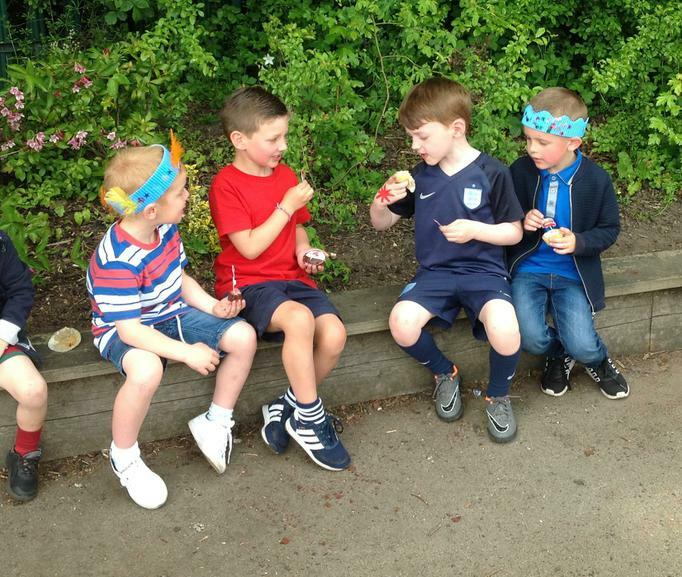 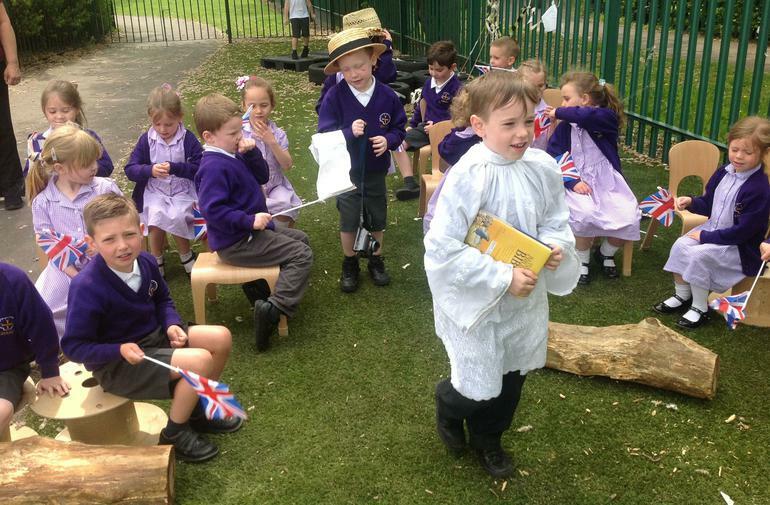 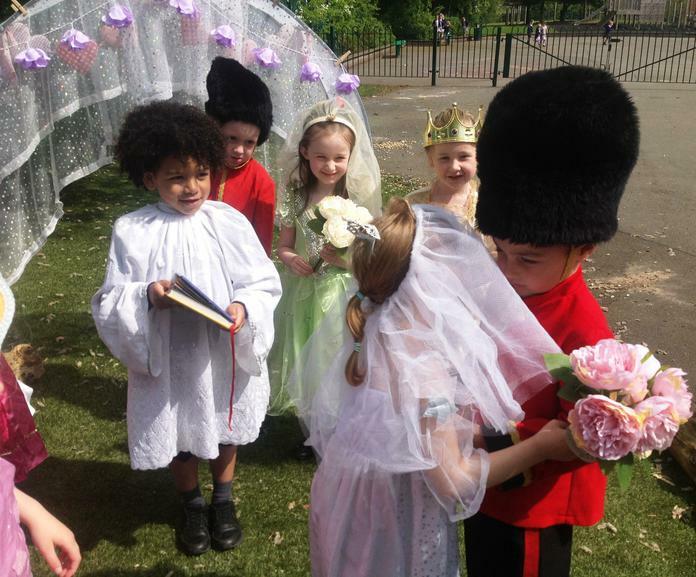 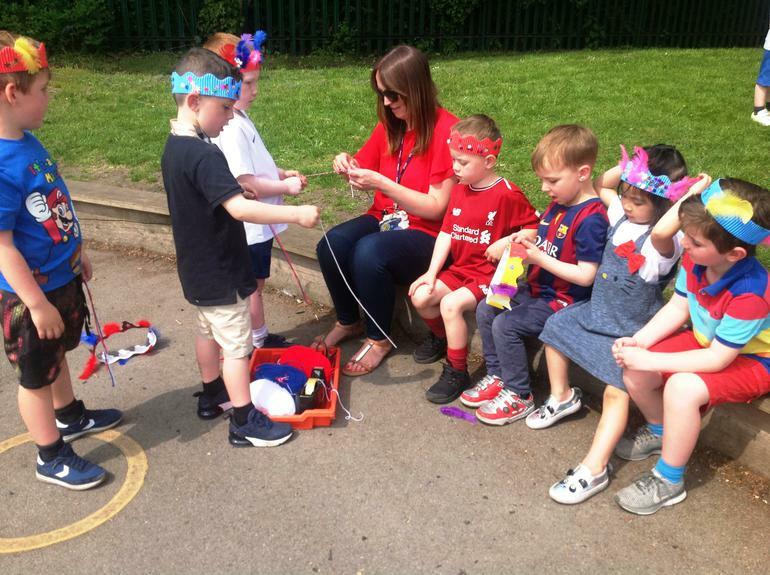 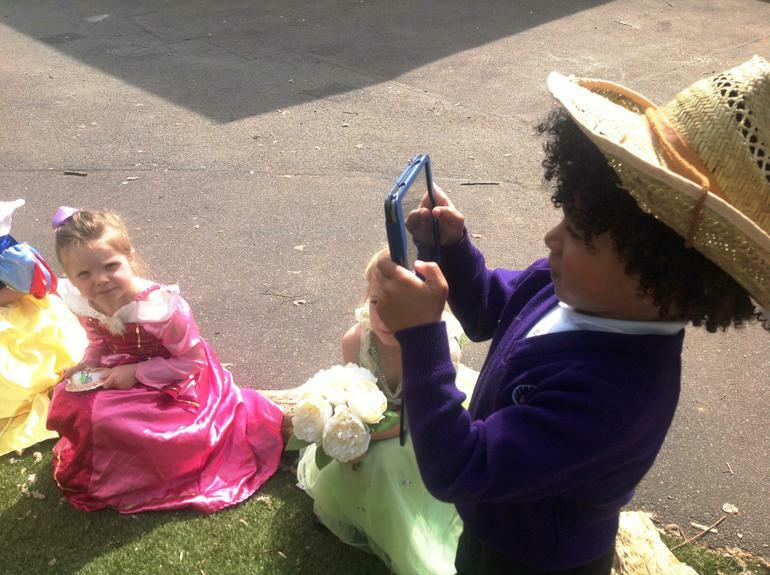 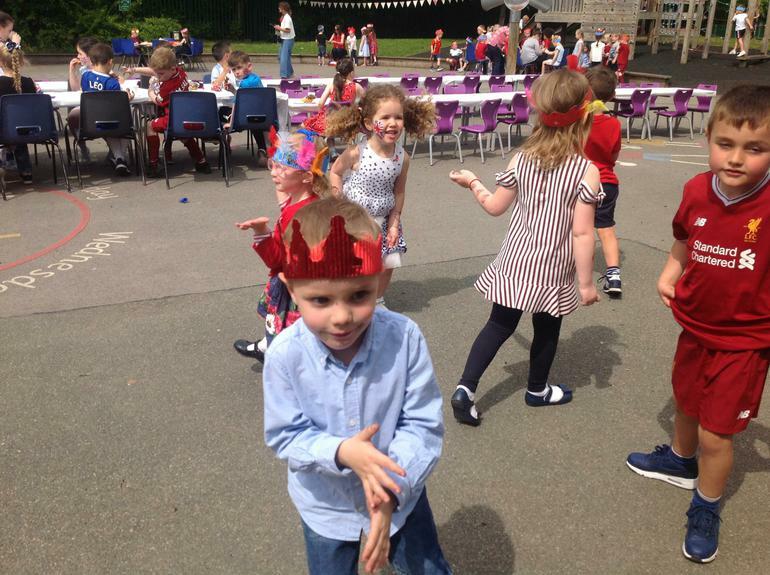 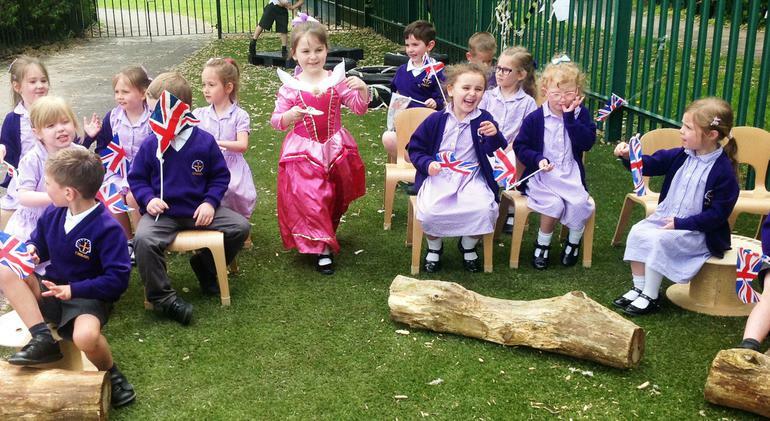 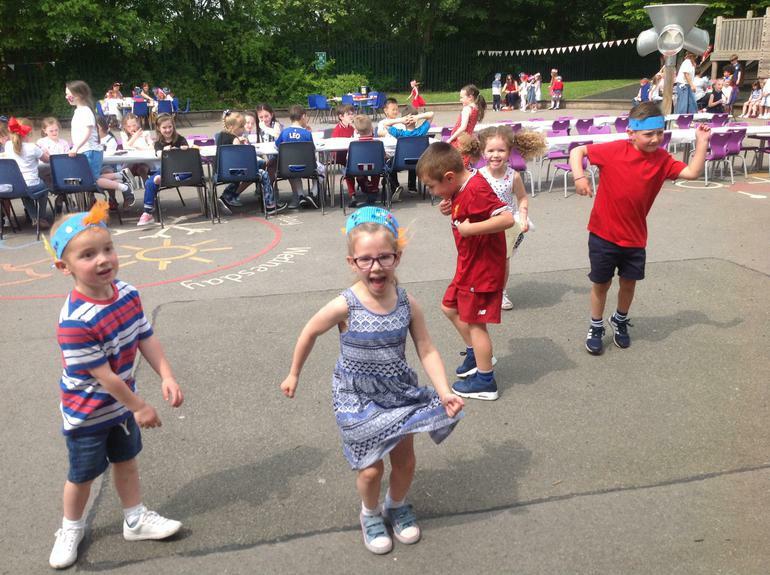 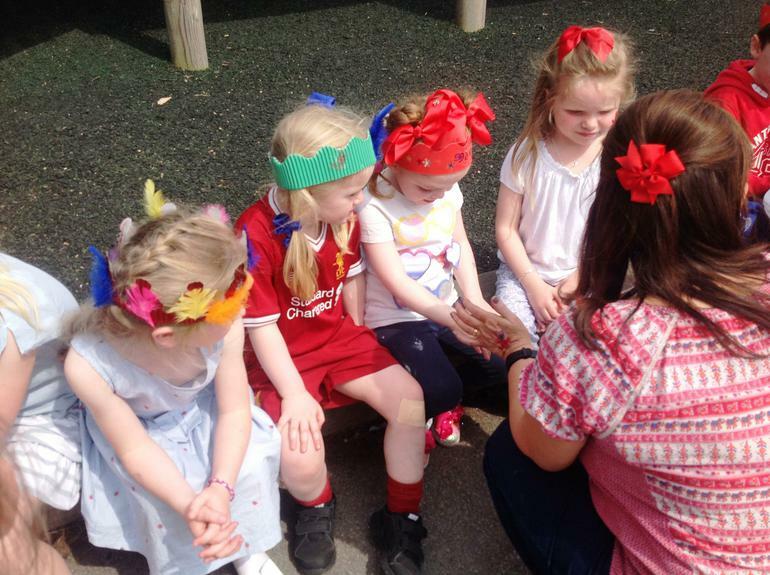 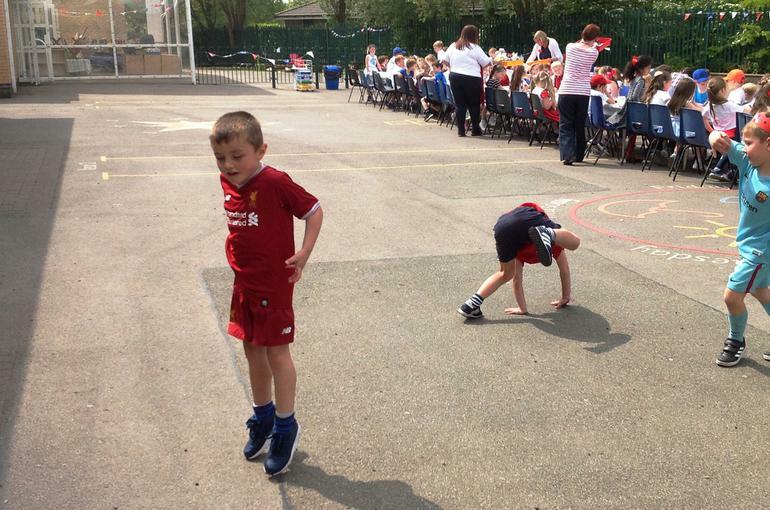 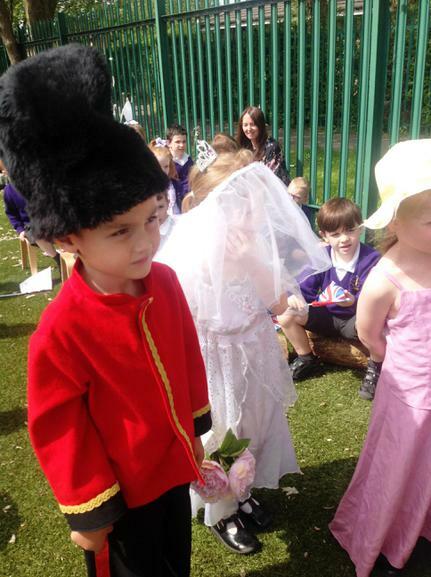 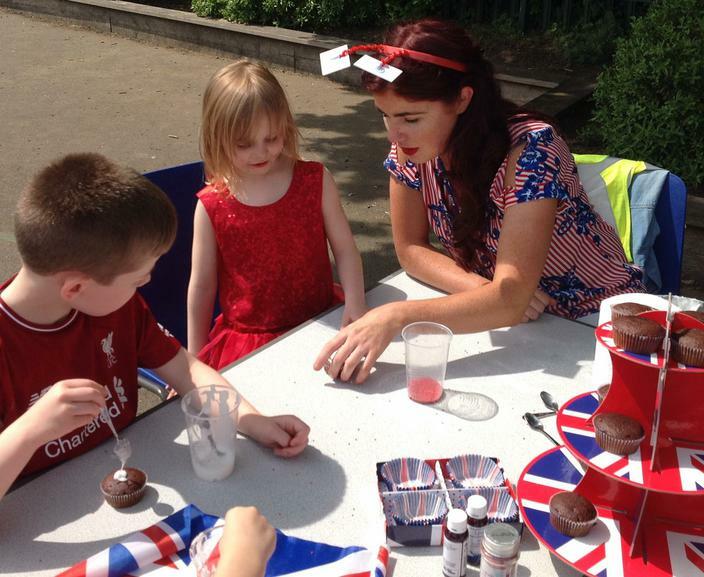 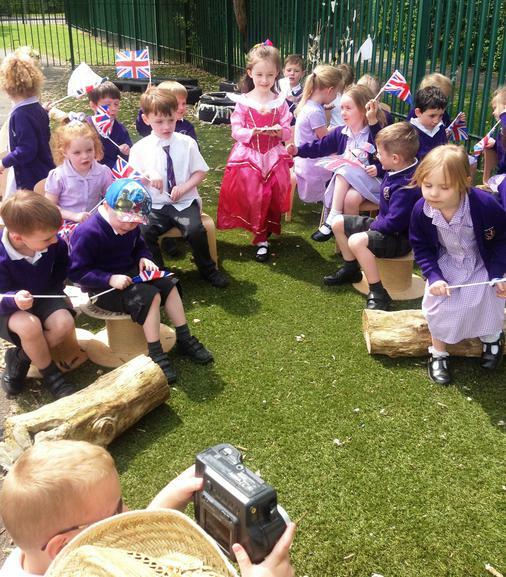 On Friday, the school dressed up in red, white and blue to join in with a royal assembly, specially prepared party lunch and in the afternoon, the Emmaus Royal Wedding Street Party!